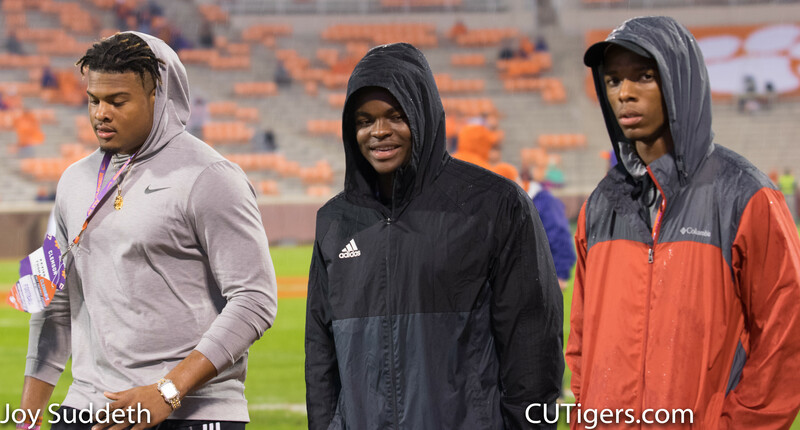 THE CLEMSON POWER RANGERS: Trick or Treat! 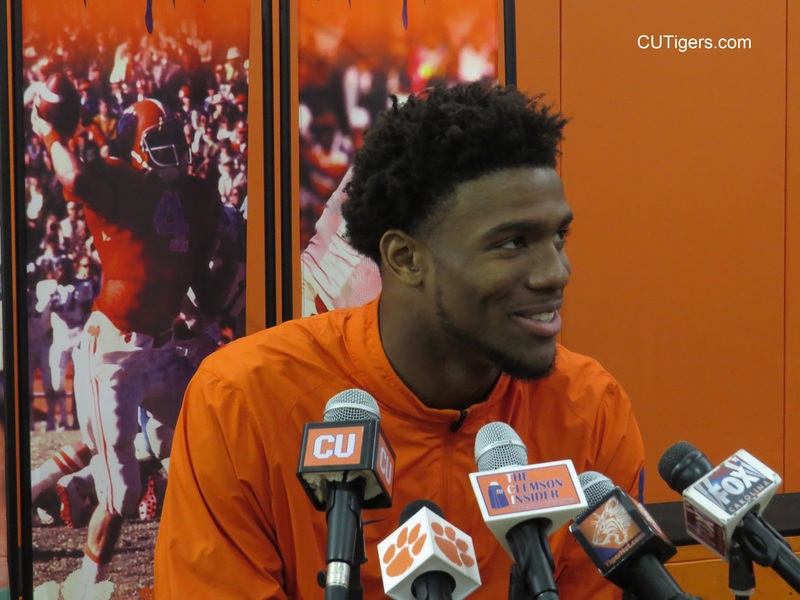 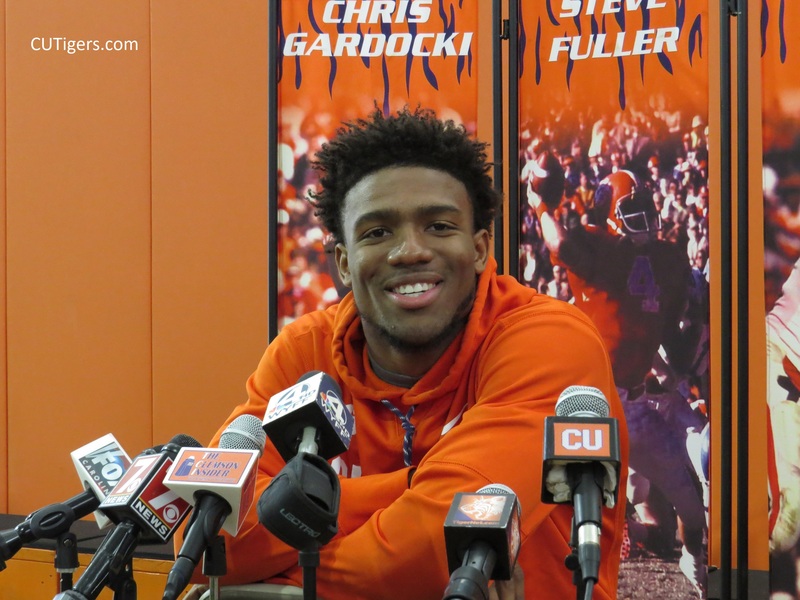 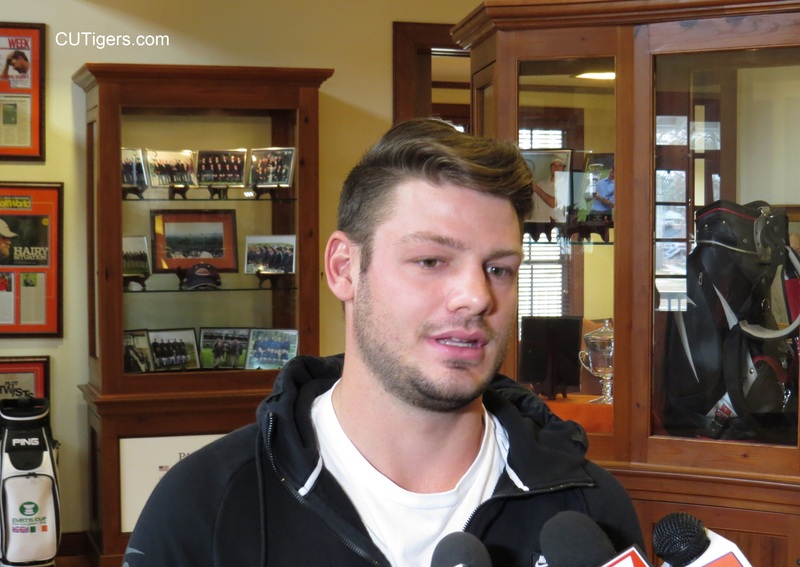 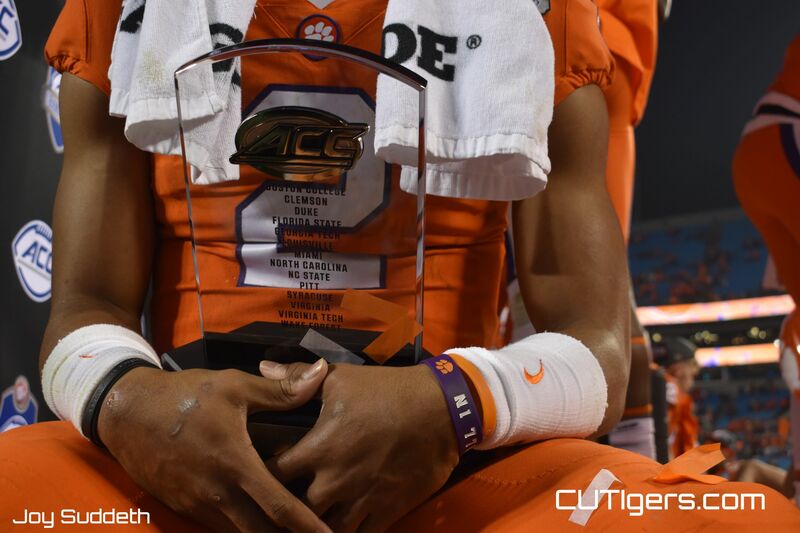 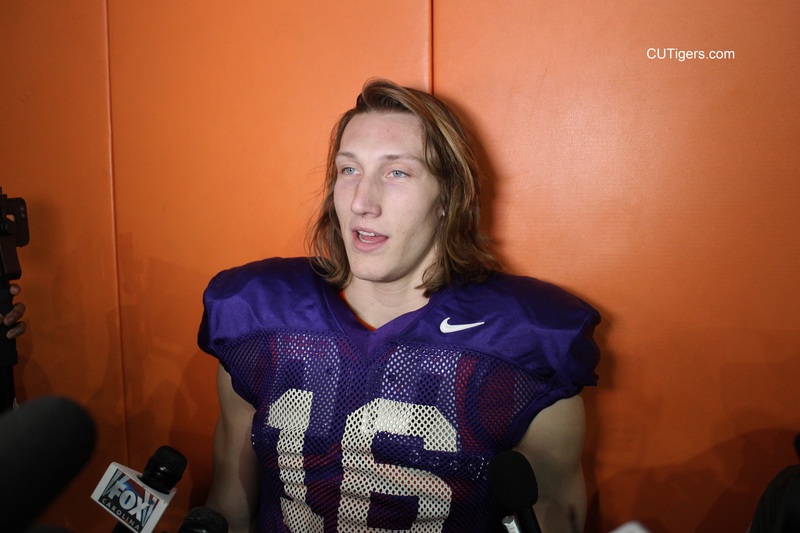 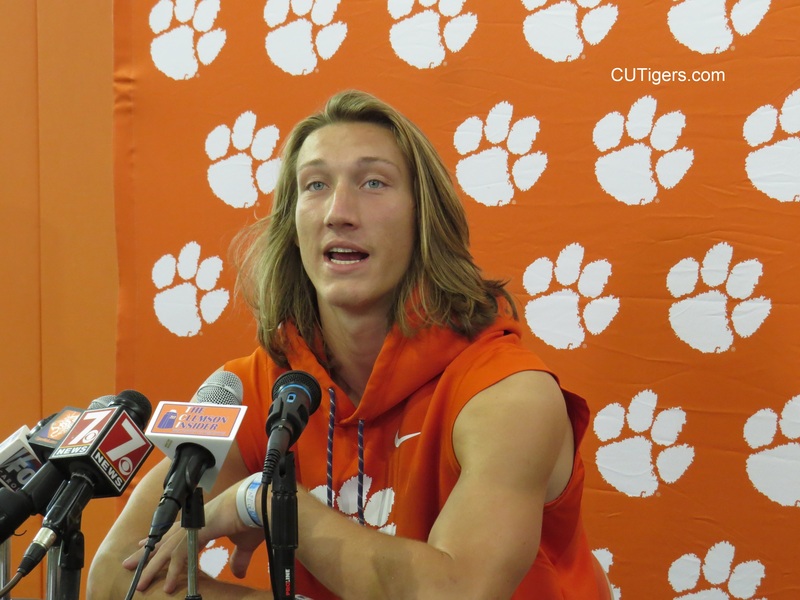 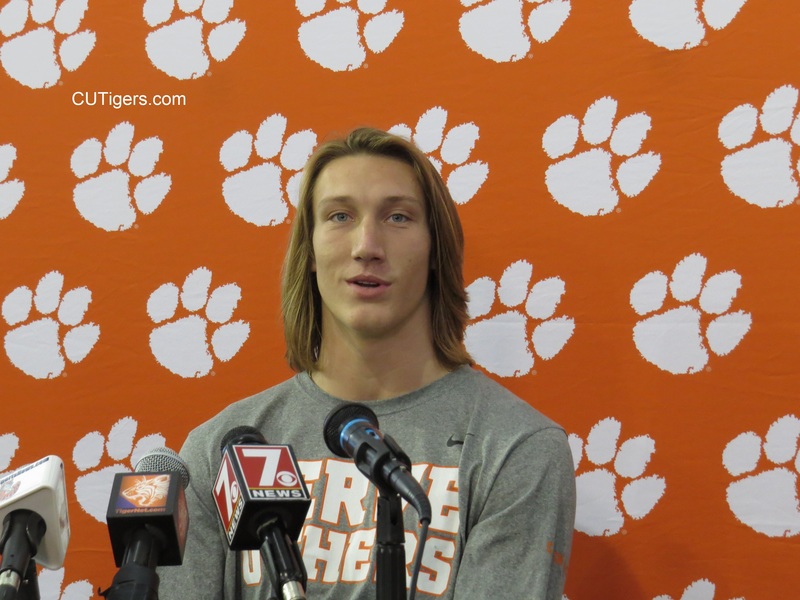 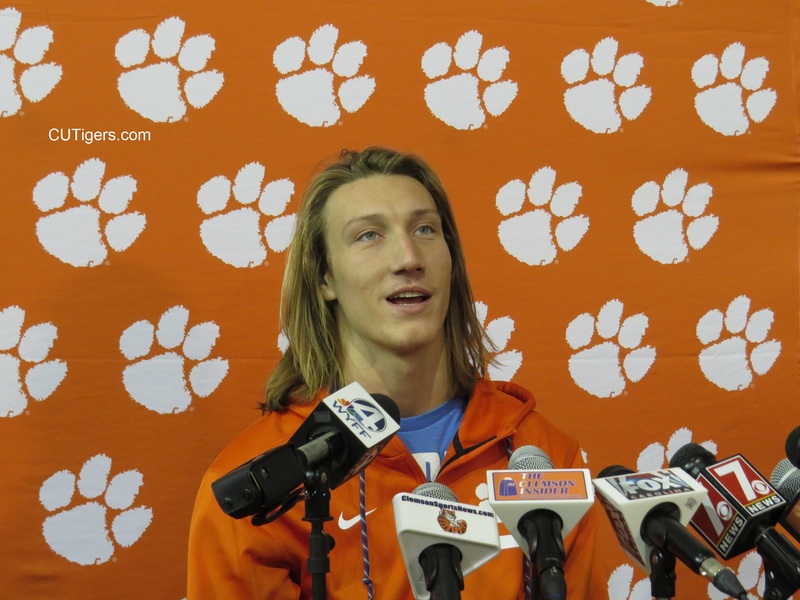 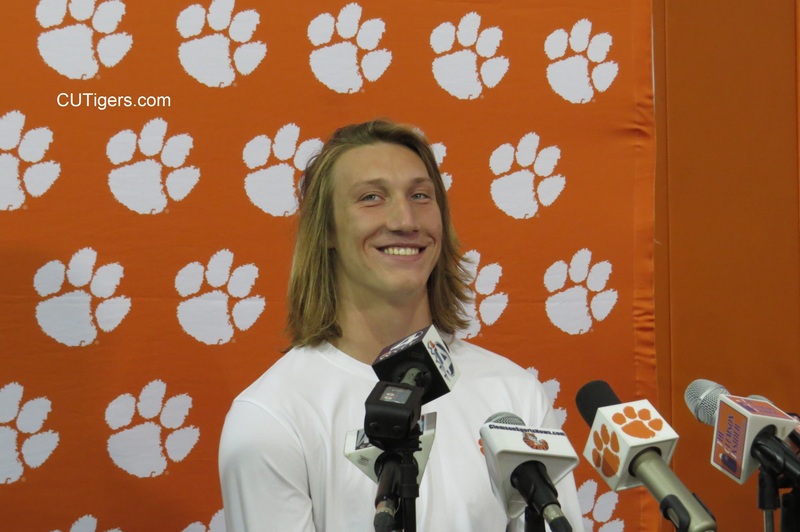 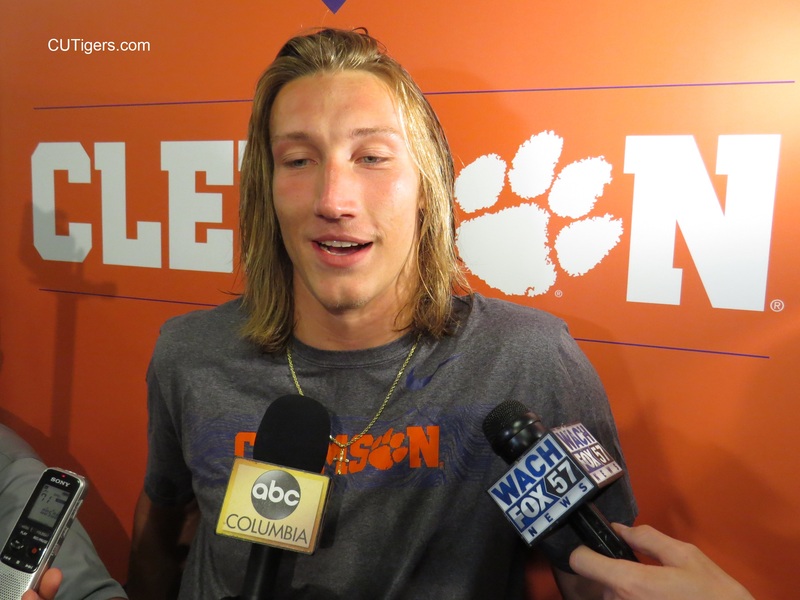 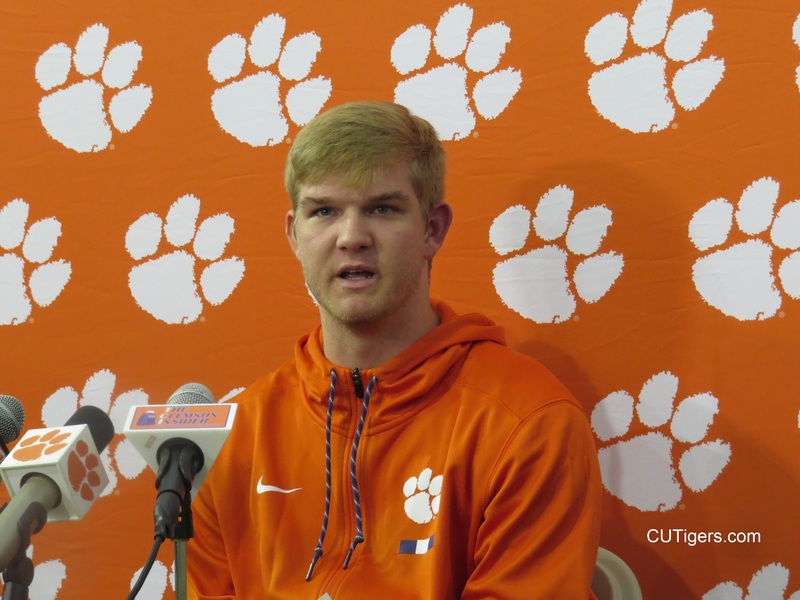 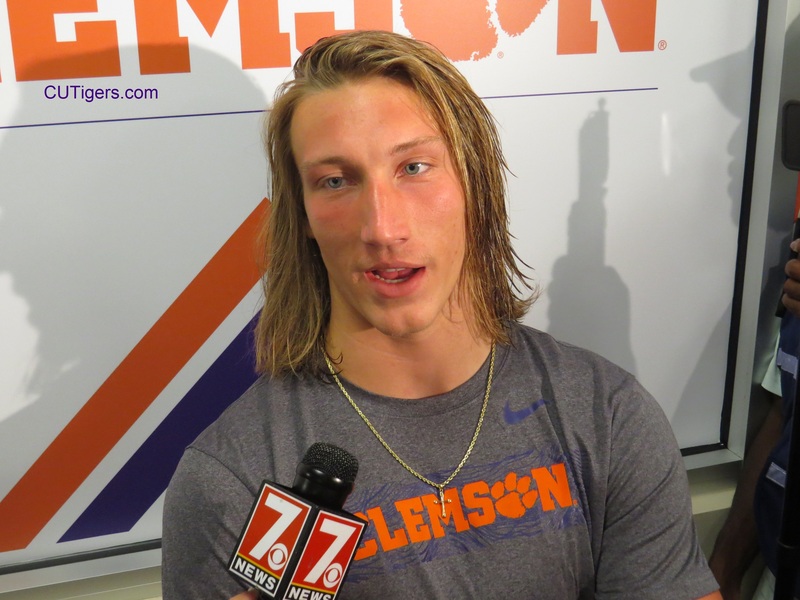 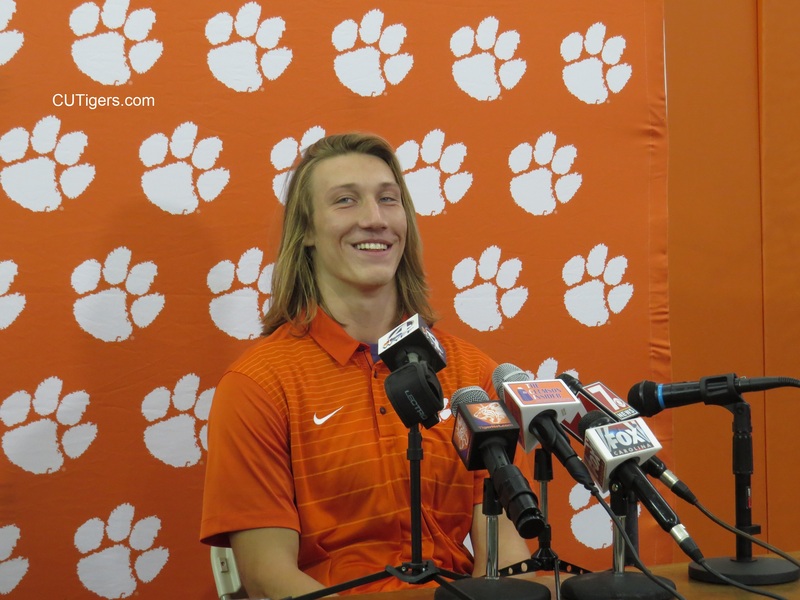 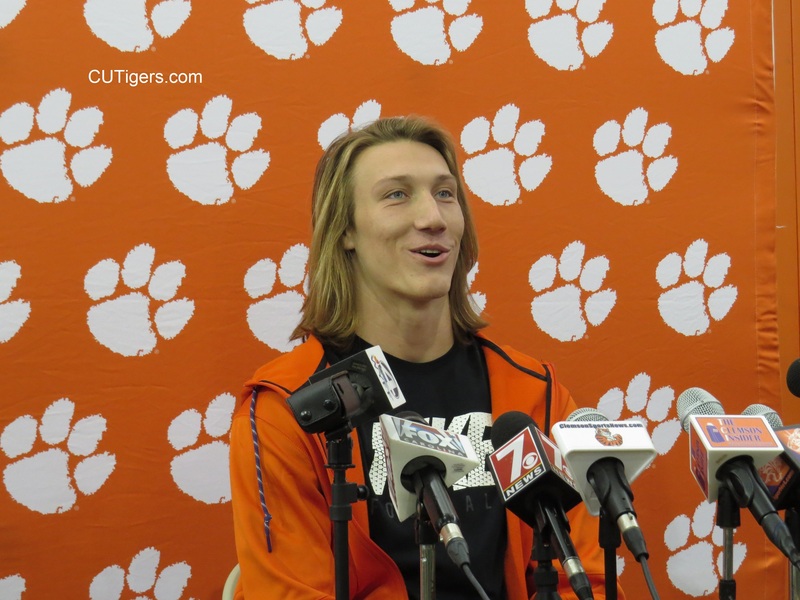 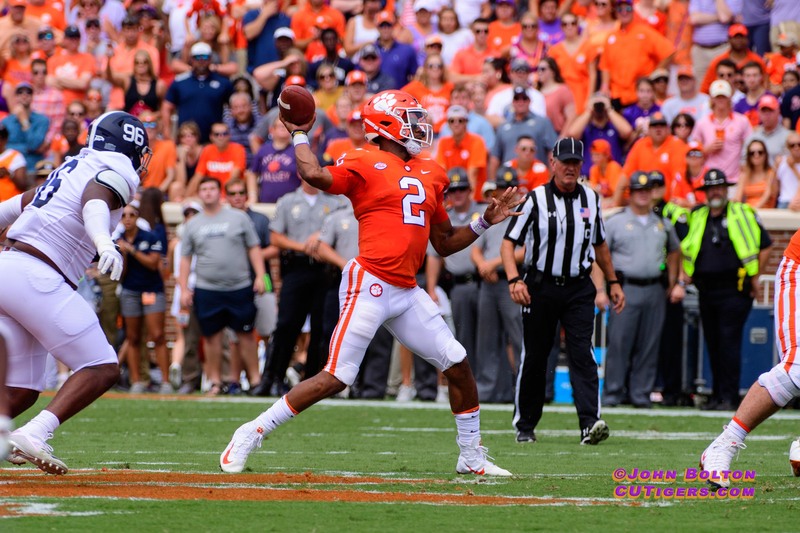 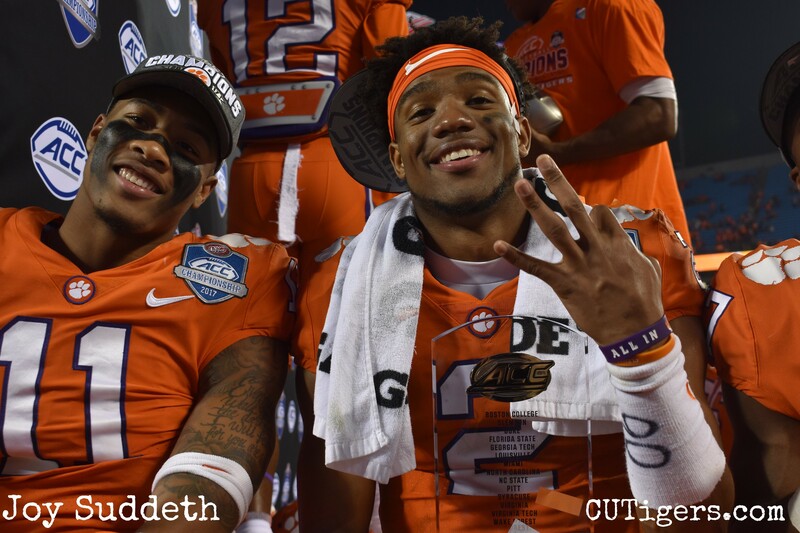 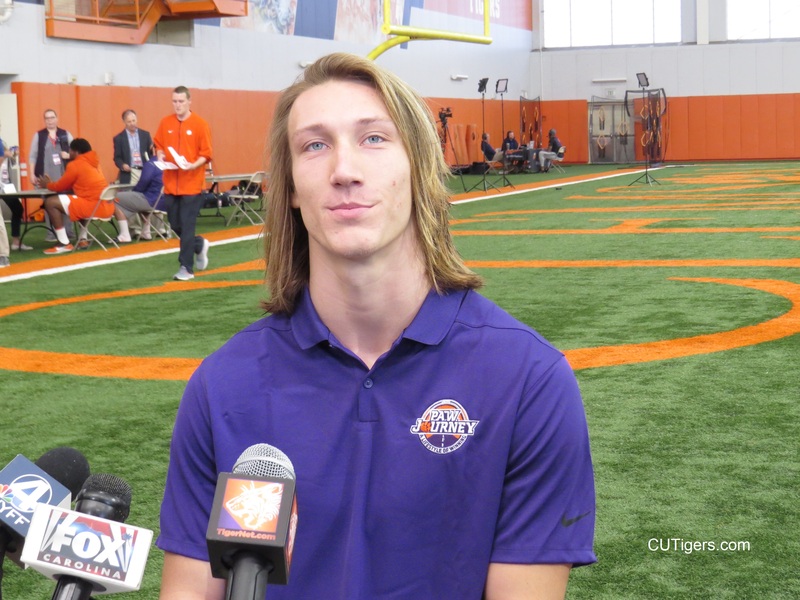 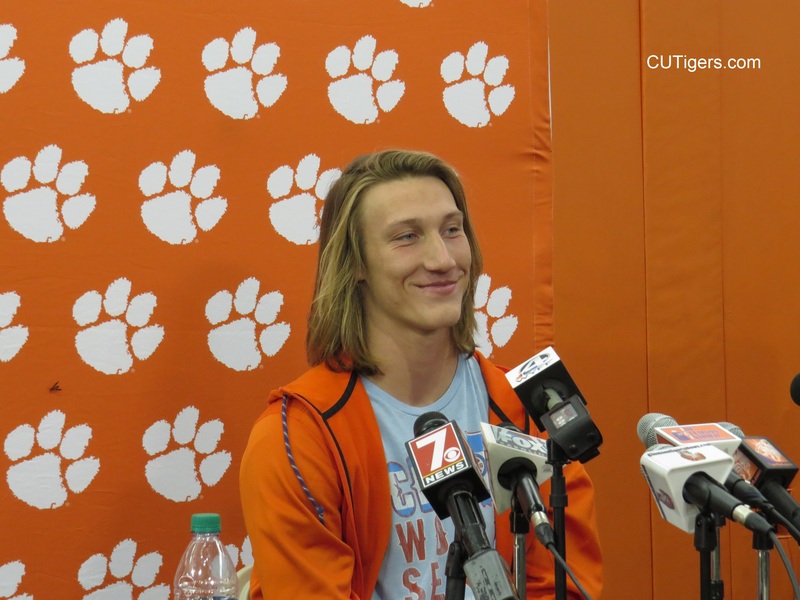 WHO WILL START AT QB FOR CLEMSON? 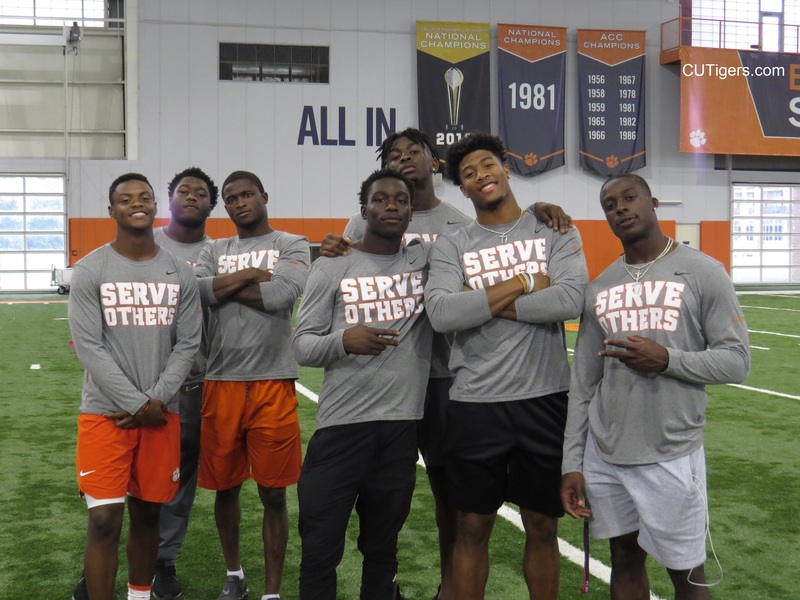 For live updates and coverage of the Orange and White Game, please visit The Valley forum by clicking the link below! 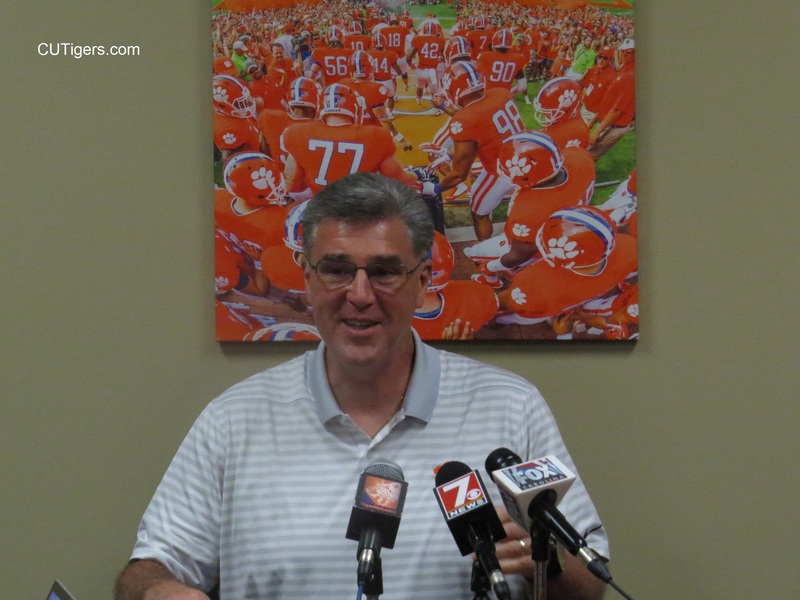 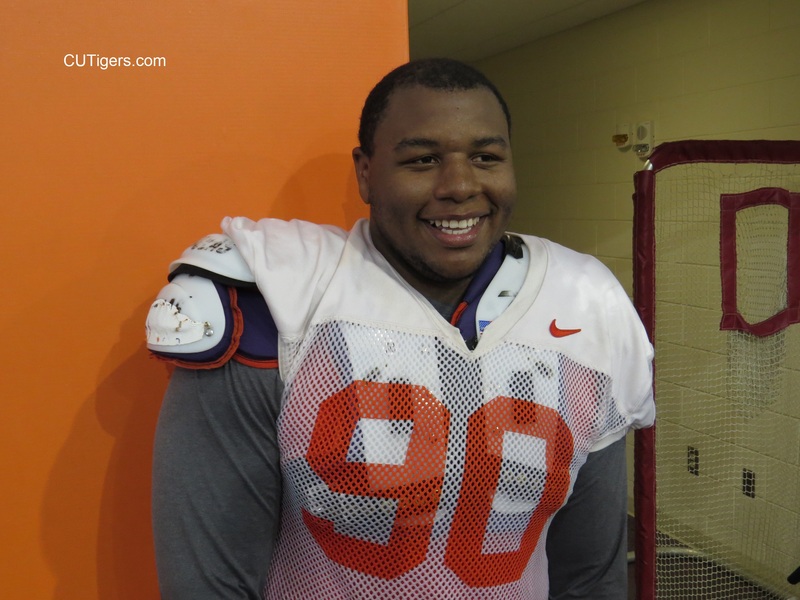 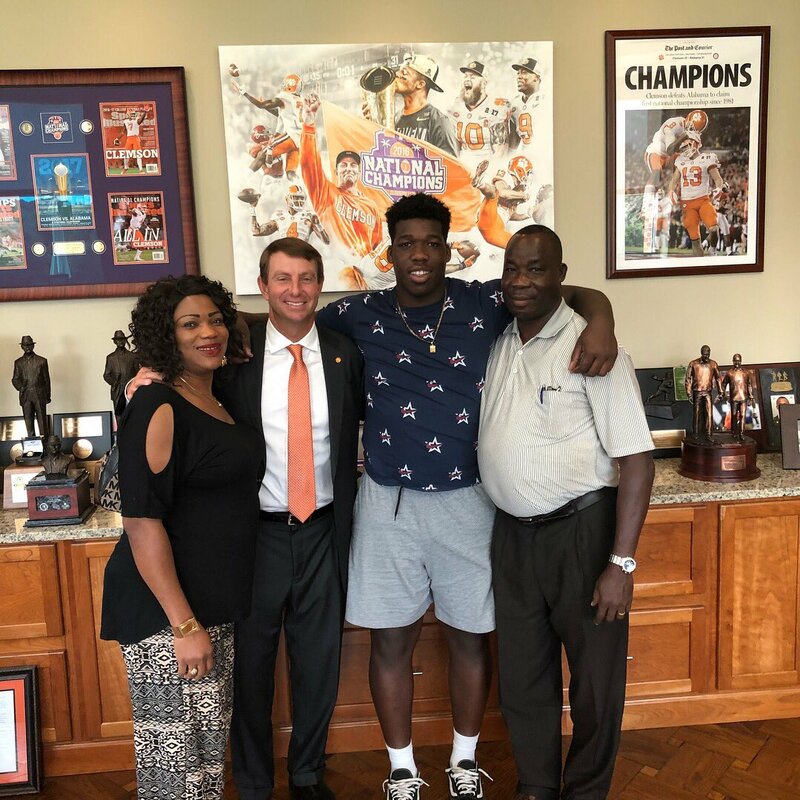 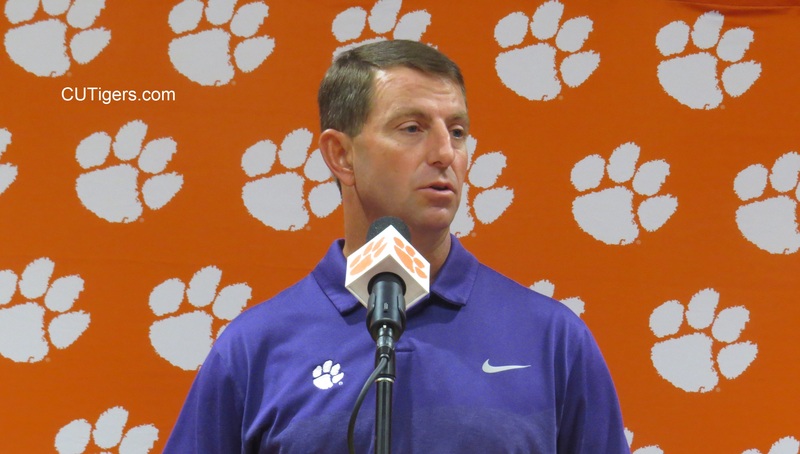 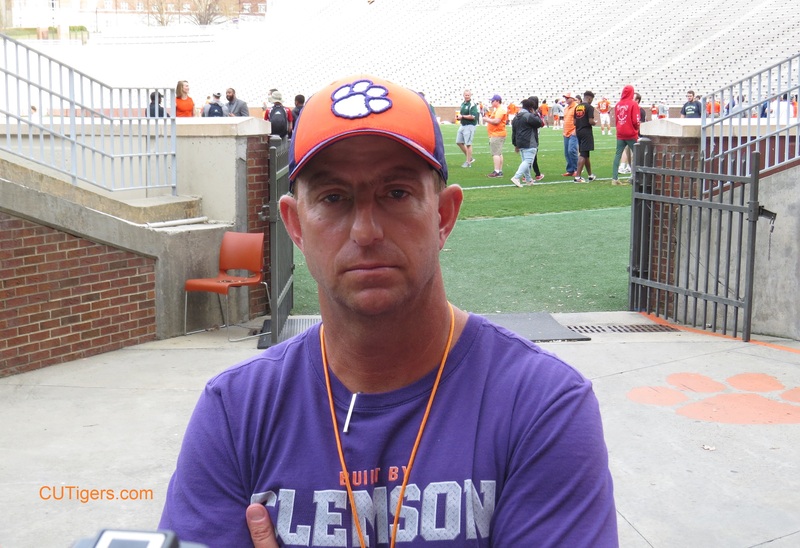 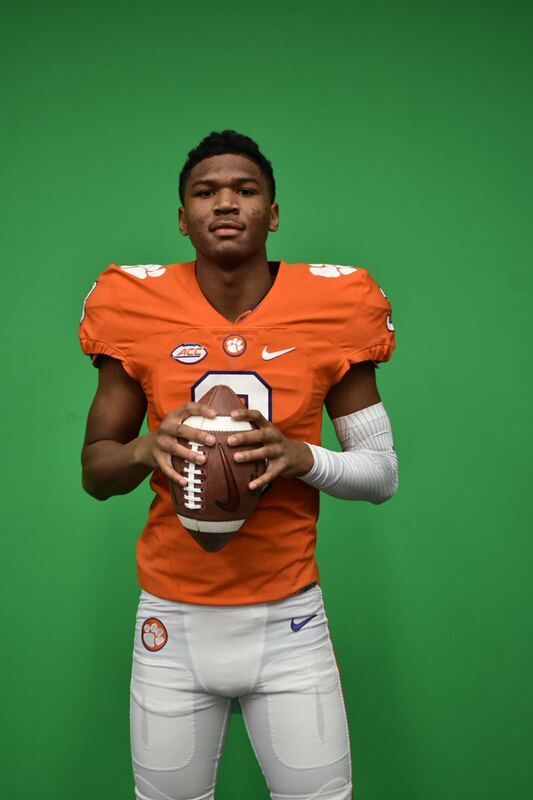 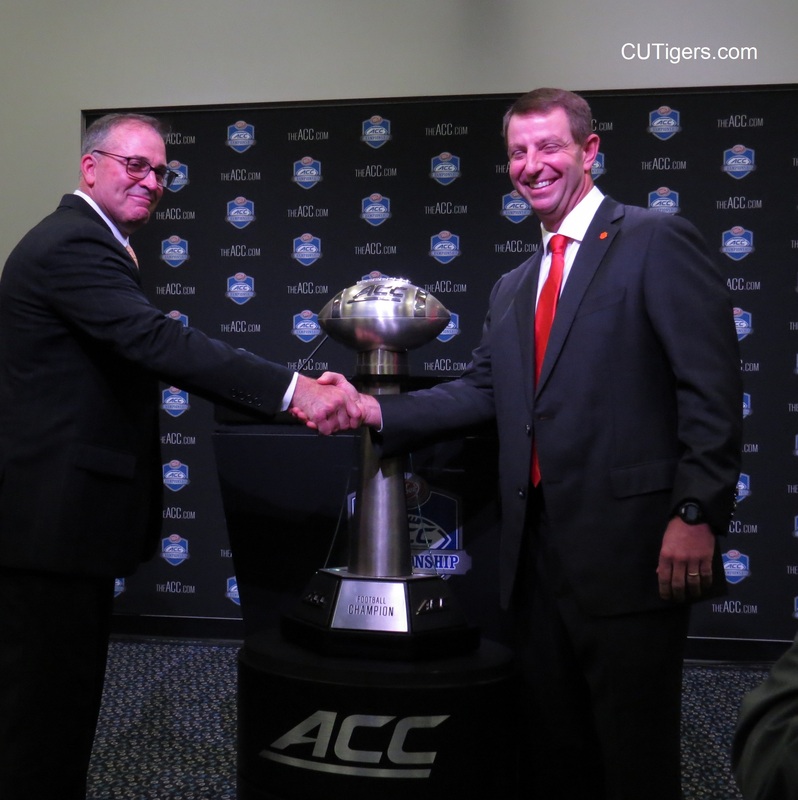 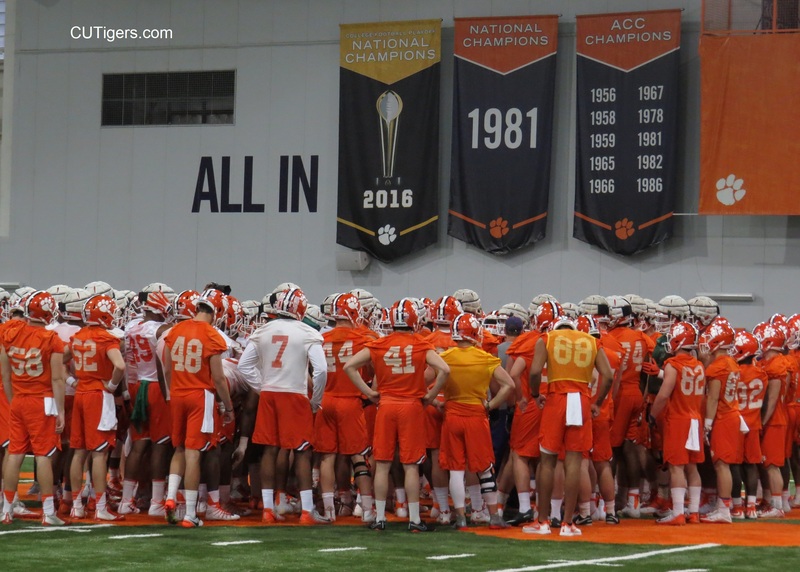 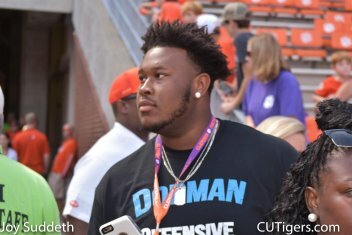 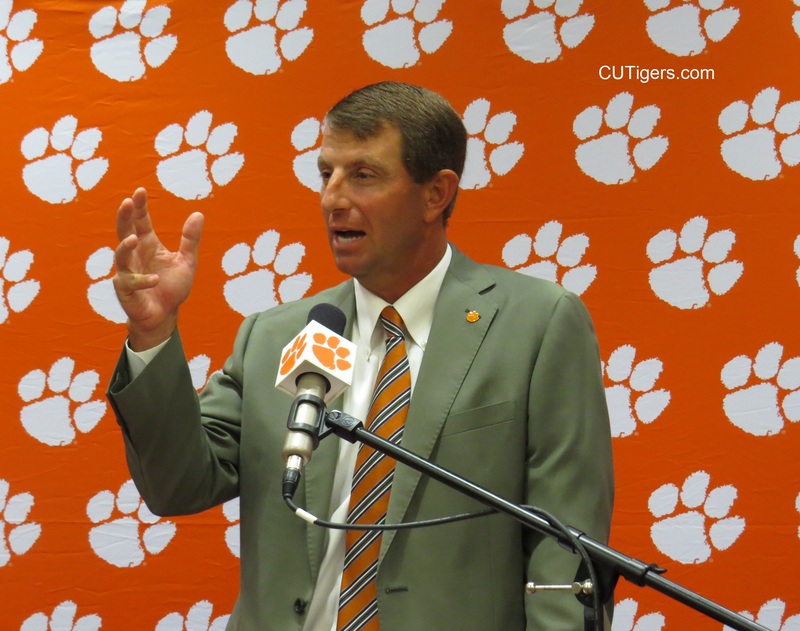 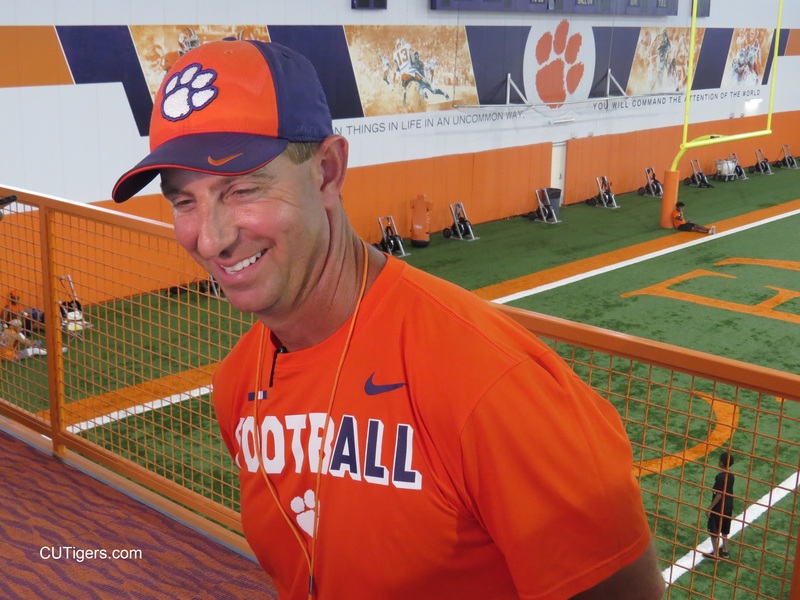 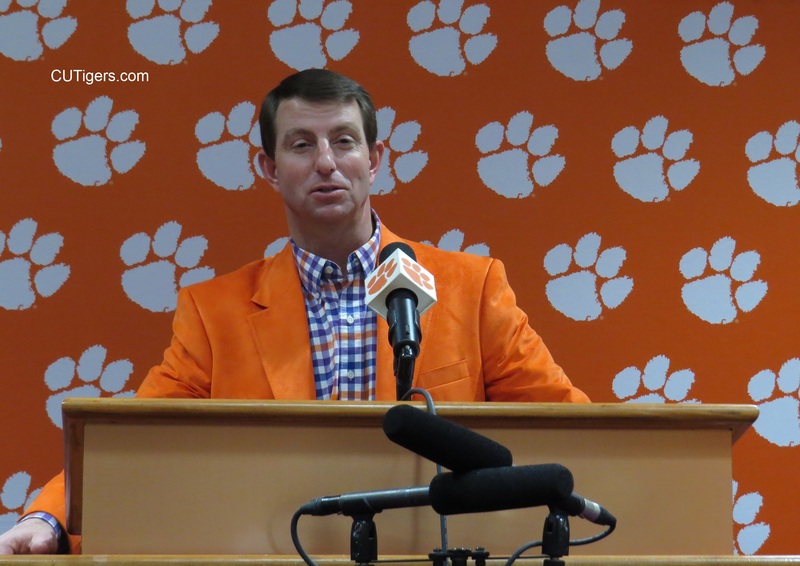 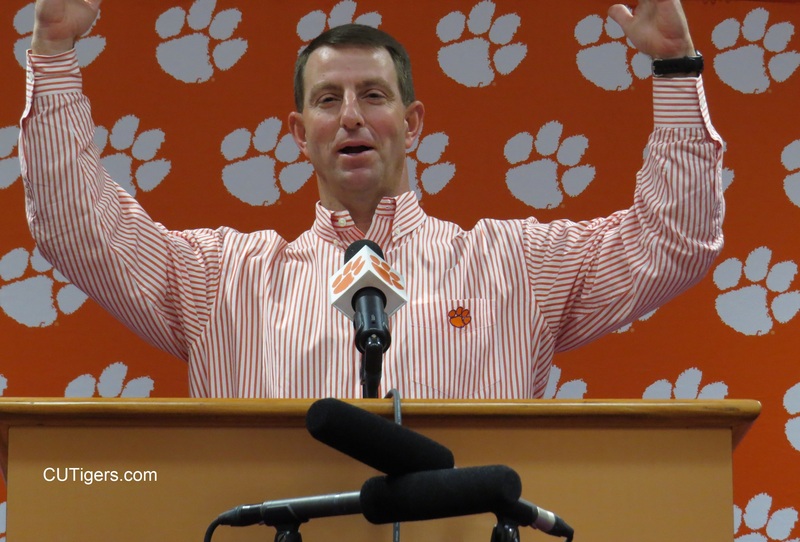 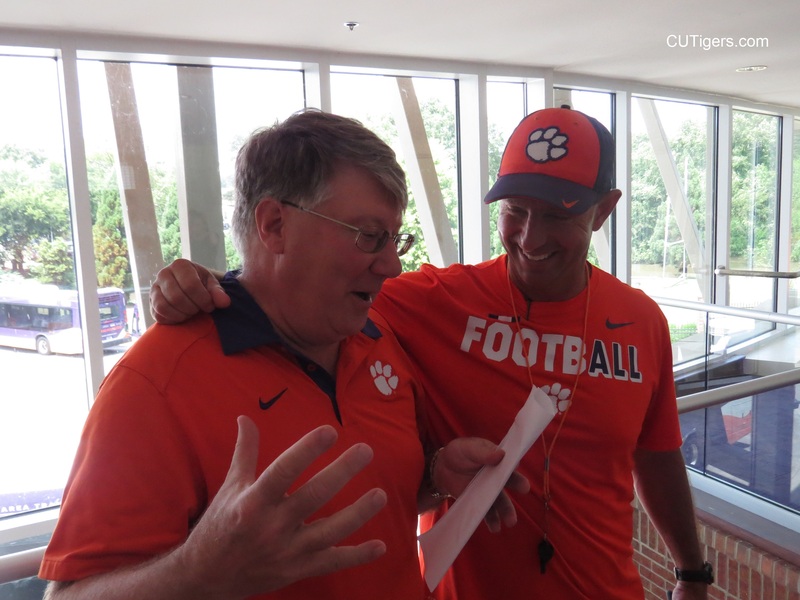 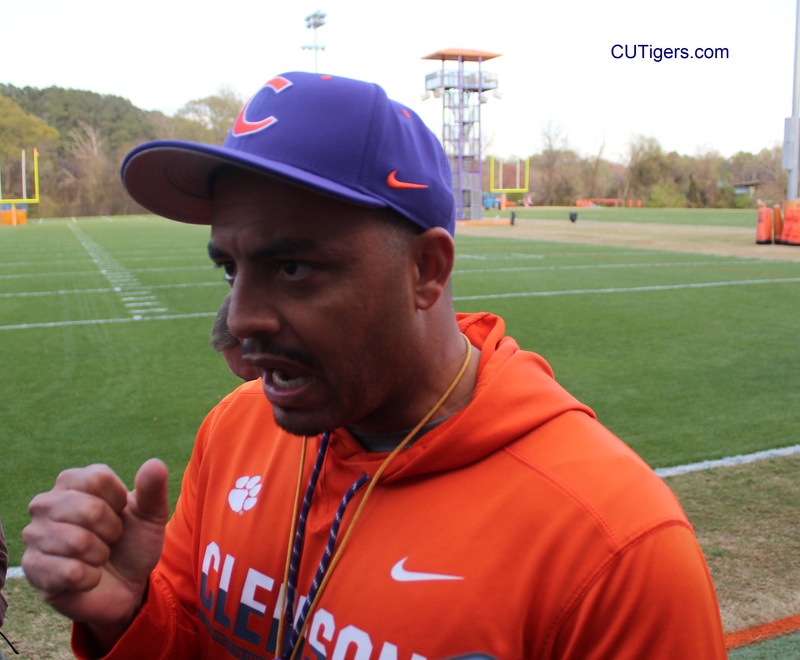 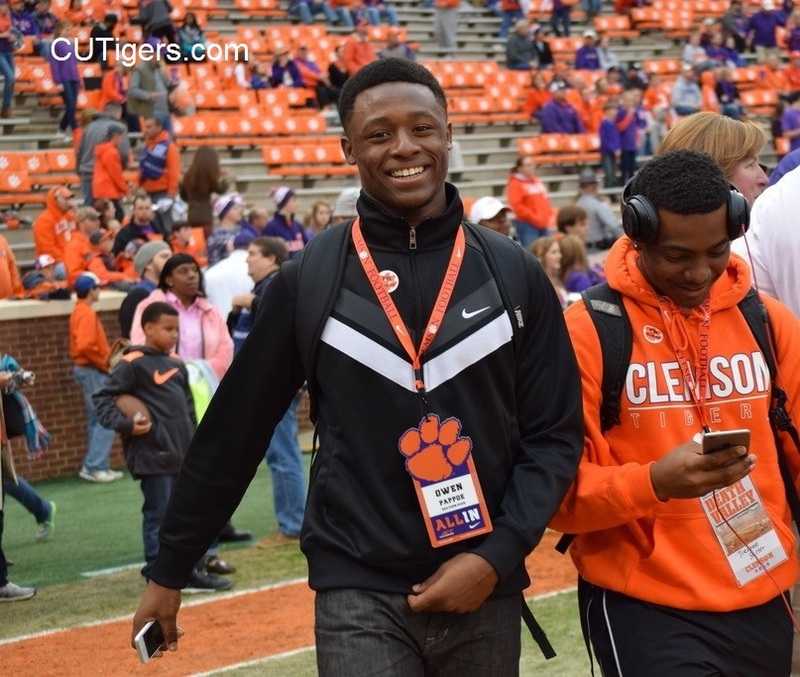 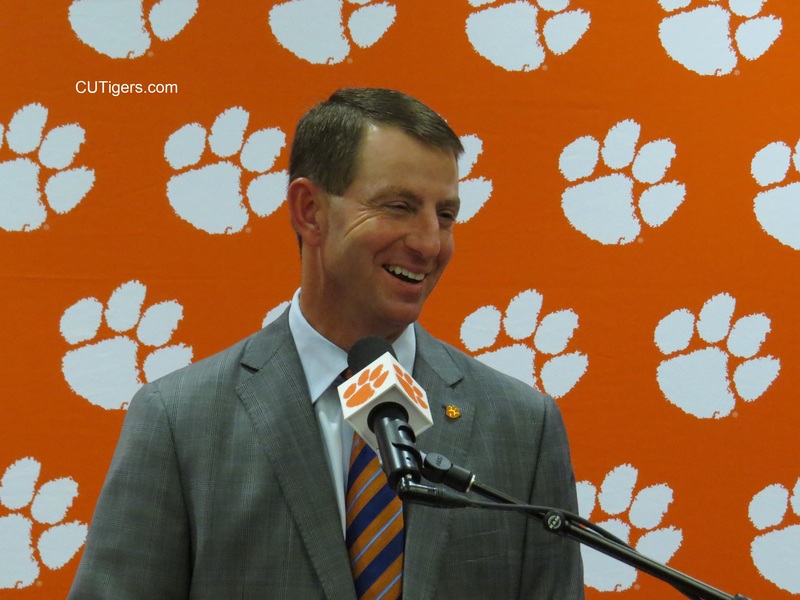 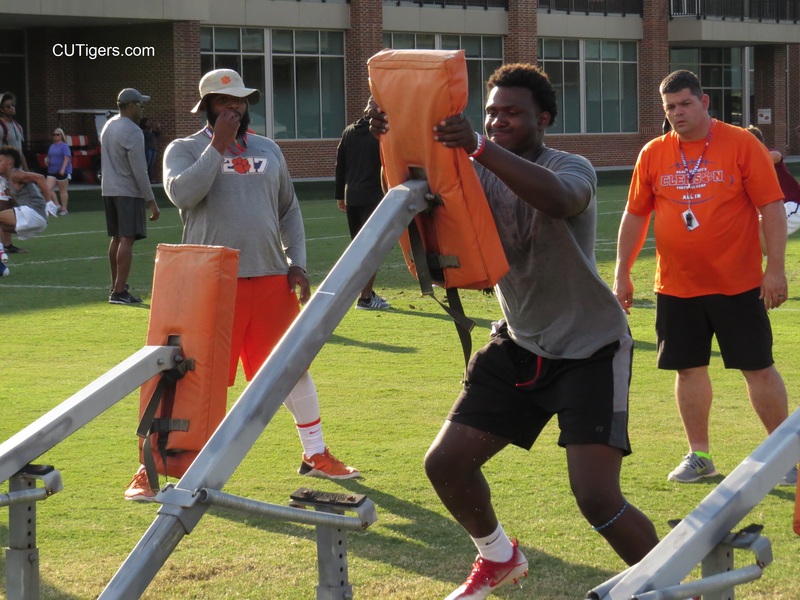 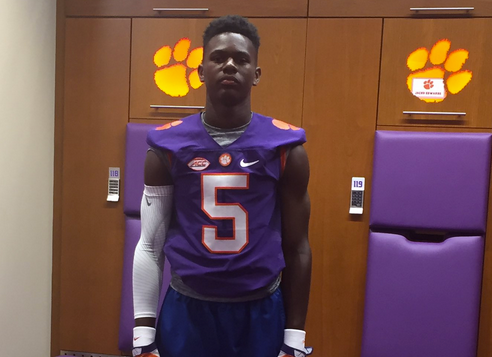 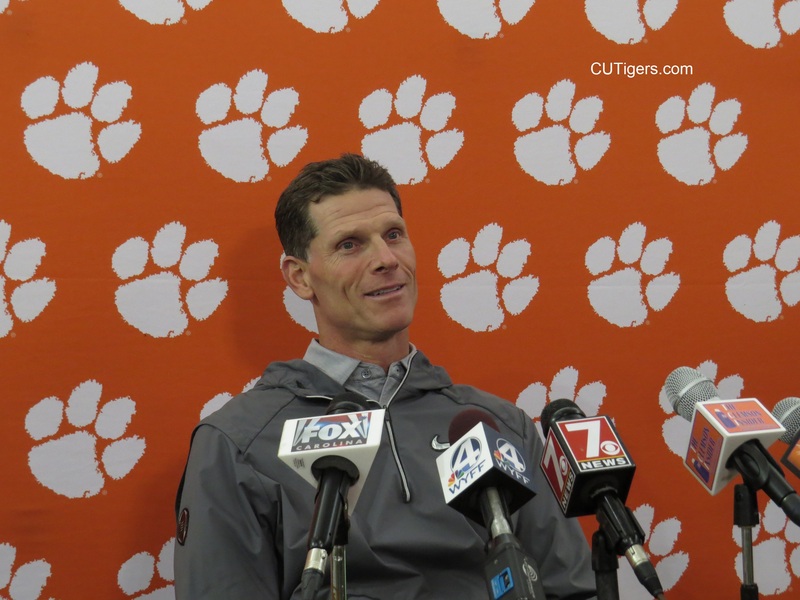 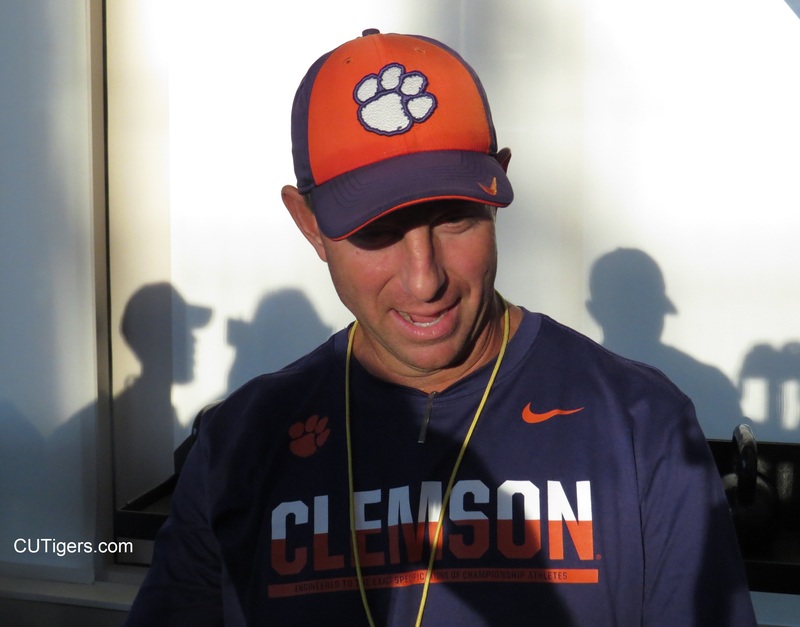 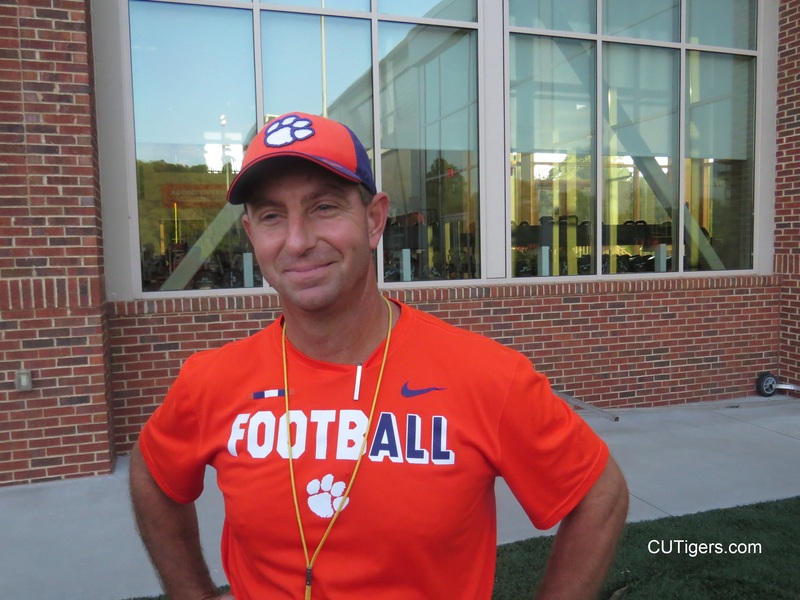 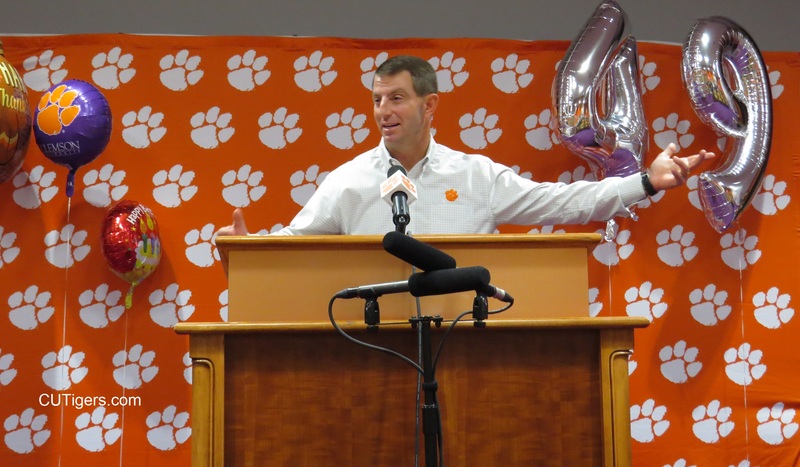 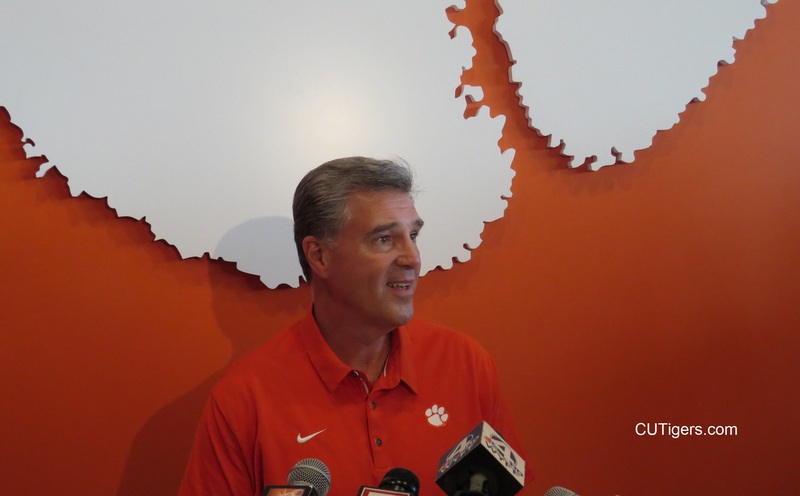 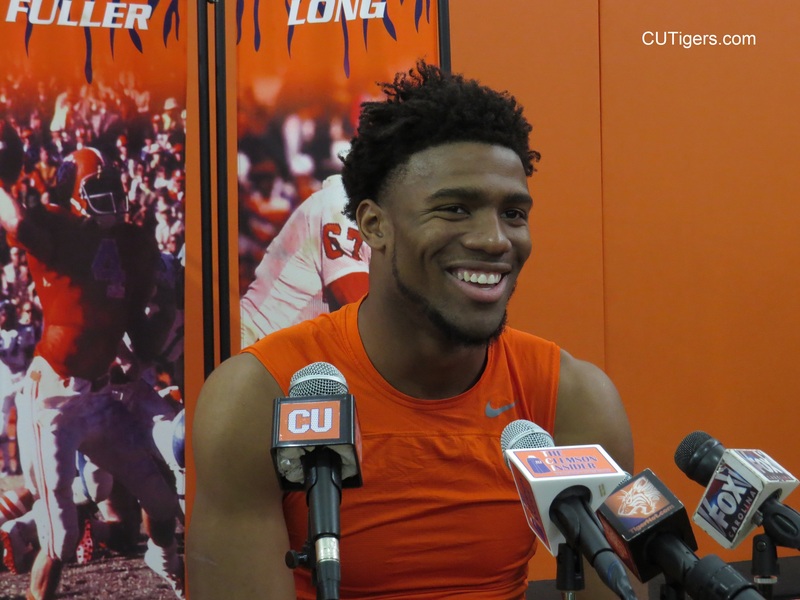 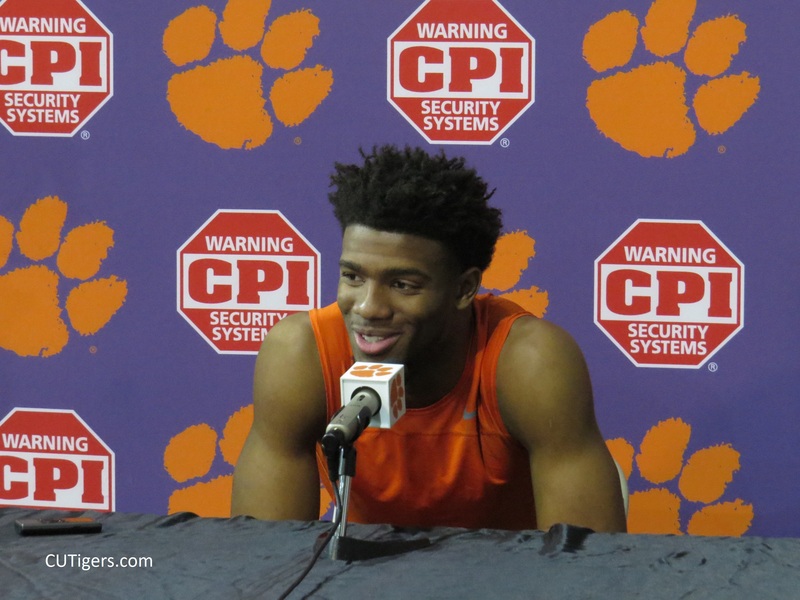 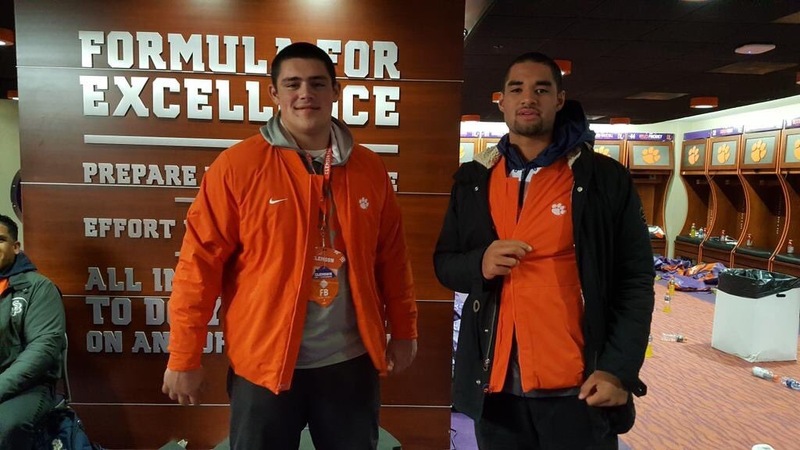 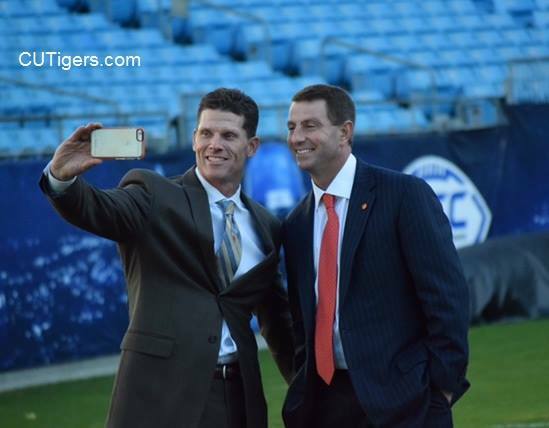 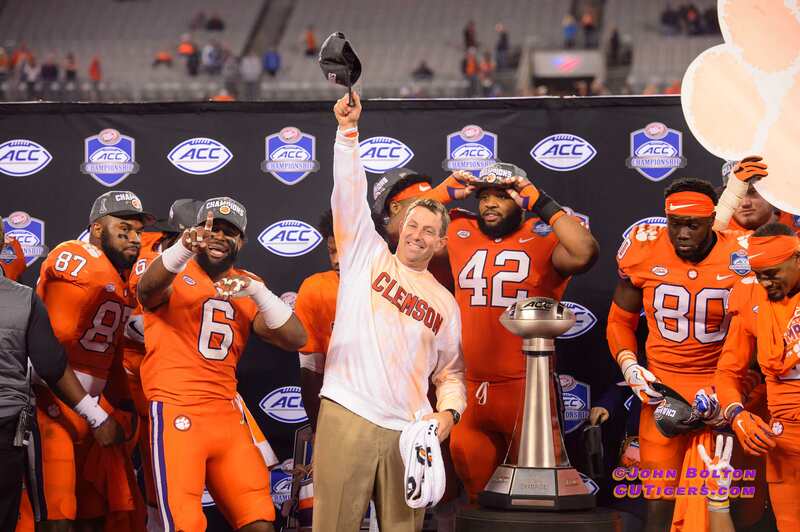 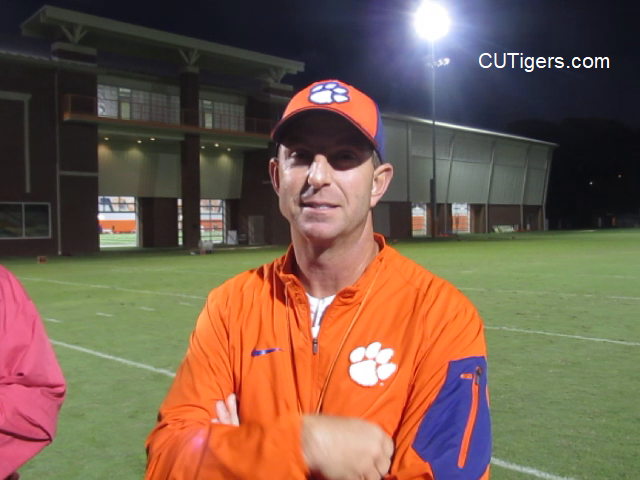 CLEMSON LANDS BIG-TIME COMMITMENTS PRIOR TO ORANGE AND WHITE GAME! 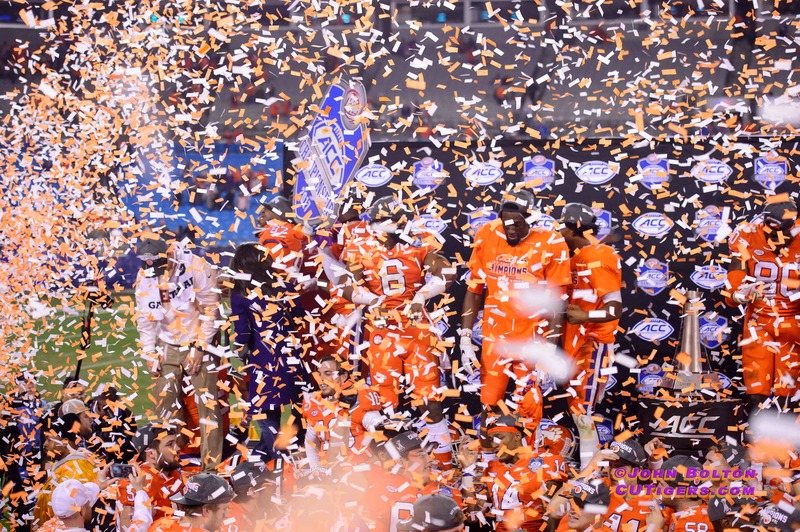 CLEMSON MAKES NCAA HISTORY, ANNIHILATES AUBURN TO MAKE SWEET 16! 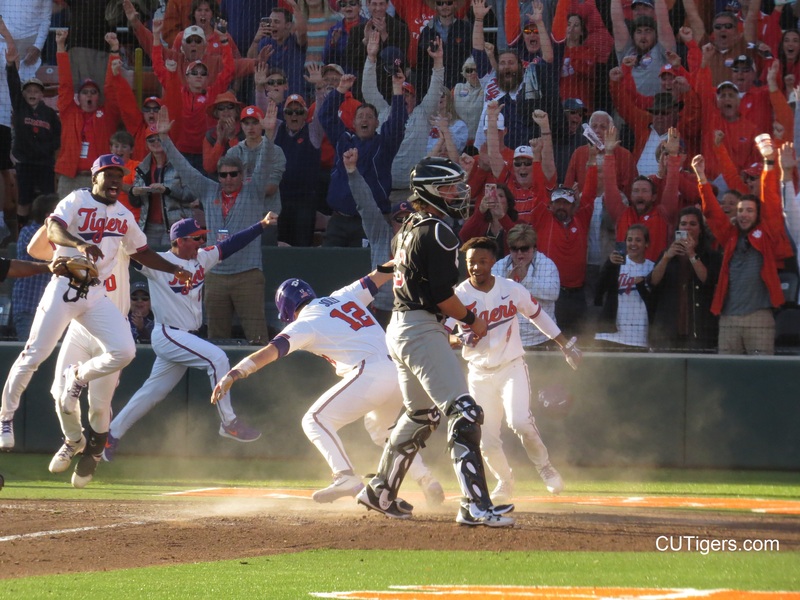 #7 CLEMSON WALKS OFF IN 9TH, WINS SCAR SERIES 4TH STRAIGHT YEAR! #18 CLEMSON BEATS FSU, WINS SCHOOL RECORD 11TH ACC GAME! 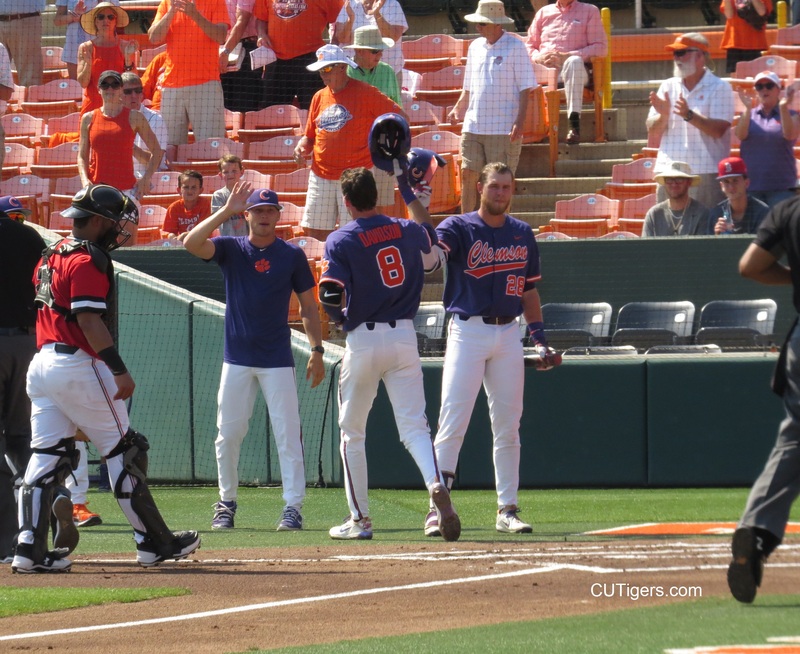 #25 CLEMSON REMAINS REED HOT, WINS 10TH STRAIGHT! 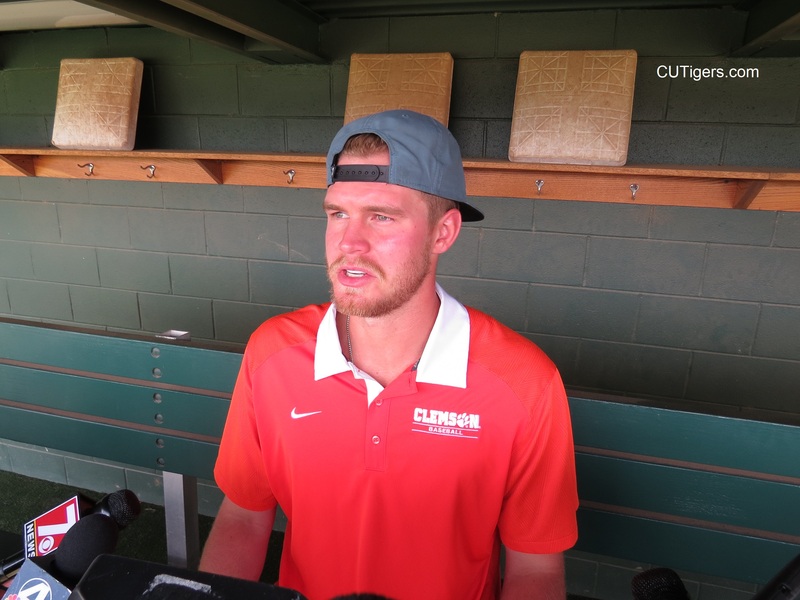 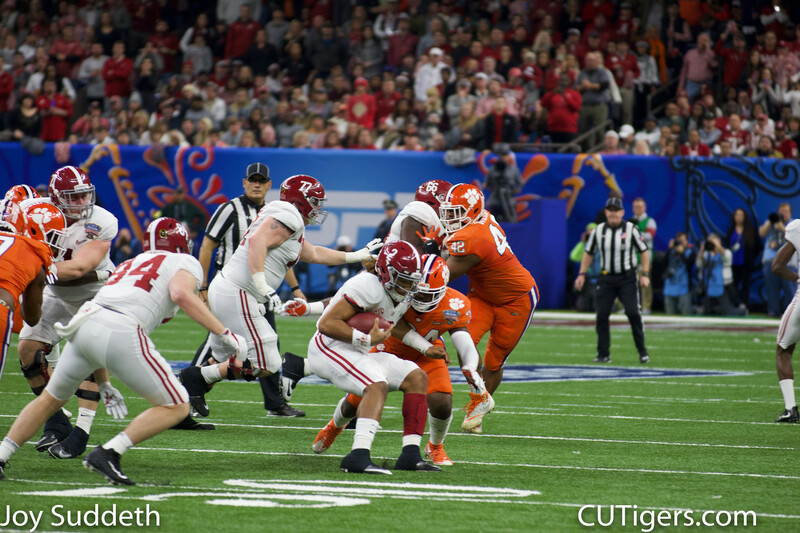 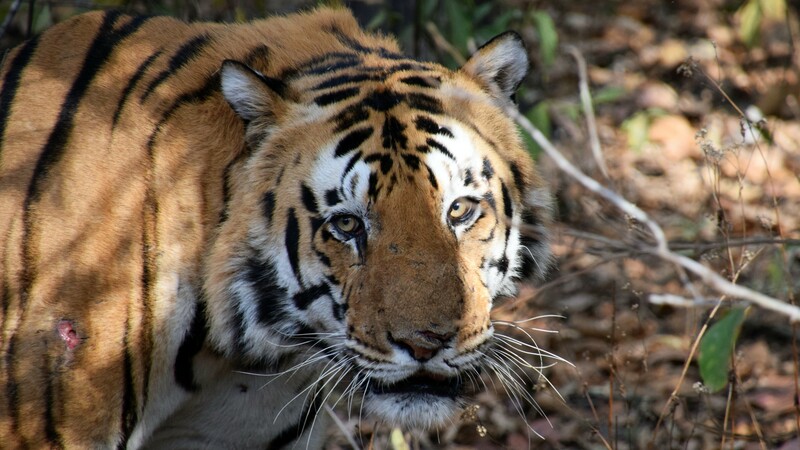 Click below for our first installment of images from the Sugar Bowl rubber match between #1 Clemson and #4 Alabama, courtesy of CUTigers.com contributor Joy Suddeth! 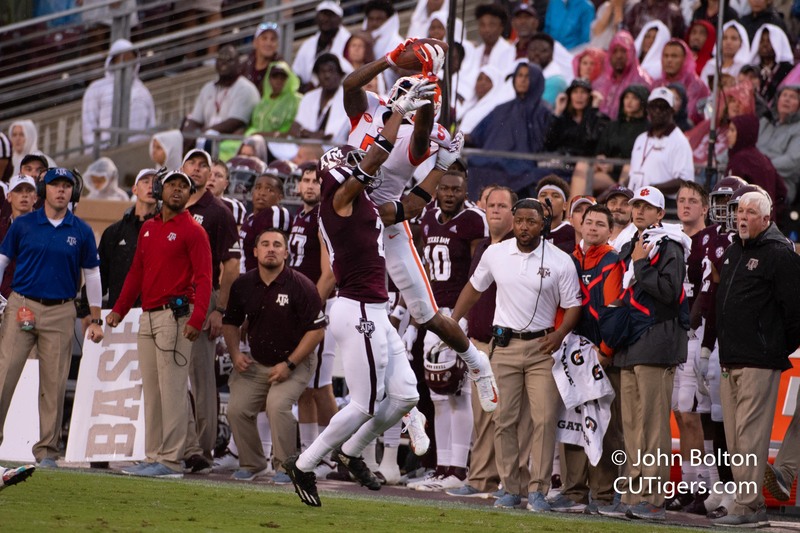 Saturday was a busy day here in New Orleans! 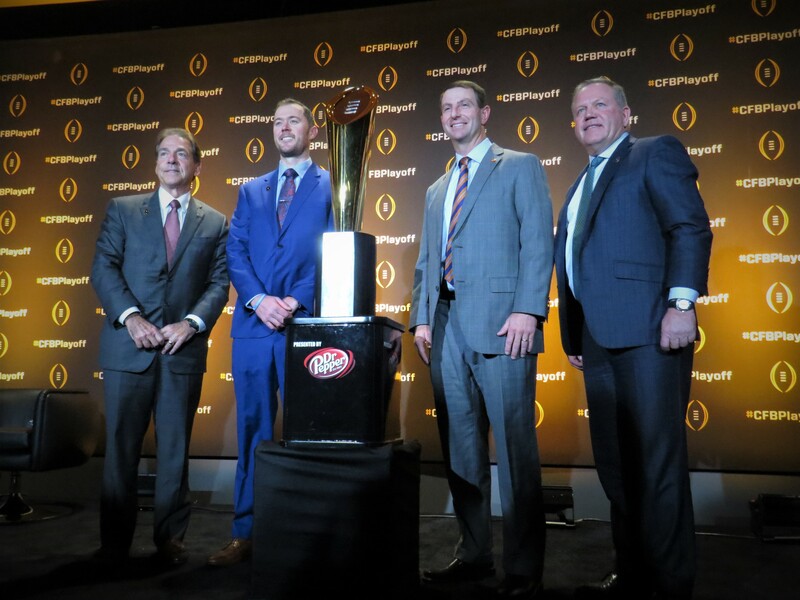 We began early with Media Day at the Superdome and interviews with coaches and players from both teams. 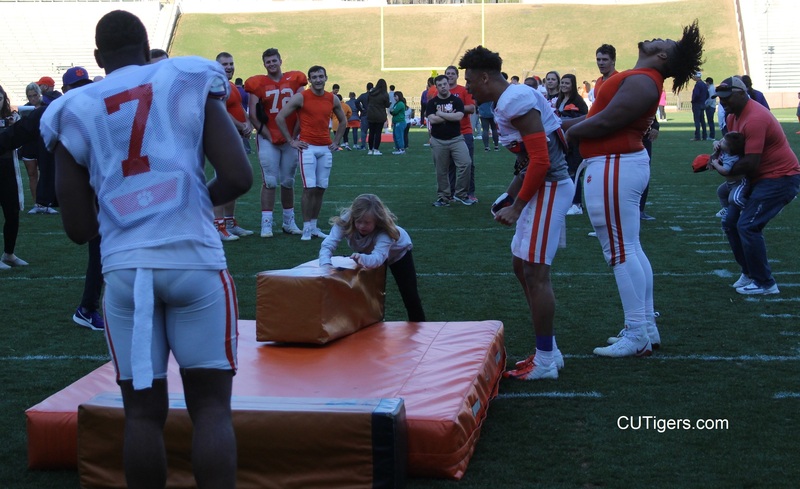 Then it was over to a New Orleans children's hospital for a visit from the Clemson players. 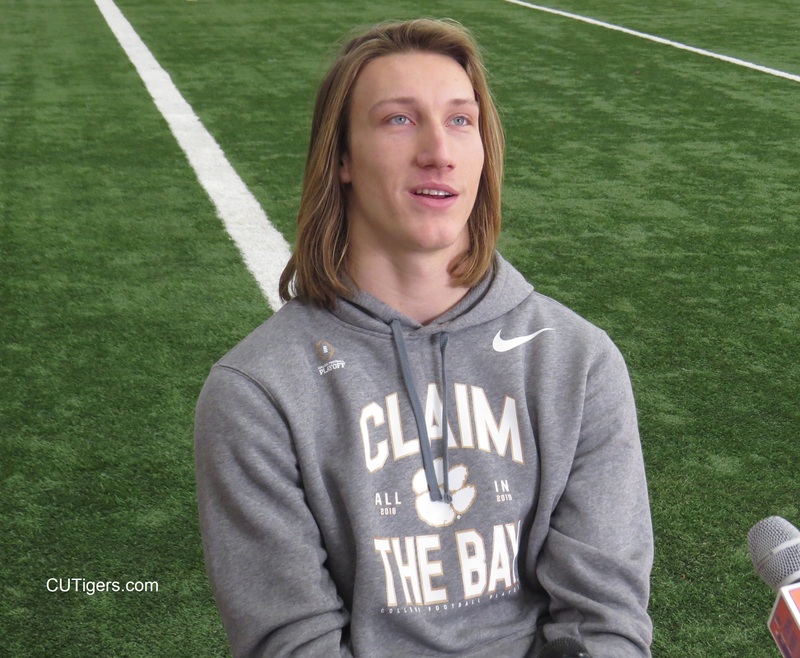 We wrapped up with a photo session at the Tigers' walk-through practice at Tulane University. 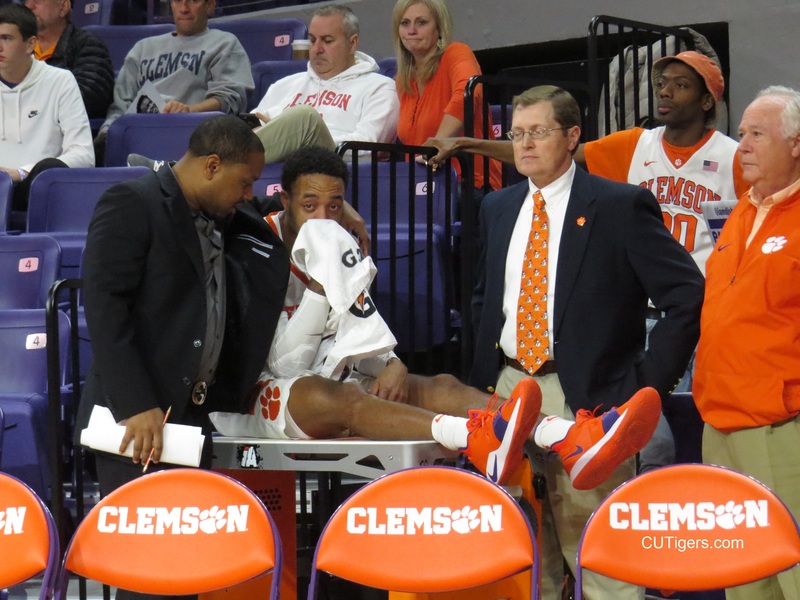 Oh, and Brad Brownell's hardwood Tigers won their first ACC game in a 16-point blowout of NC State! 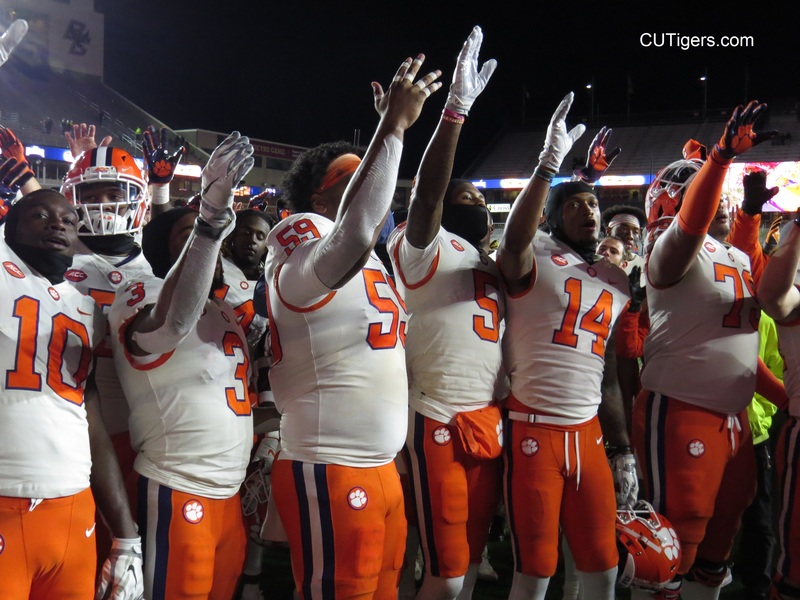 It was their 8th straight win, and they are now 12-1 on the season. 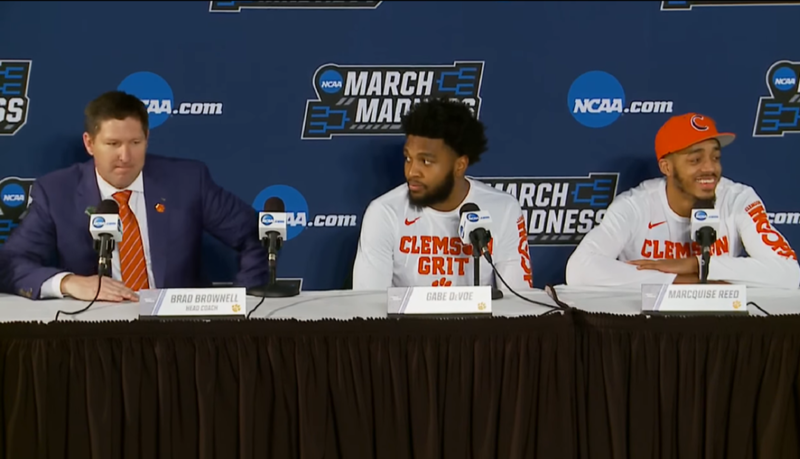 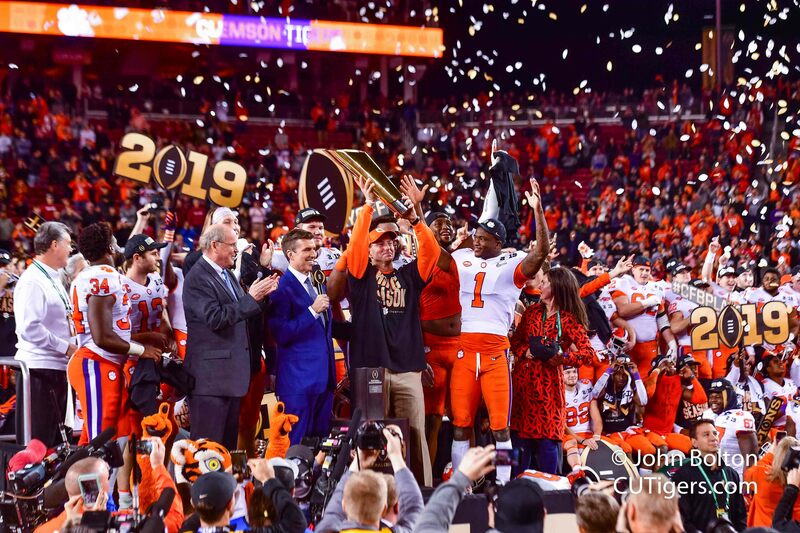 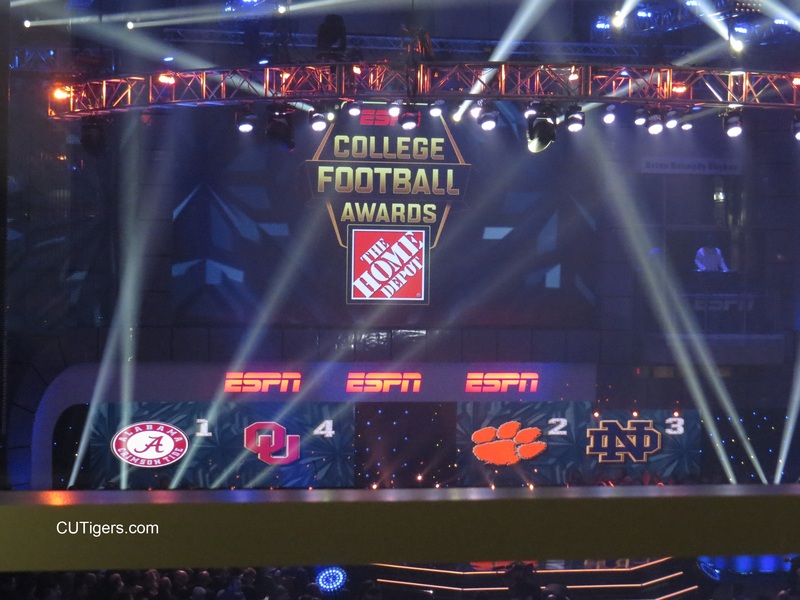 Enjoy the footage below, and keep it right here for all your Clemson coverage from here in New Orleans! 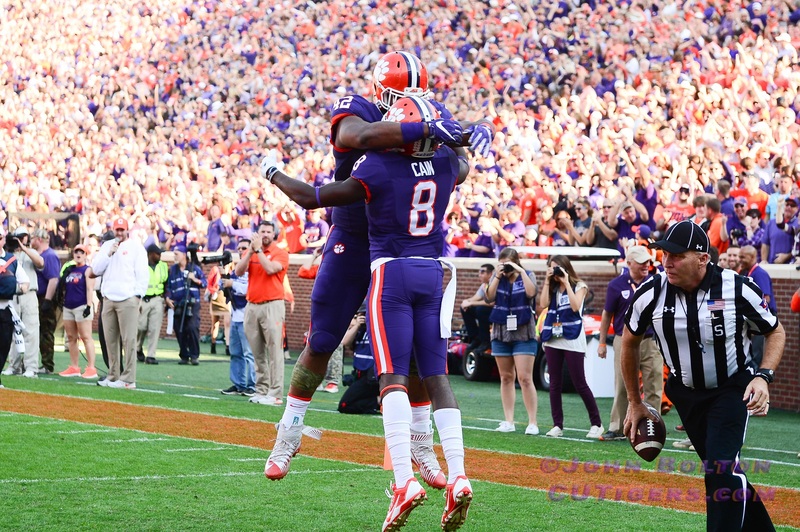 CLEMSON BLOWS OUT LAFAYETTE, WINS 7TH STRAIGHT! 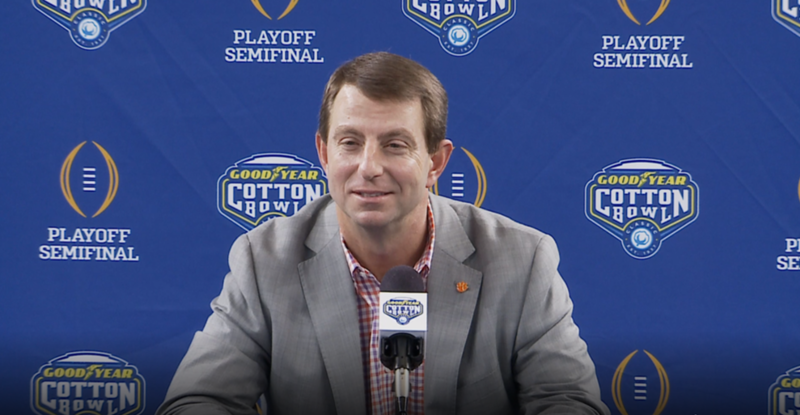 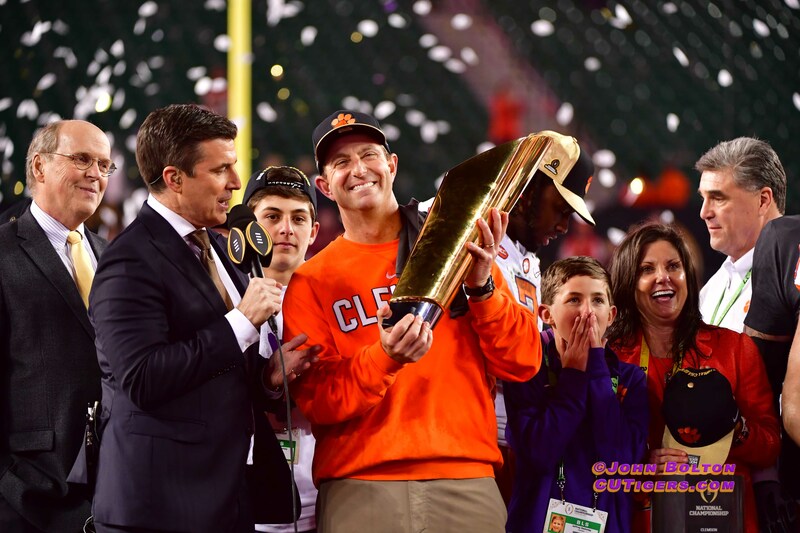 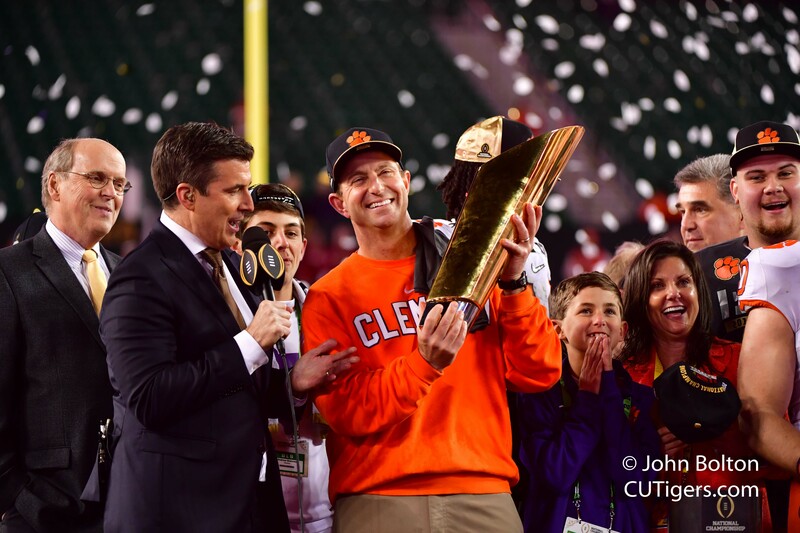 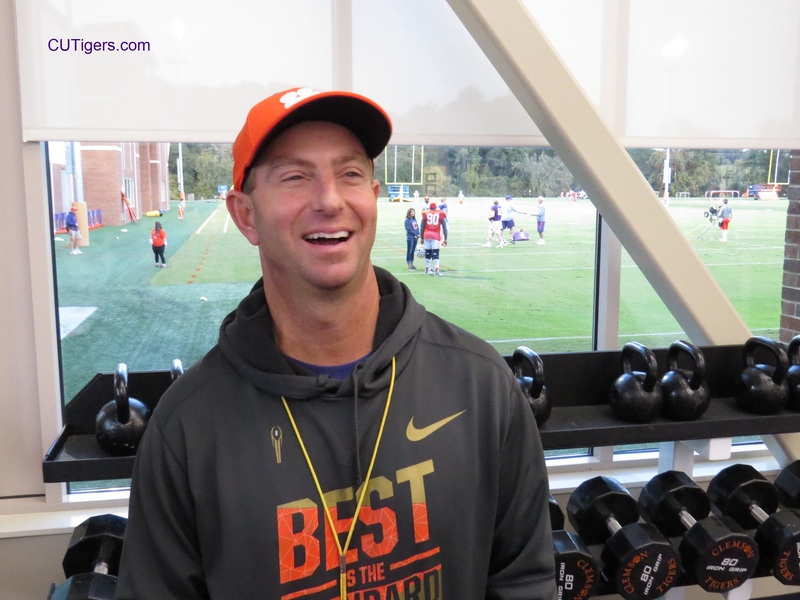 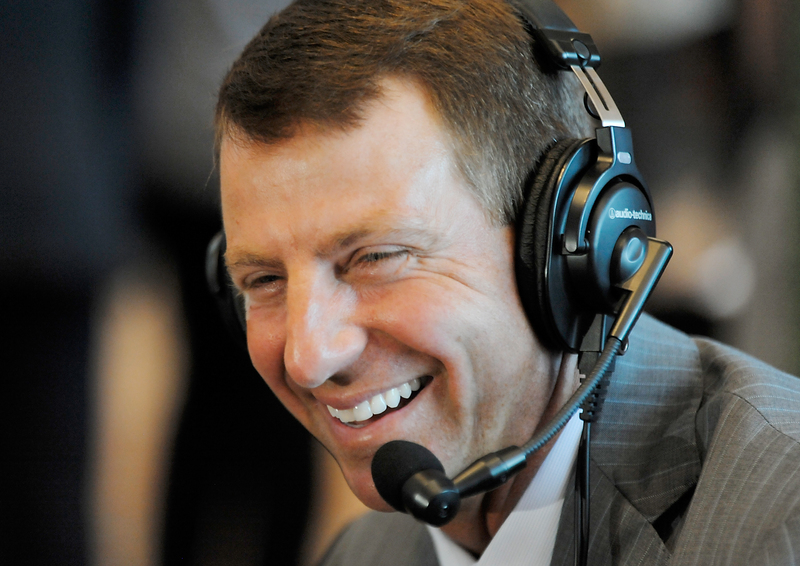 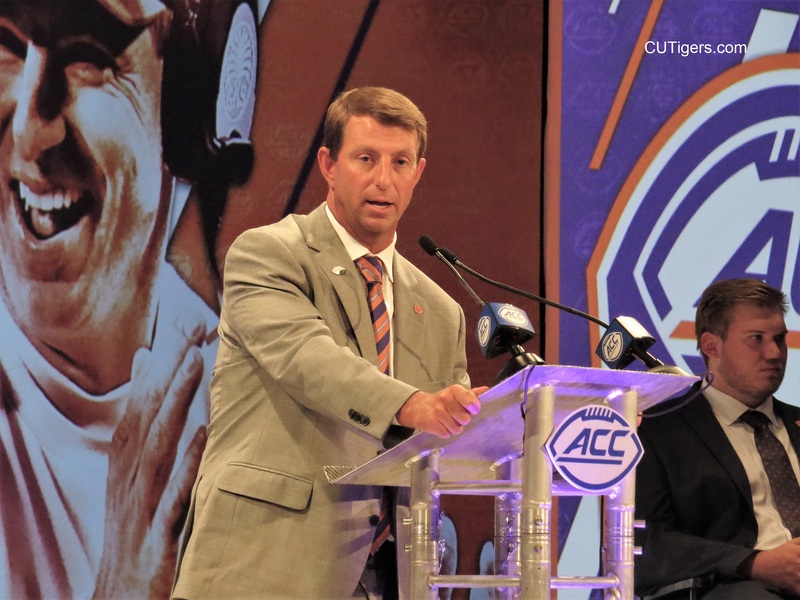 Dabo Swinney loves to say, "The best is yet to come," and it's hard to dispute that, given the way the Clemson staff continues to recruit at an elite level. 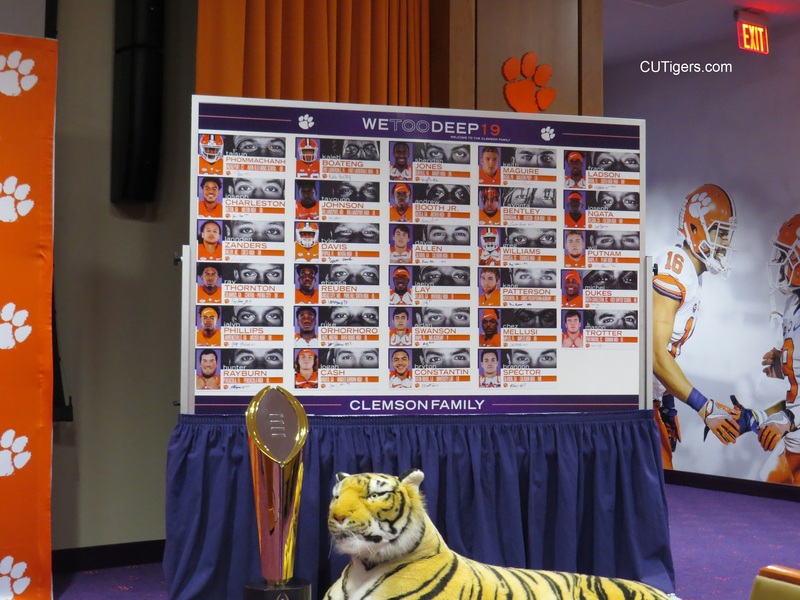 The Tigers signed 15 players on the first-ever Early Signing Period Wednesday, and their class jumped up to #5 in the ESPN recruiting rankings. 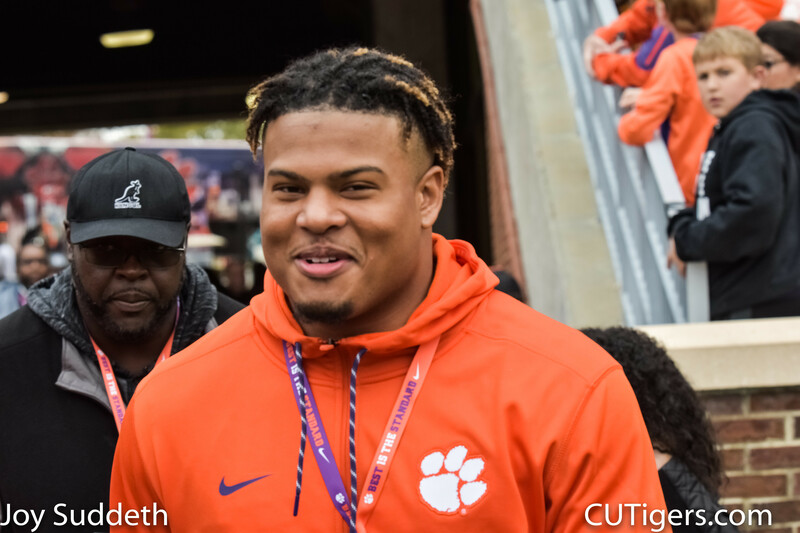 Dabo and the staff received somewhat of a surprise signing from OT Jackson Carman, the #1 player in the state of Ohio, who was long thought to be a future Buckeye. 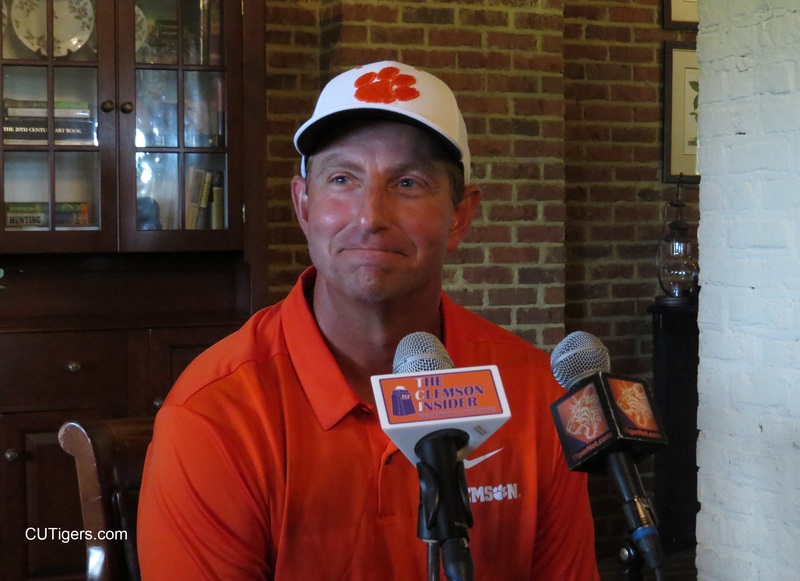 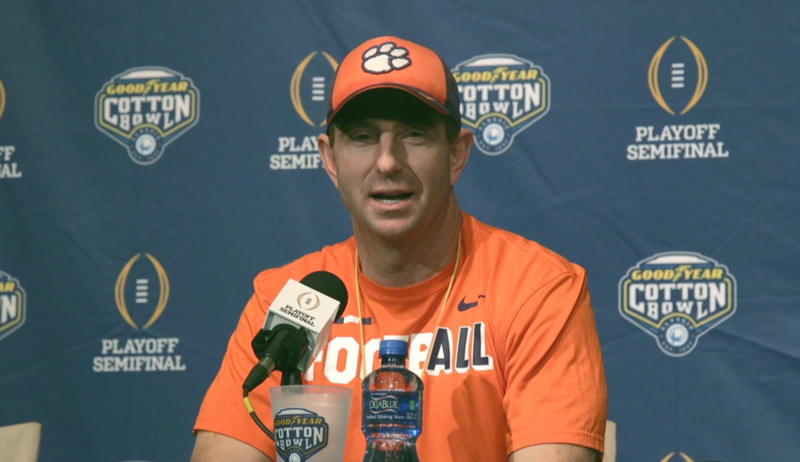 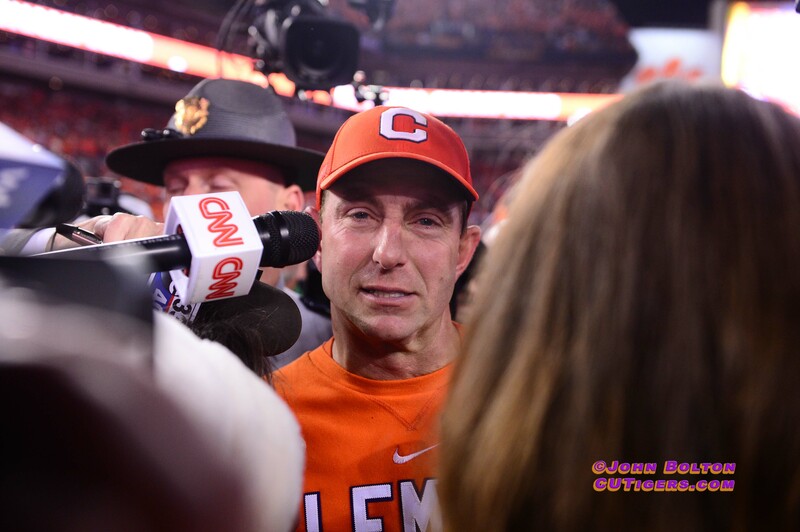 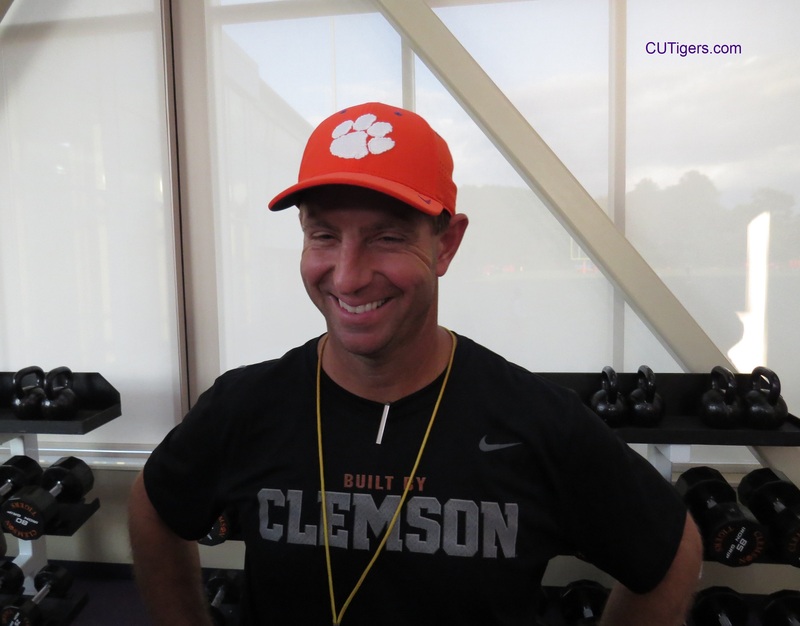 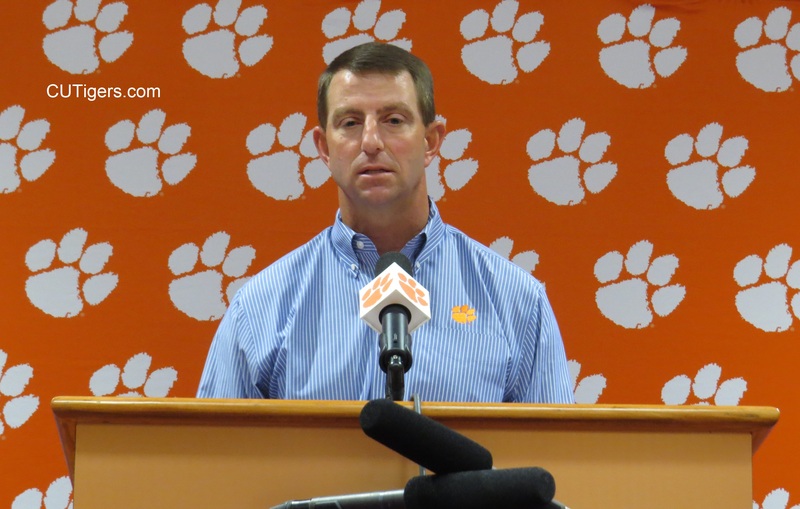 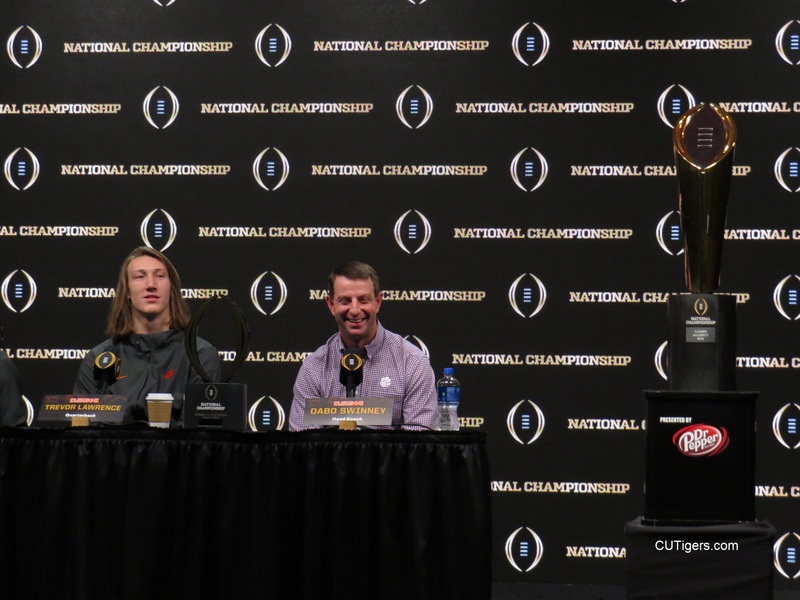 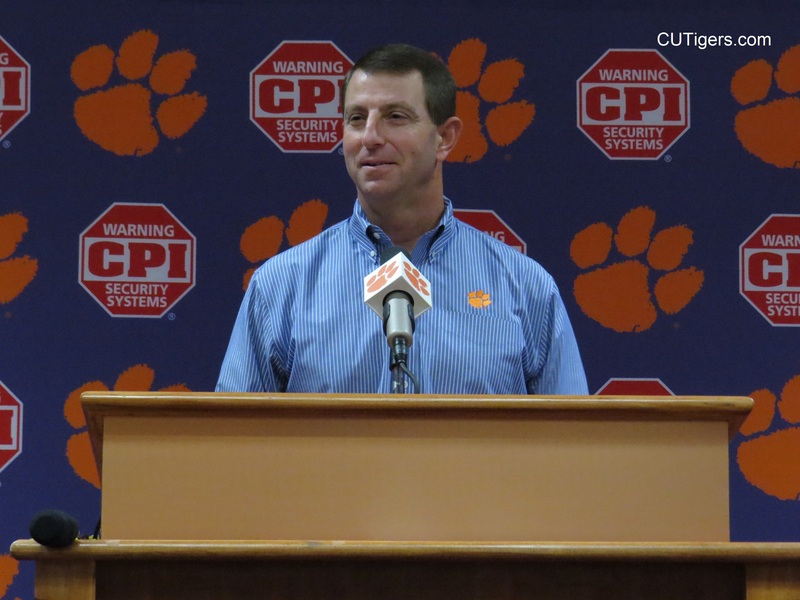 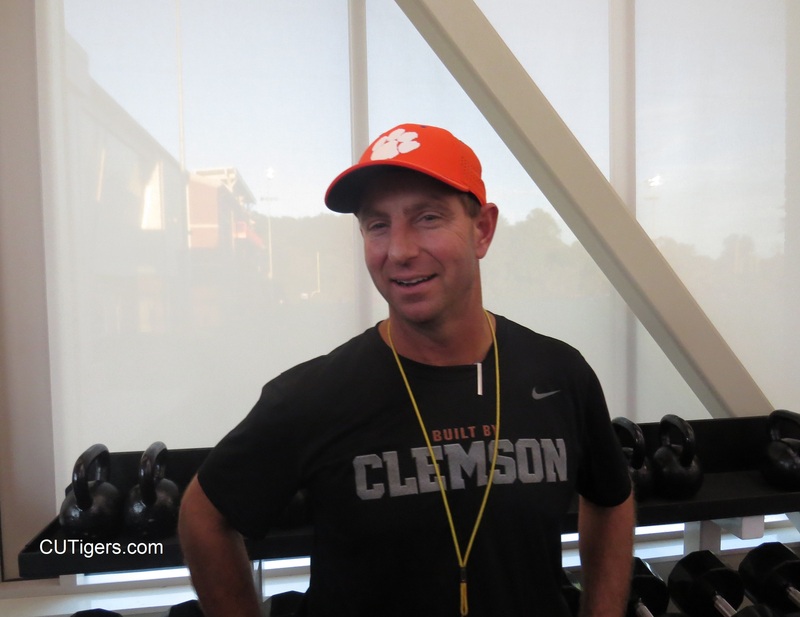 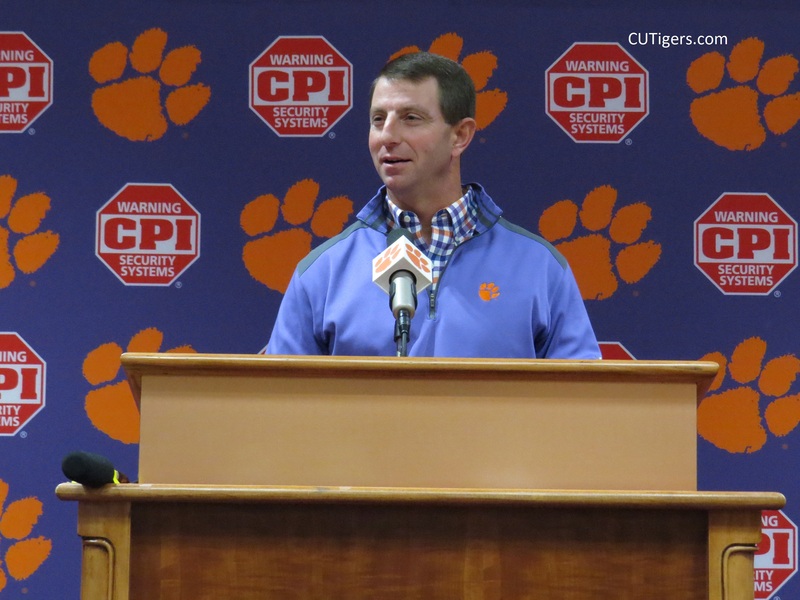 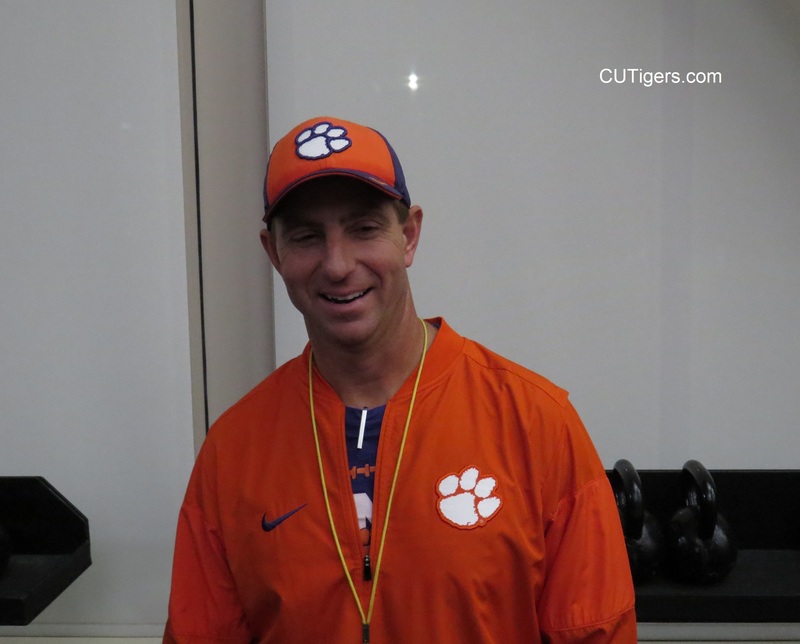 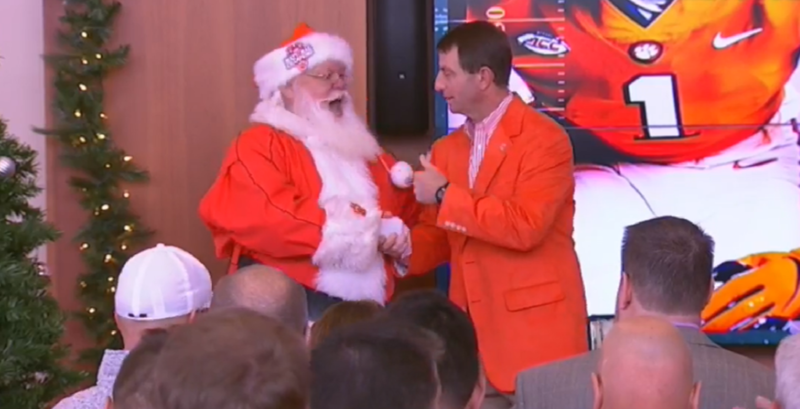 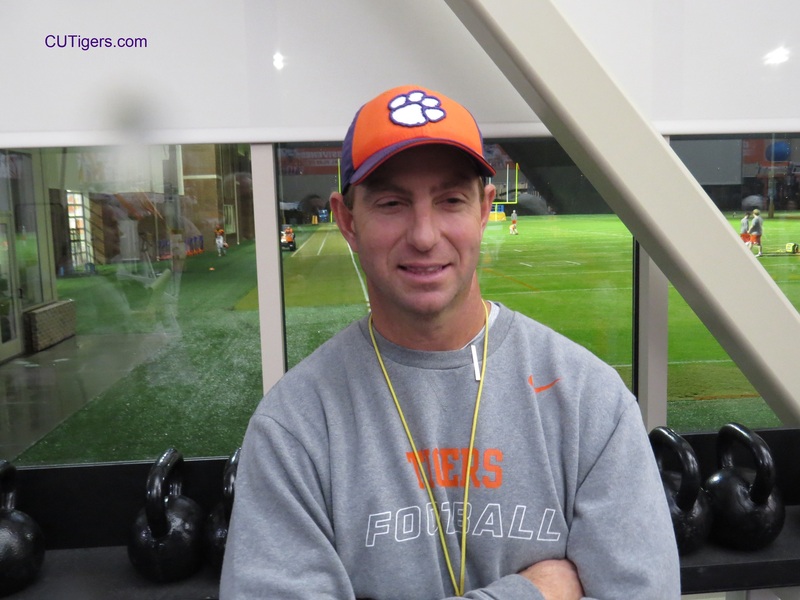 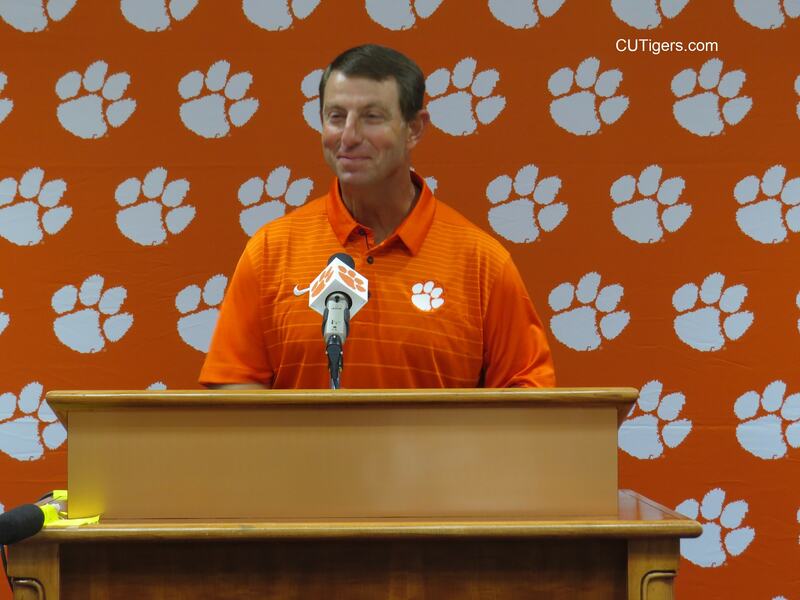 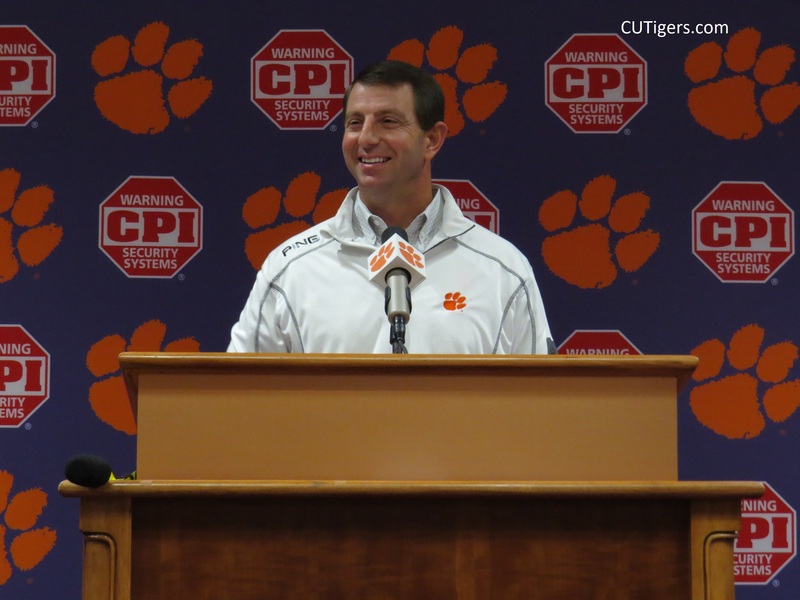 The announcement came in just before Dabo sat down to talk with us. 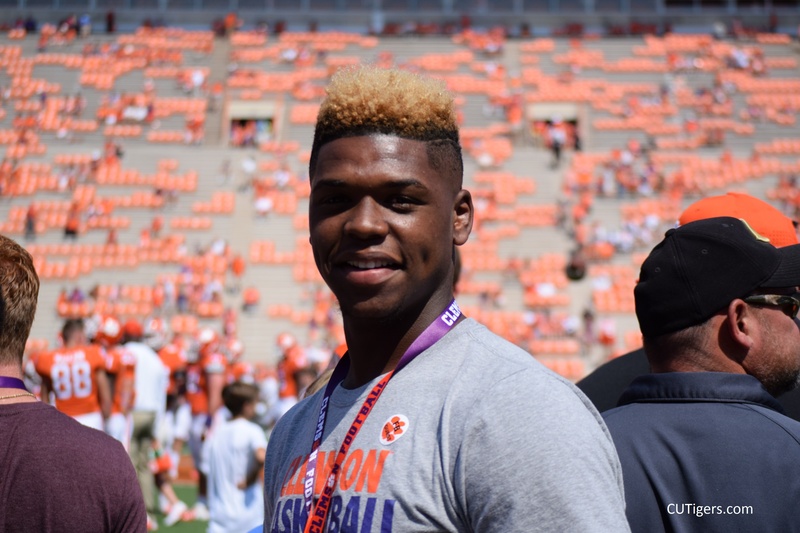 The Tigers closed the day strong with the expected signing of 5-star DE K.J. 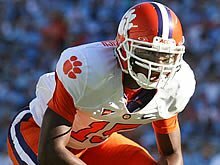 Henry out of Charlotte. 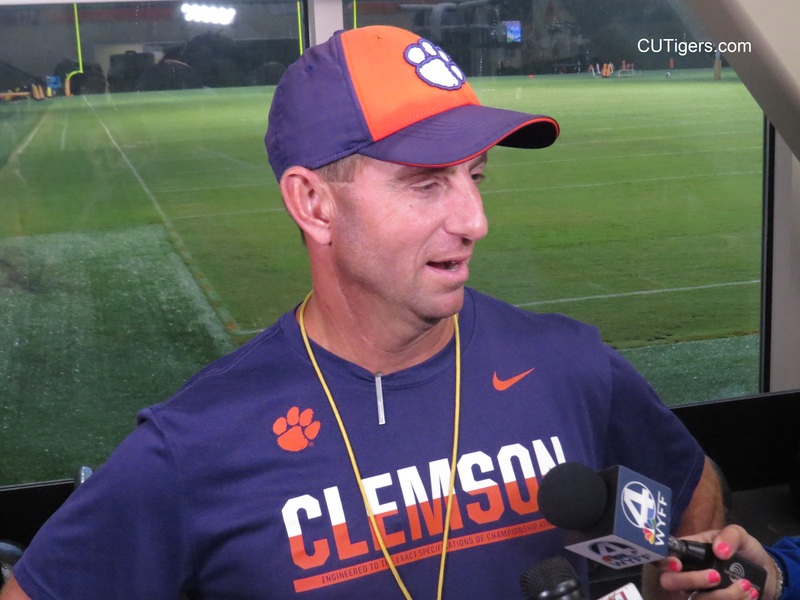 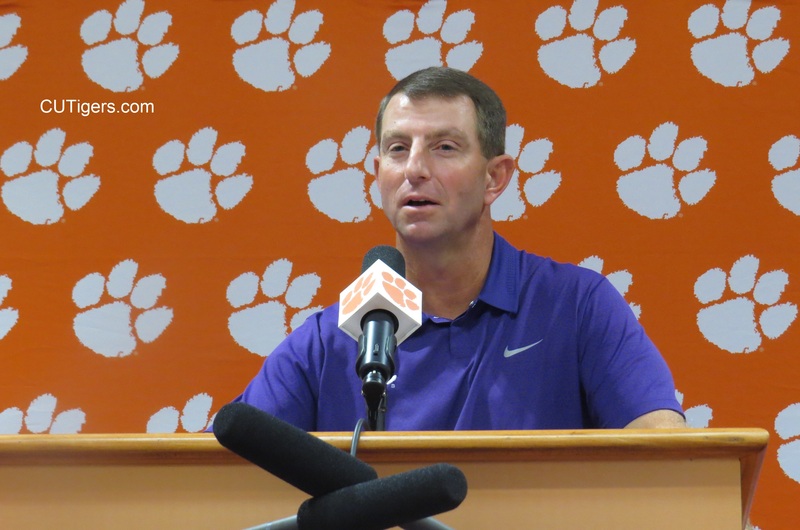 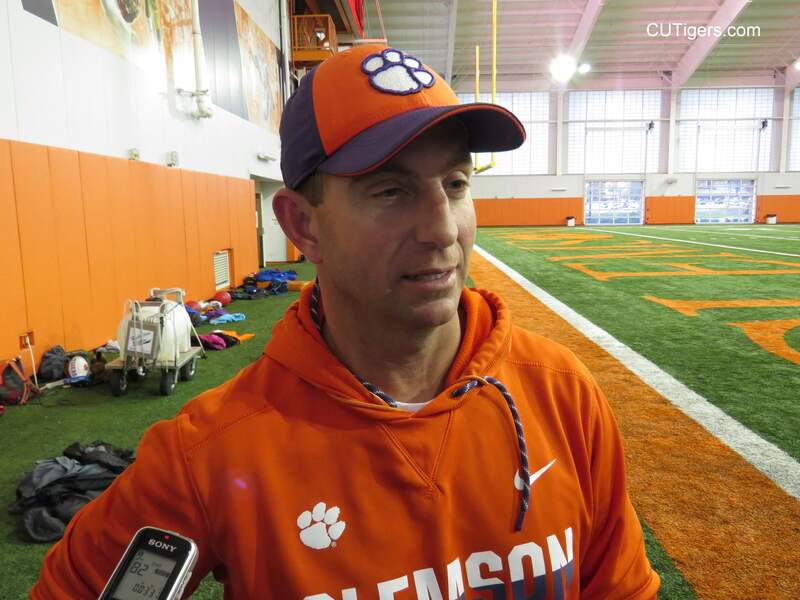 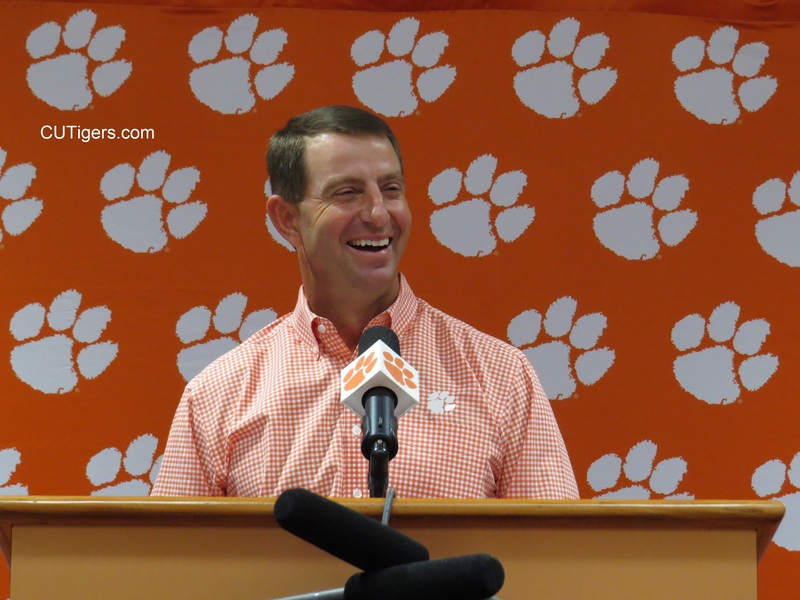 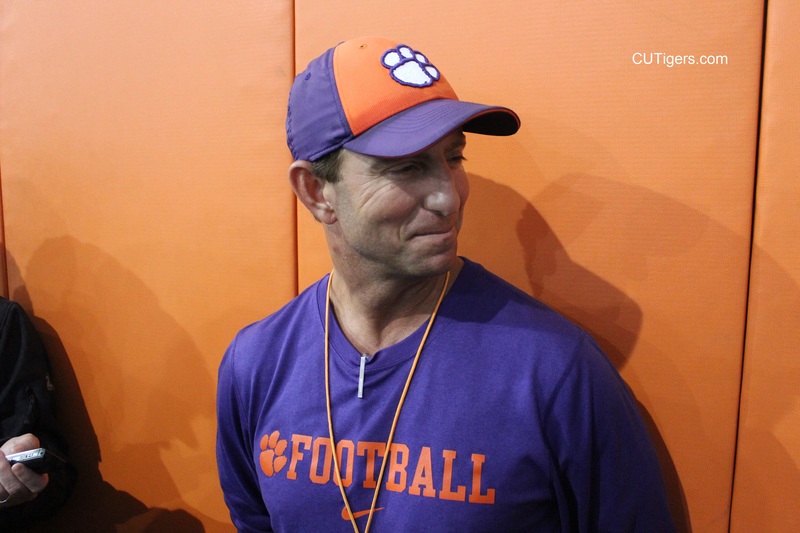 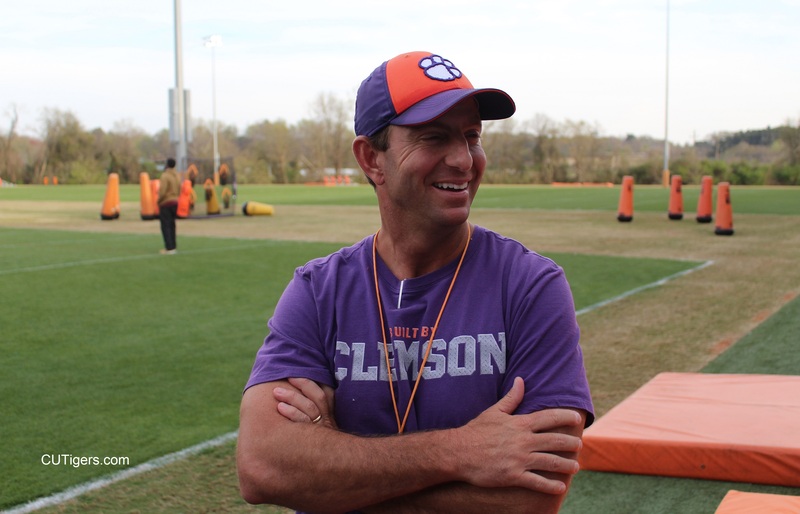 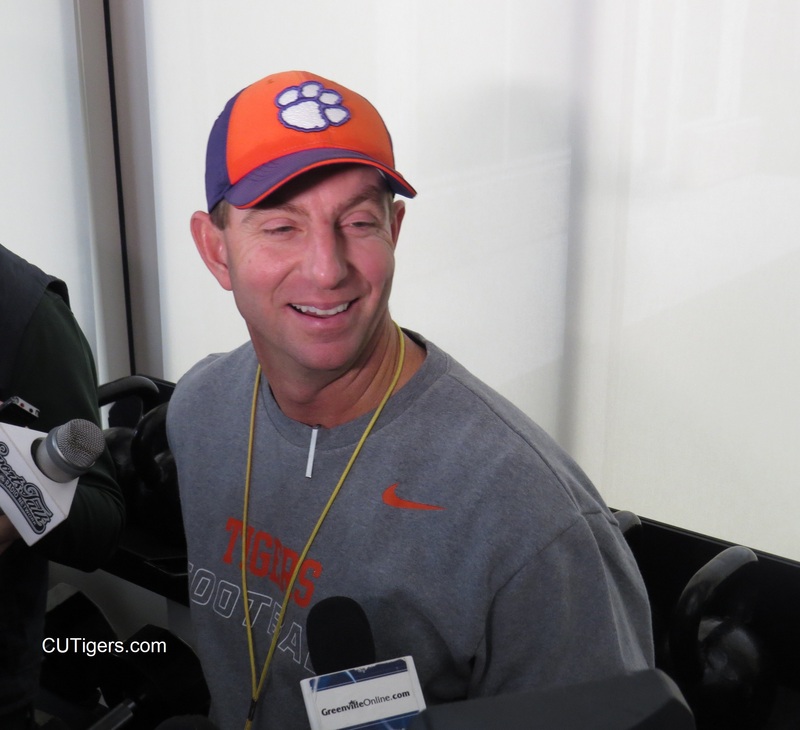 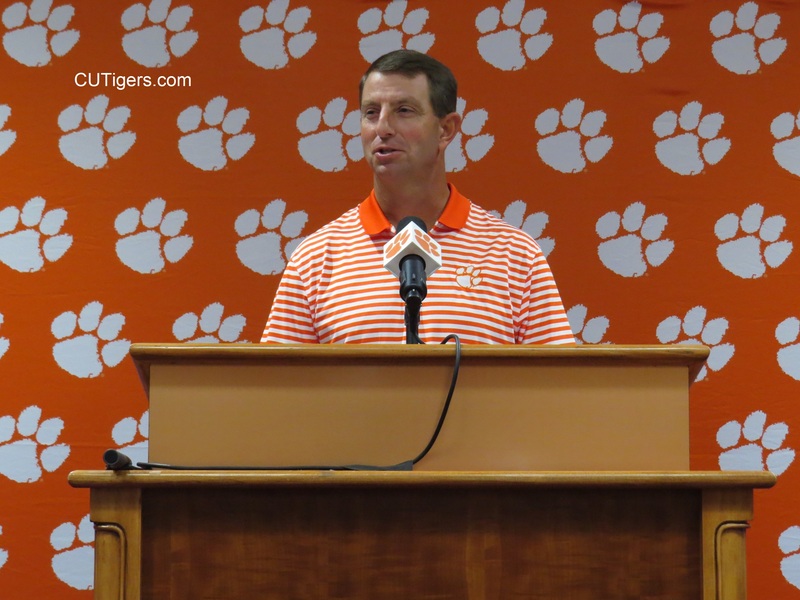 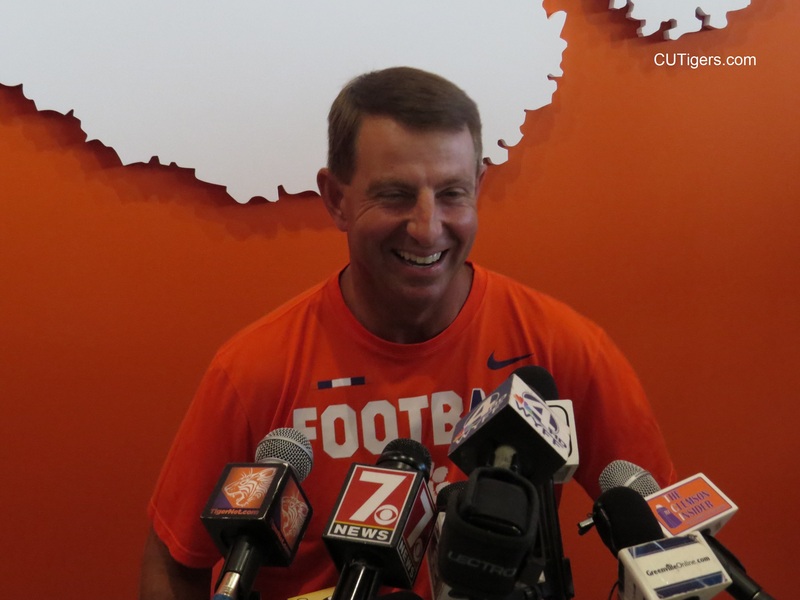 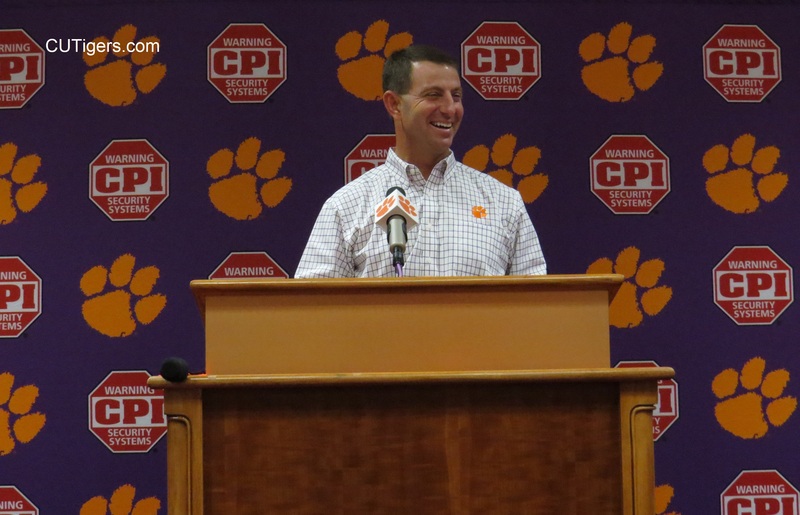 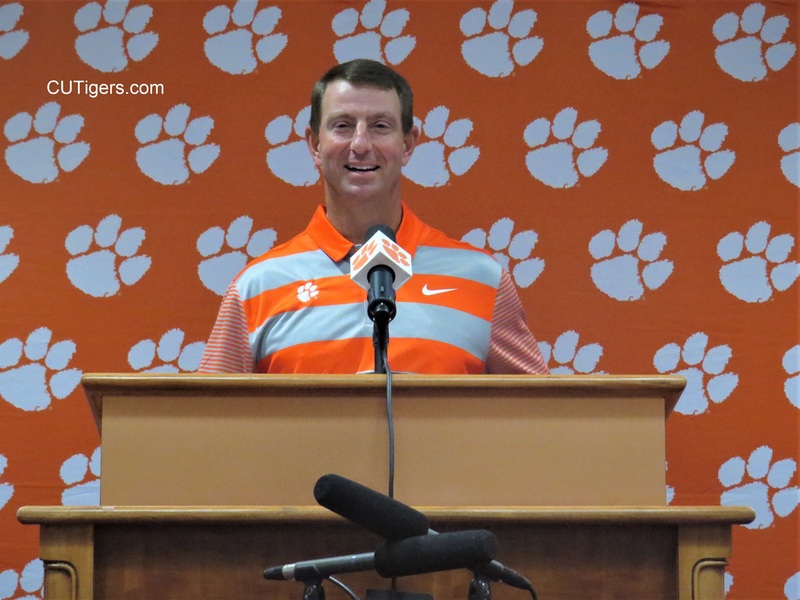 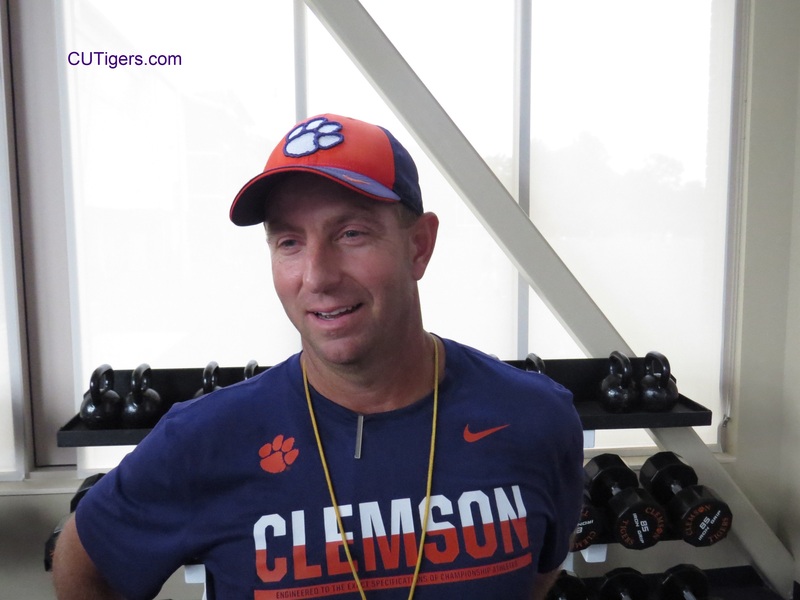 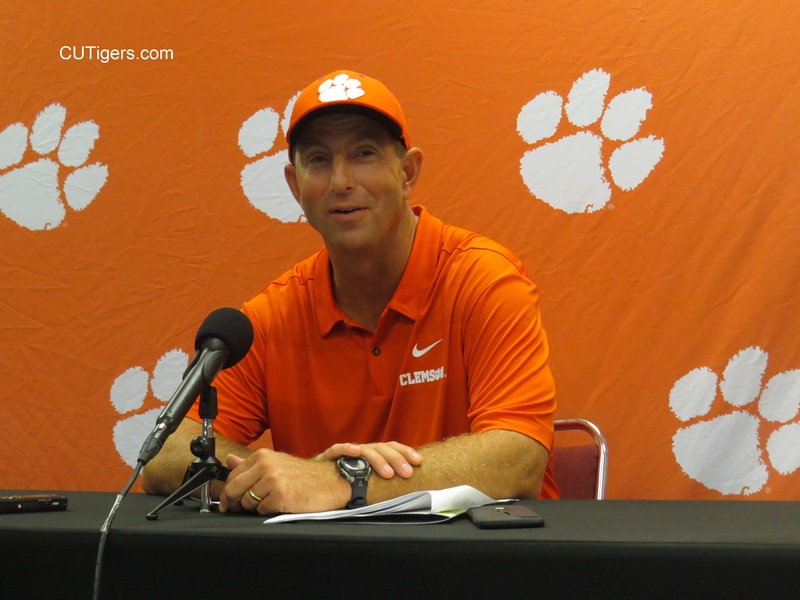 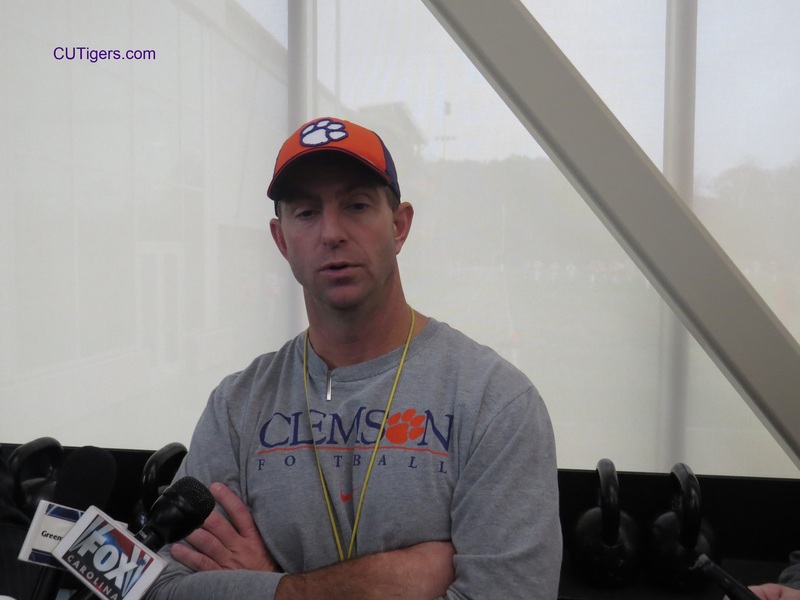 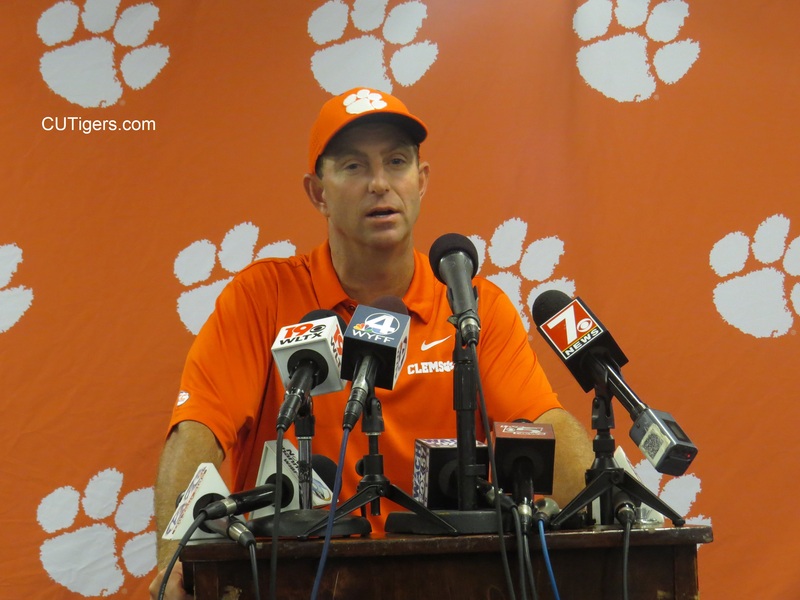 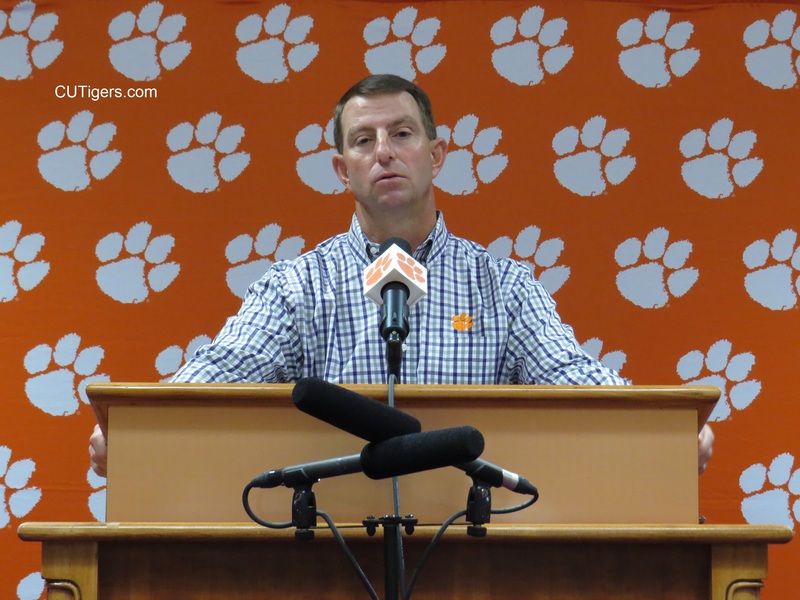 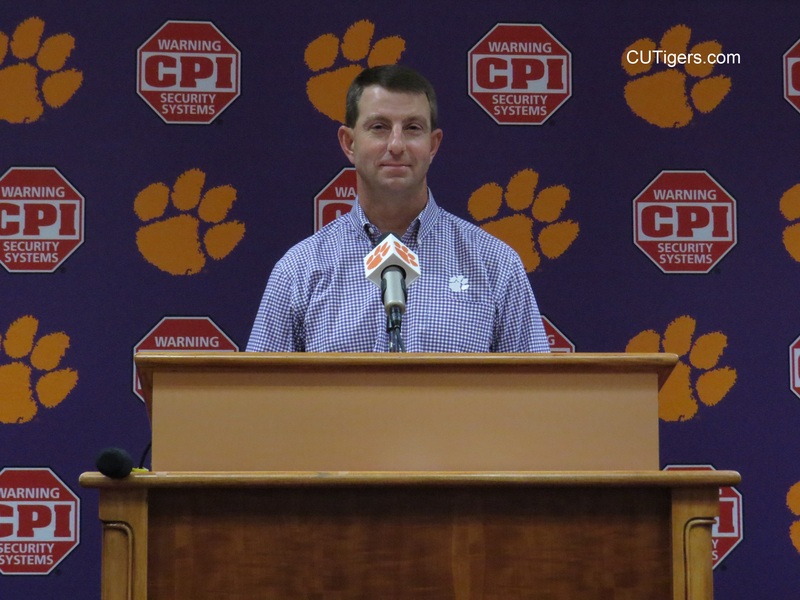 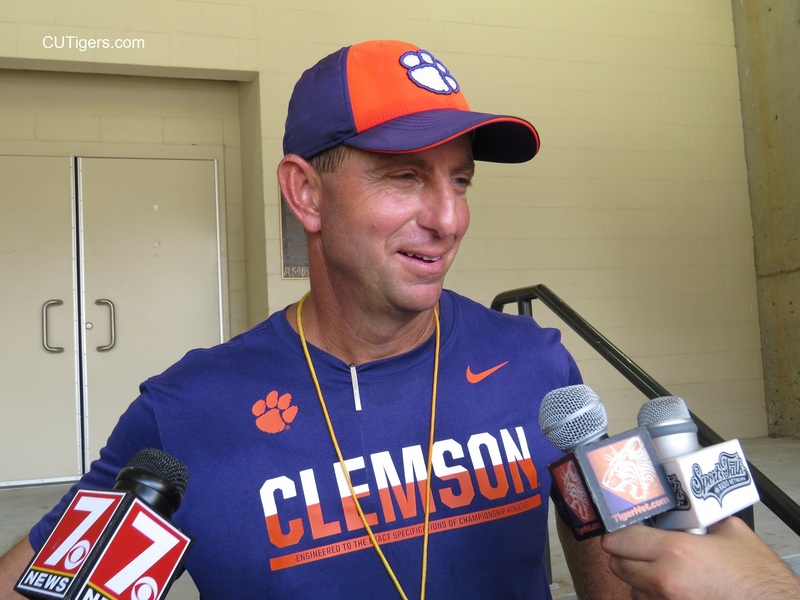 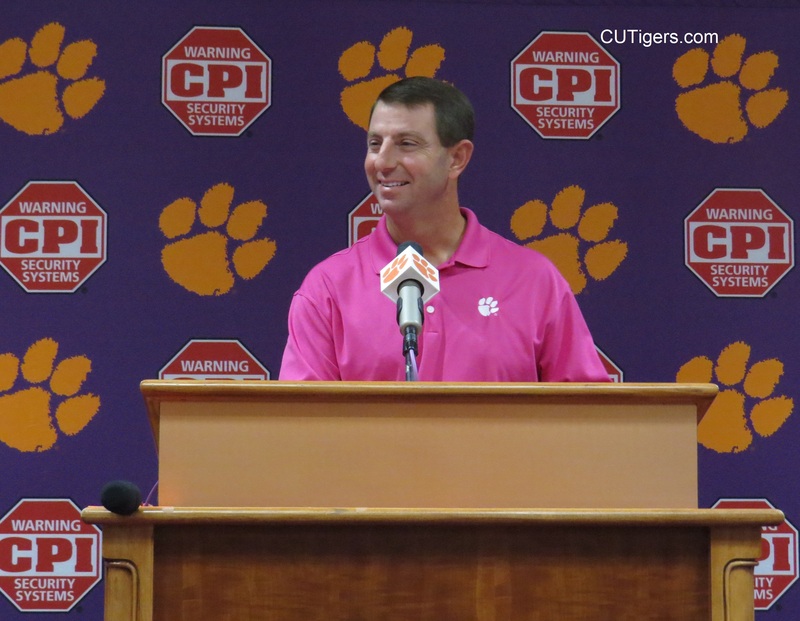 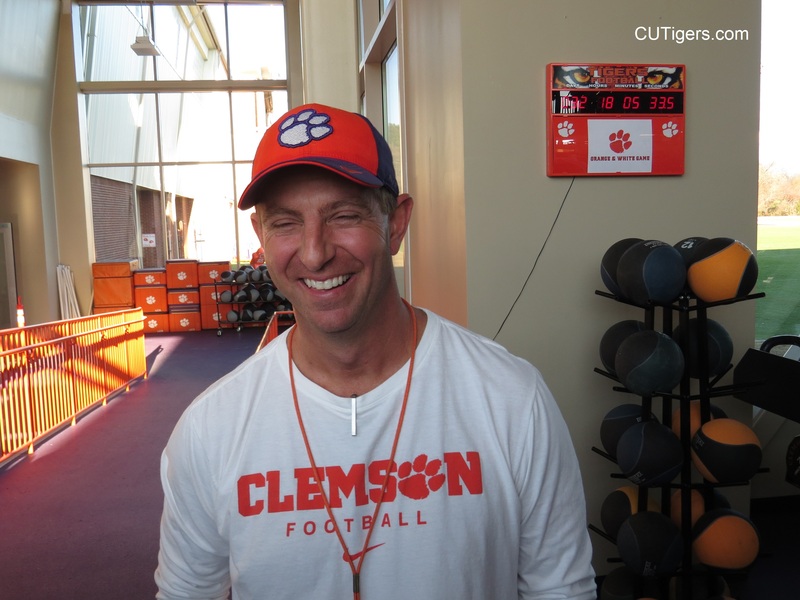 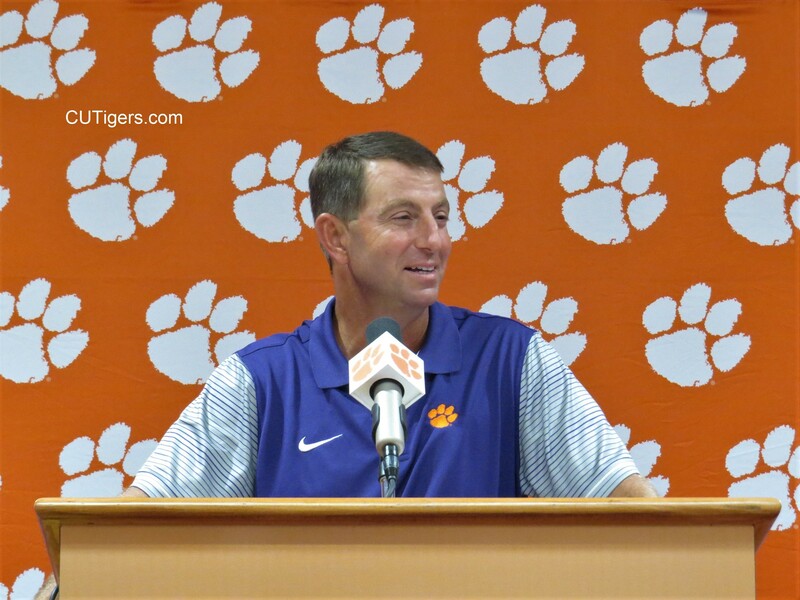 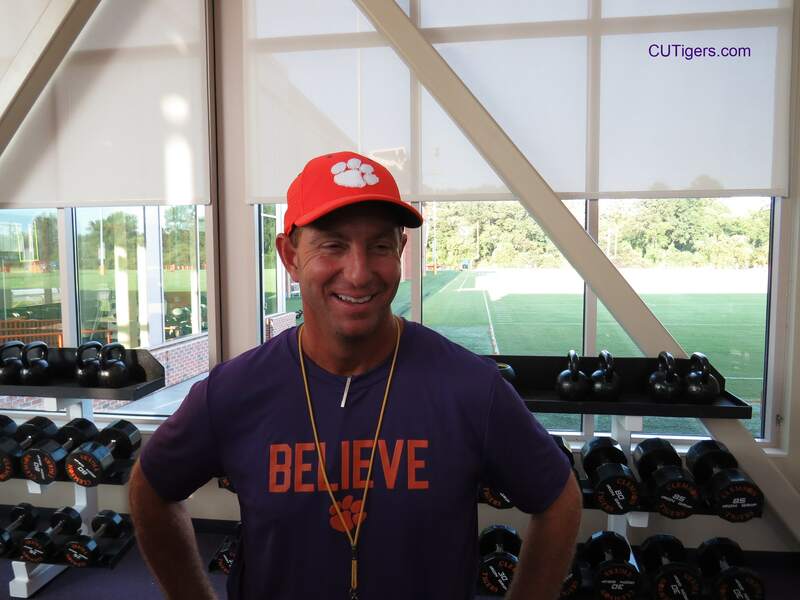 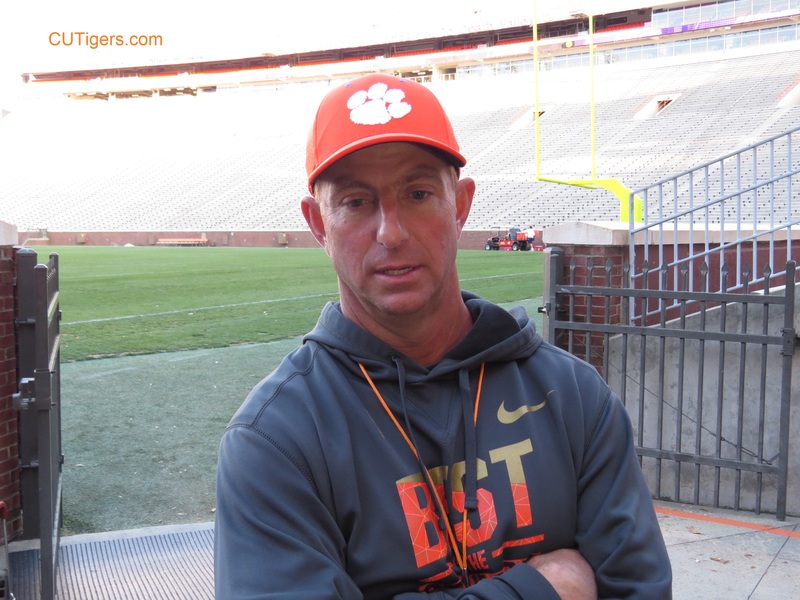 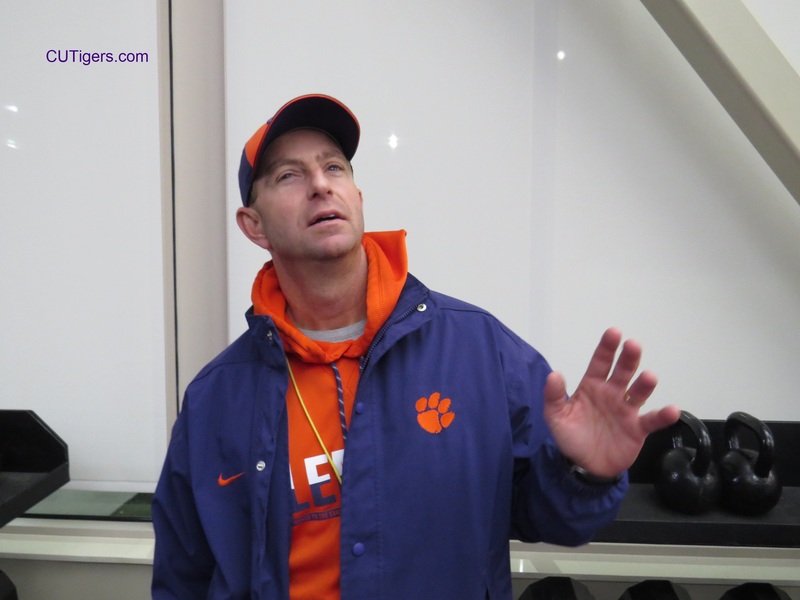 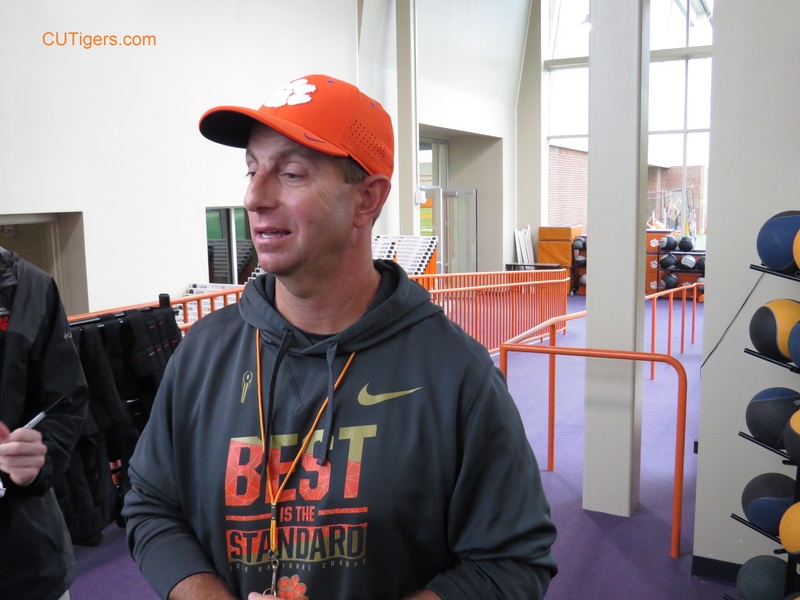 Here is Dabo, discussing Jackson Carman for the first time, Trevor Lawrence and the rest of the impressive class. 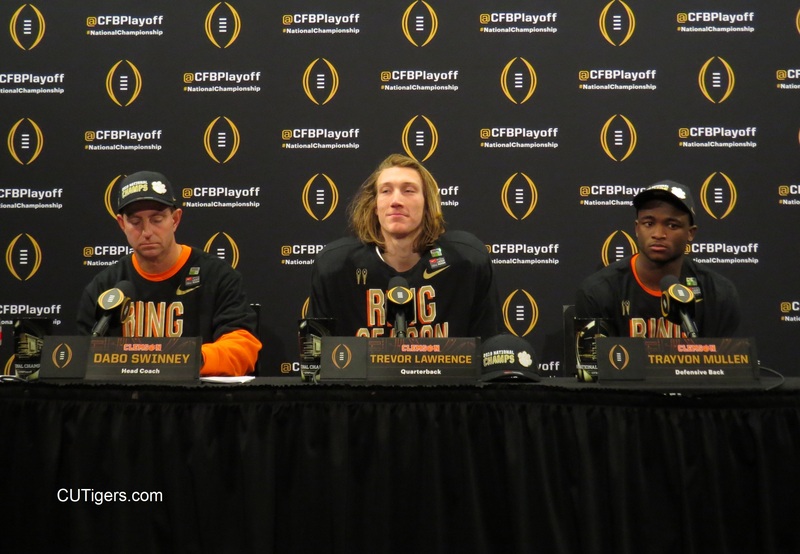 Enjoy our last round of player interviews before they head to New Orleans for the Sugar Bowl and their third consecutive College Football Playoff! 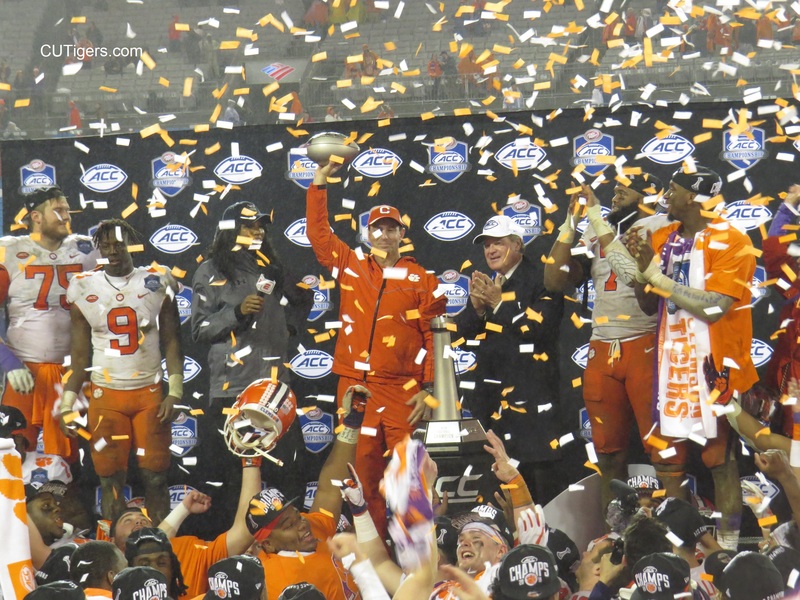 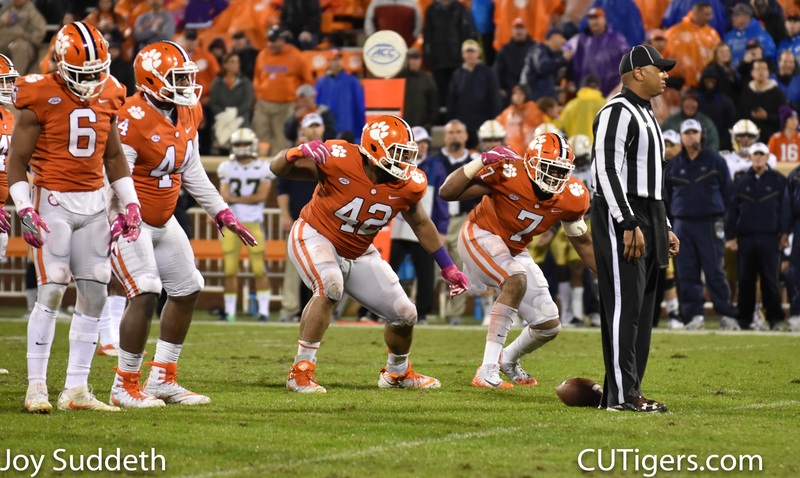 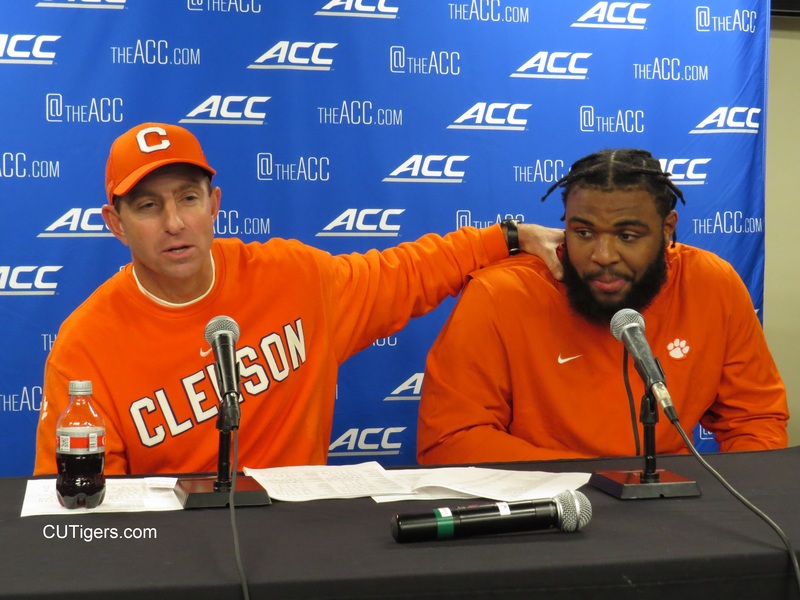 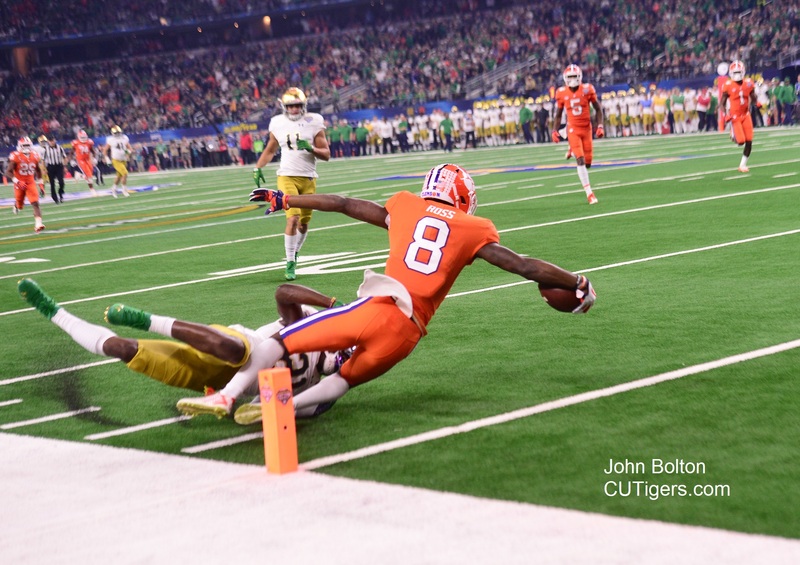 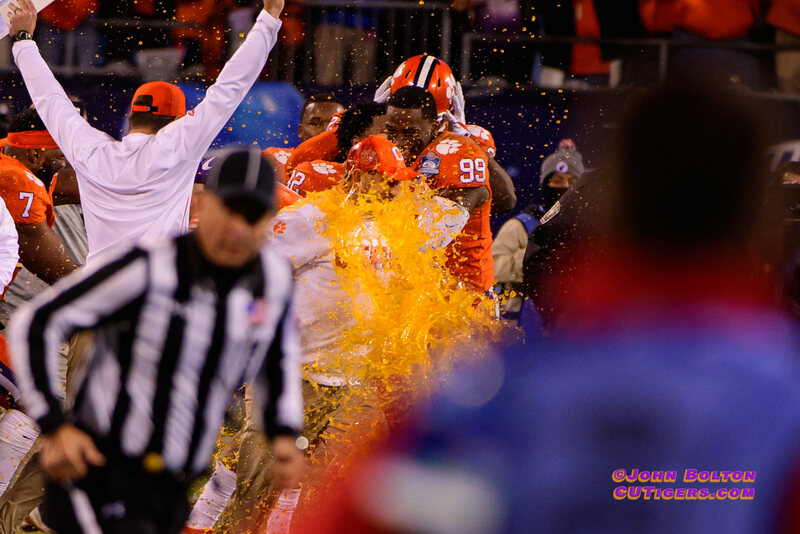 Enjoy our first installment of images from the ACC Championship Game, courtesy of CUTigers.com Contributor Joy Suddeth! 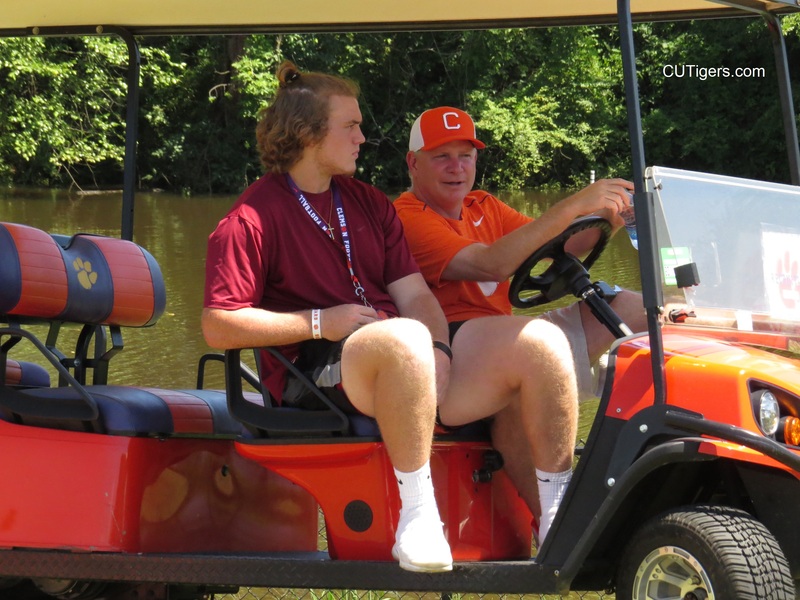 Please click on the link below to view the photo gallery. 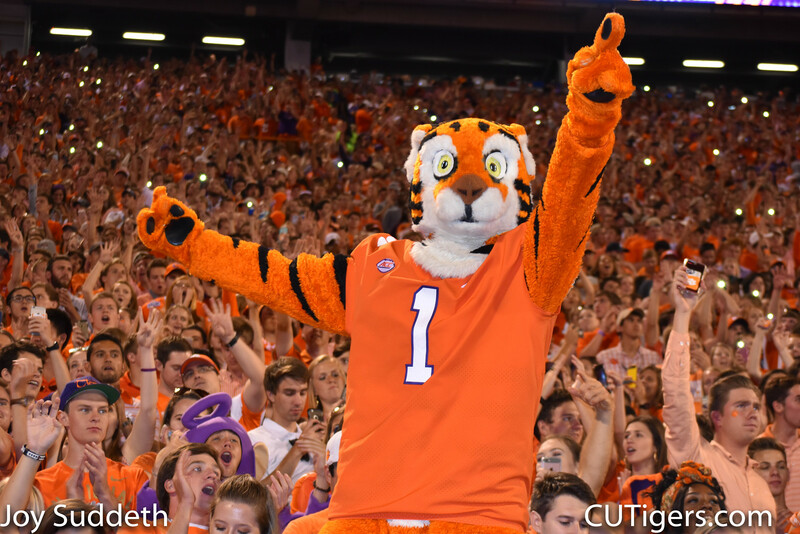 IT'S UNANIMOUS: DEFENDING CHAMPS ARE #1 AGAIN! 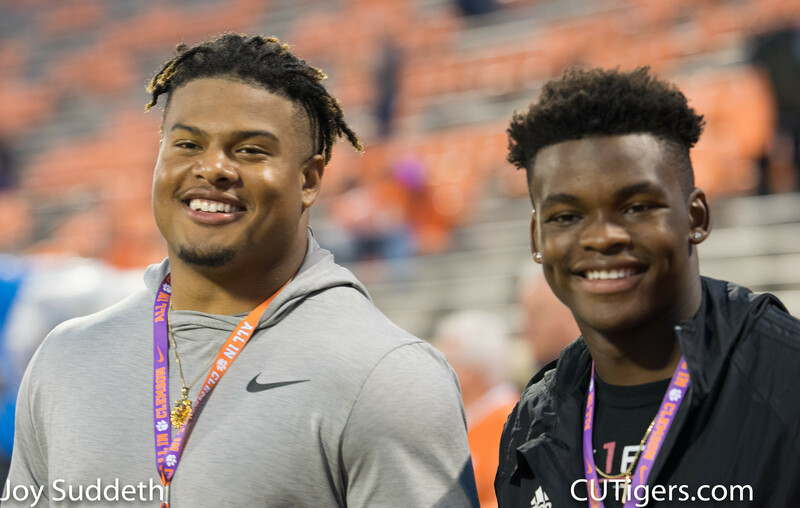 Please click on the link below to view our first gallery of photos from the Tigers' 61-3 win over The Citadel, courtesy of CUTigers.com Contributor Joy Suddeth! 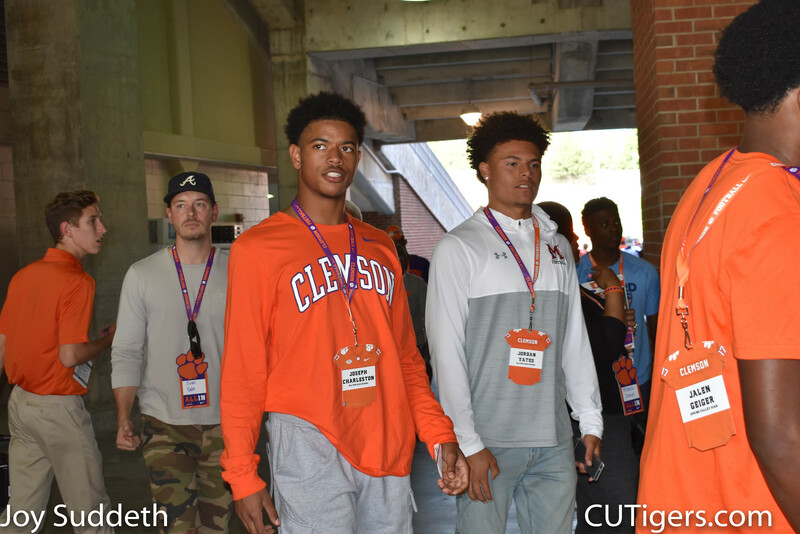 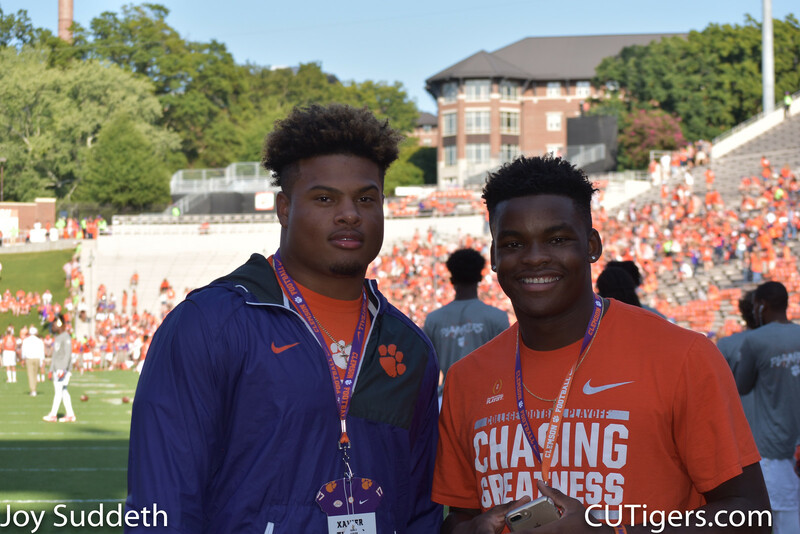 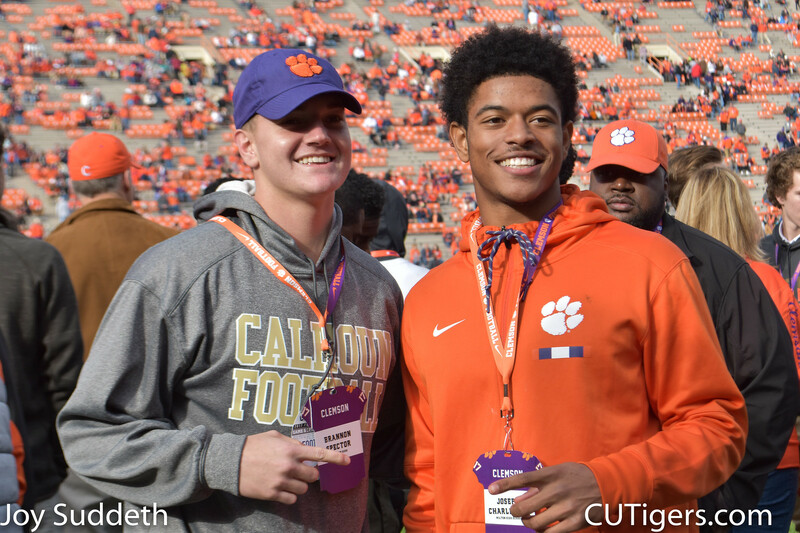 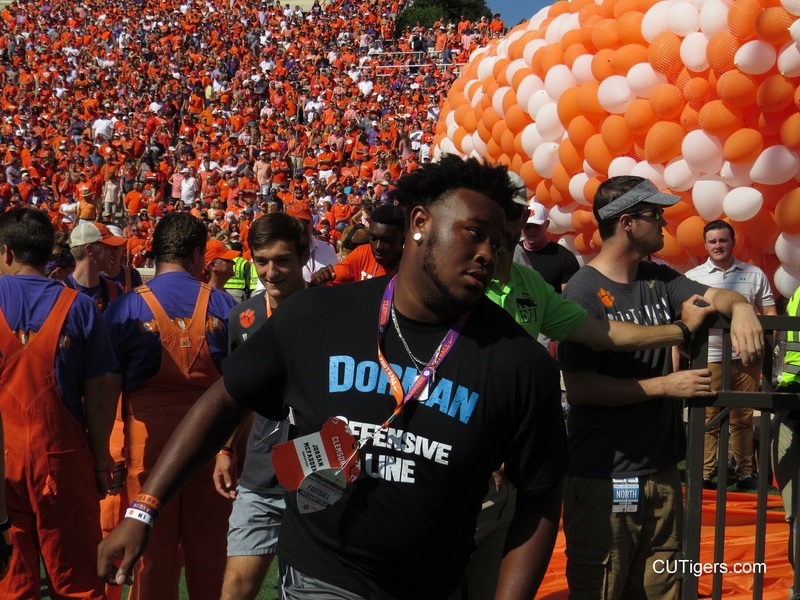 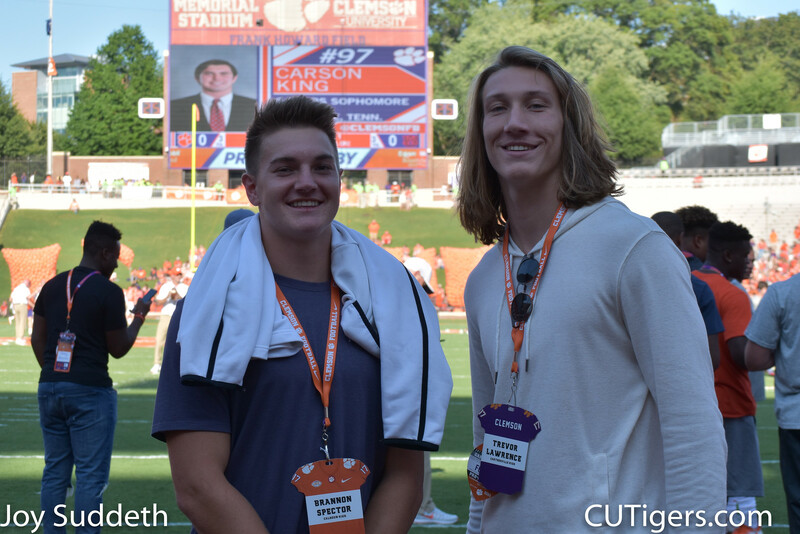 Please click on the link below to view our gallery of Clemson recruits at The Citadel game, courtesy of CUTigers Recruiting Analyst Gary McDaniel and Contributor Joy Suddeth! 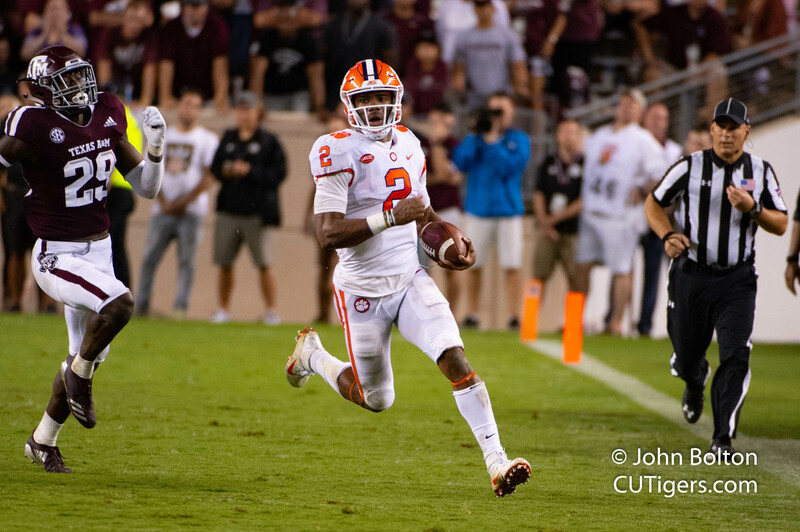 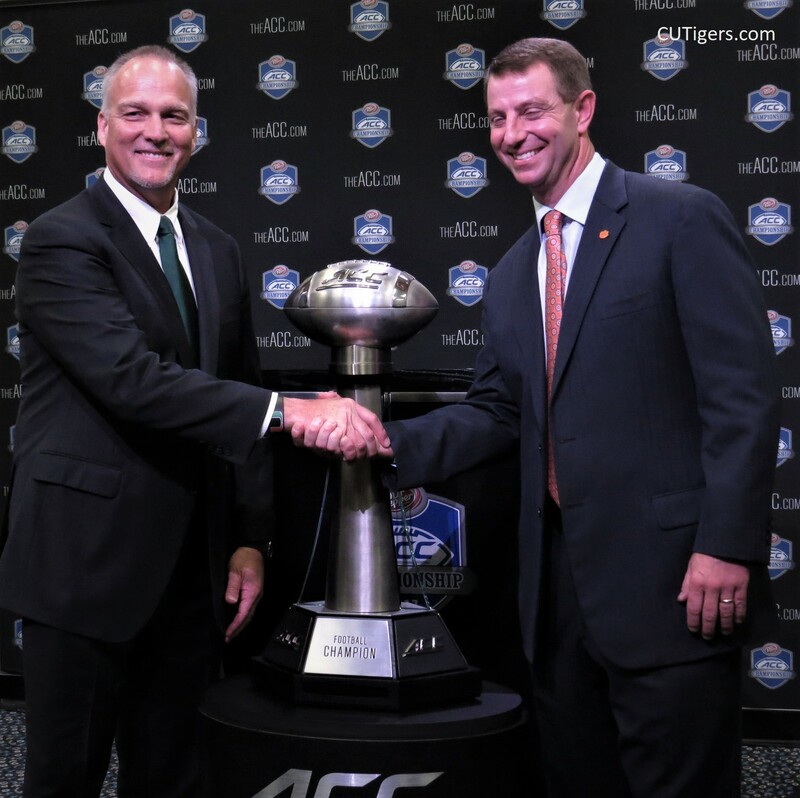 Please click the link below to view our first installment of images from the annual Atlantic Division showdown between #4 Clemson and Florida State, courtesy of CUTigers Contributor Joy Suddeth! 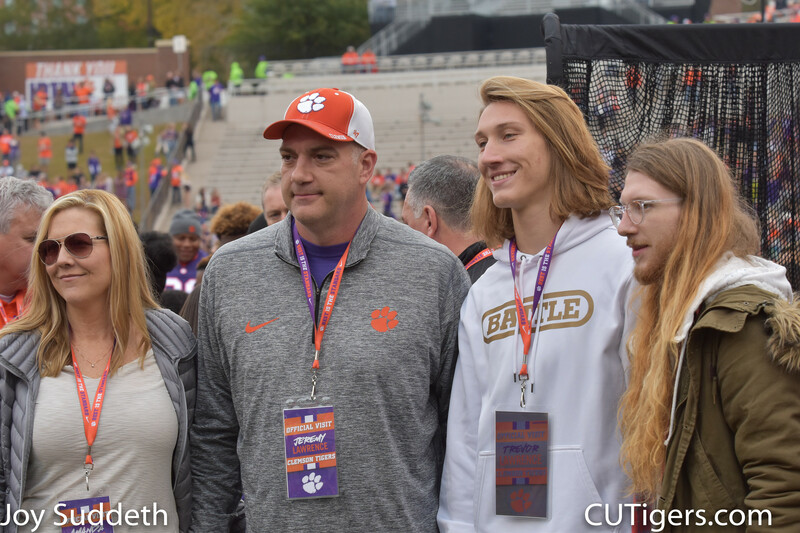 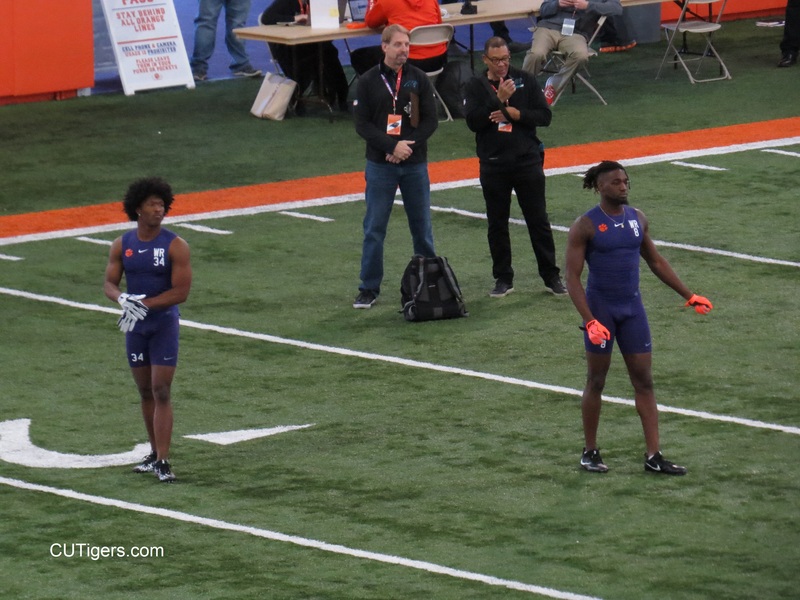 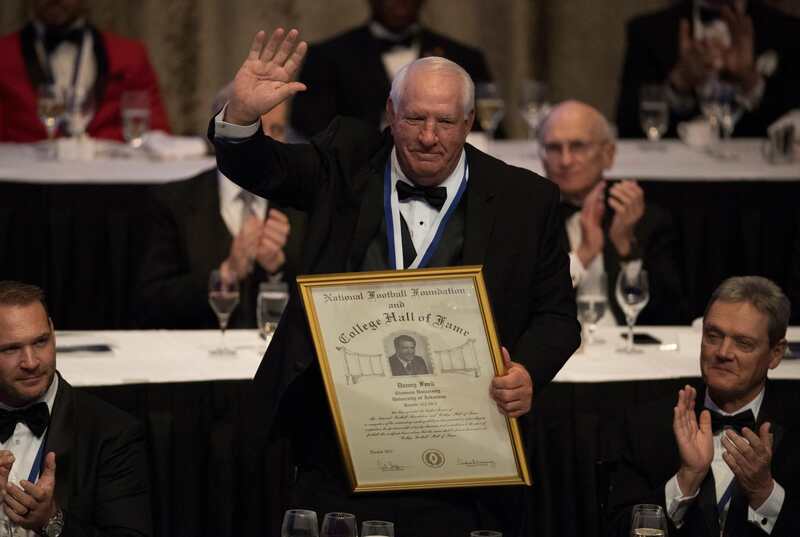 Please click on the link below to view our recruiting visitor gallery for the Florida State, courtesy of CUTigers Contributor Joy Suddeth and Recruiting Analyst Gary McDaniel. 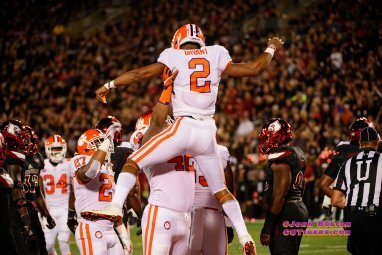 Enjoy these images from the Tigers' win over Georgia Tech, courtesy of CUTigers Photographer John Bolton! 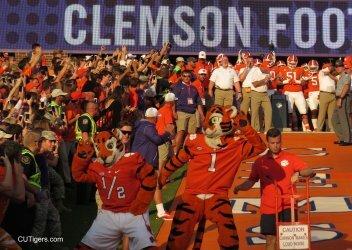 Please click the link below for our first installment of Georgia Tech game day photos, courtesy of CUTigers.com Contributor Joy Suddeth! 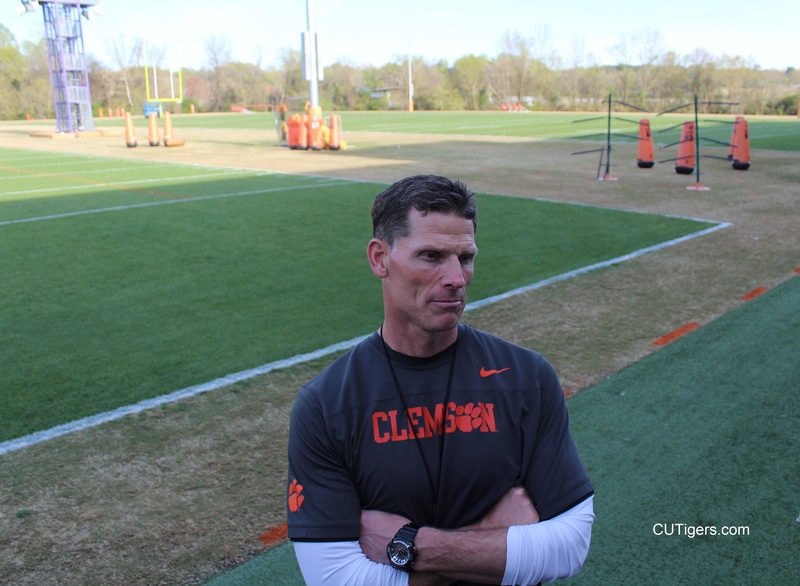 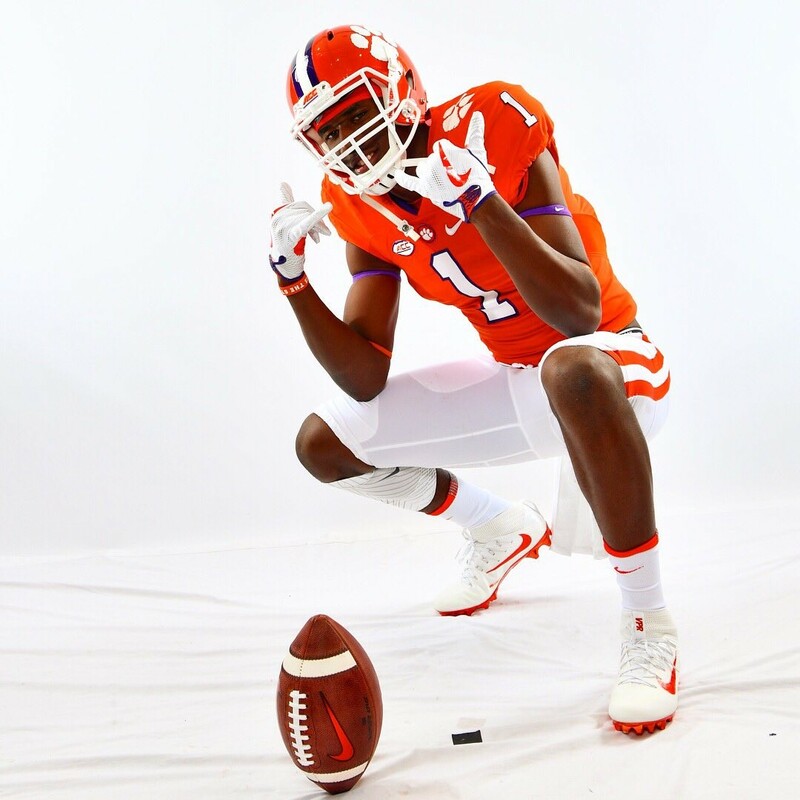 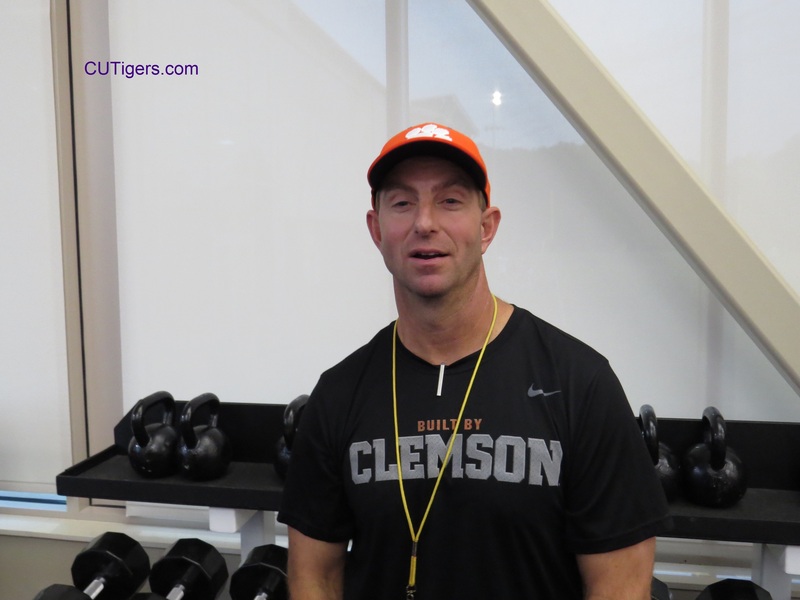 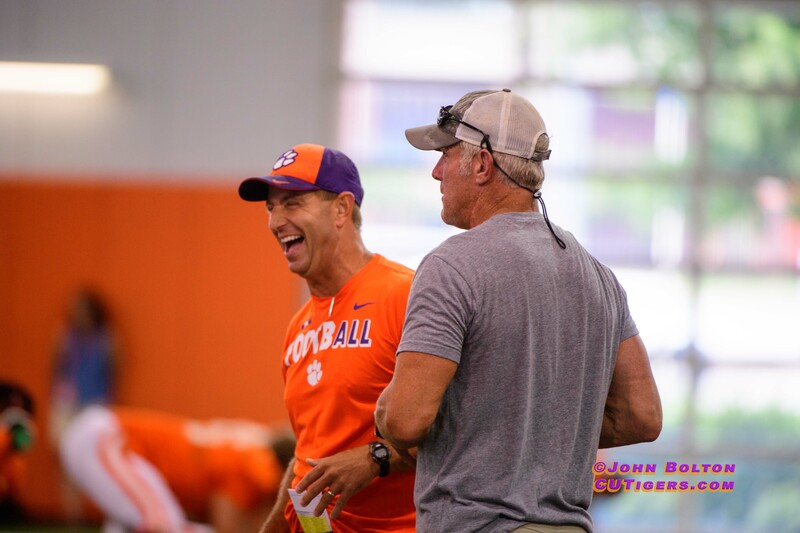 Clemson commenced its 2019 class with a bang Tuesday night, as the Tigers received their first commitment from 4-star safety Joseph Charleston, a big-time prospect who was recruited by former Grayson High School head coach and current Clemson Safeties Coach Mickey Conn. 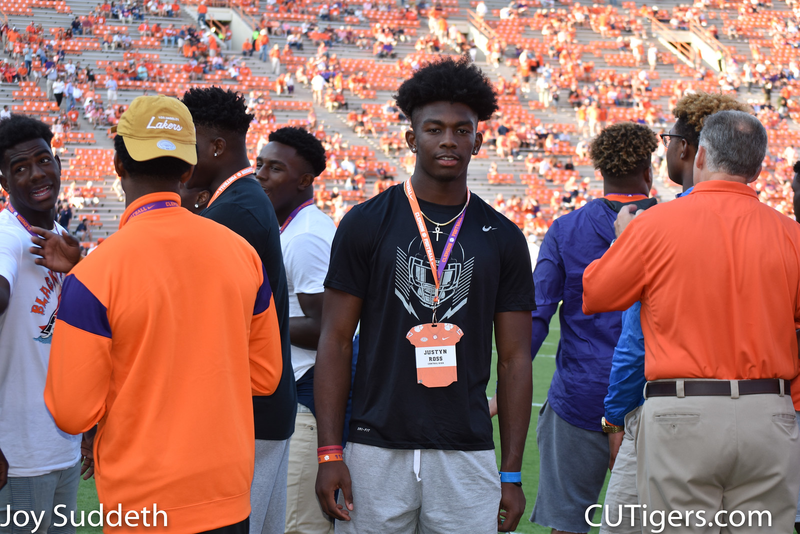 The Metro Atlanta area has been a hot bed of defensive backs for the Tigers over the past three recruiting cycles, and you can see it materialize on the field with true freshman A.J. 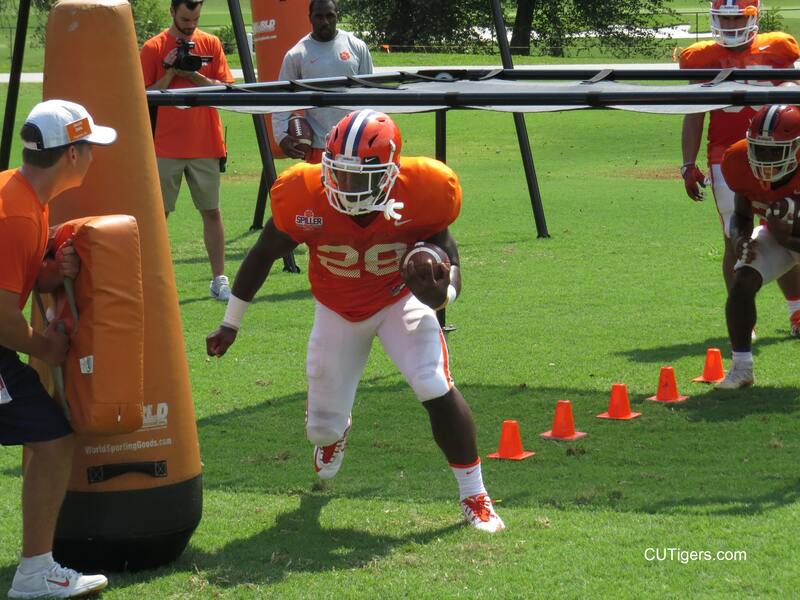 Terrell getting a lot of playing time this year as a true freshman. 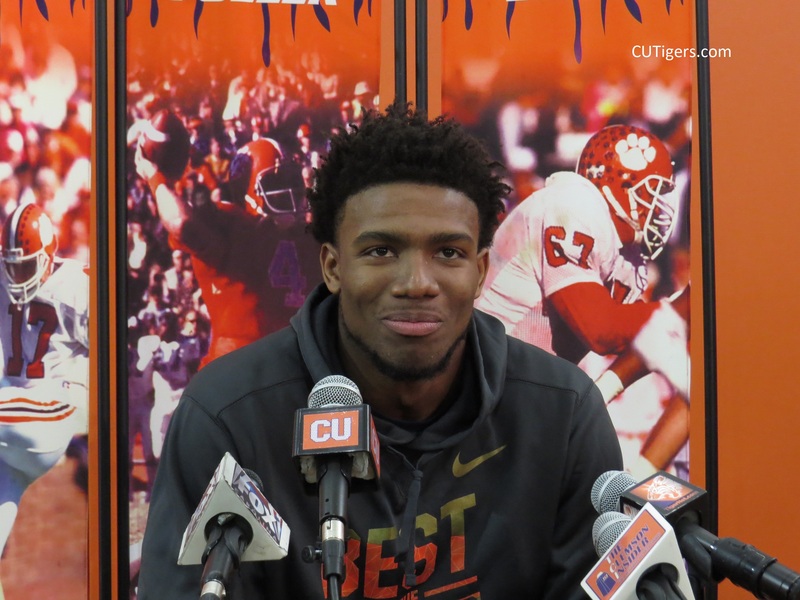 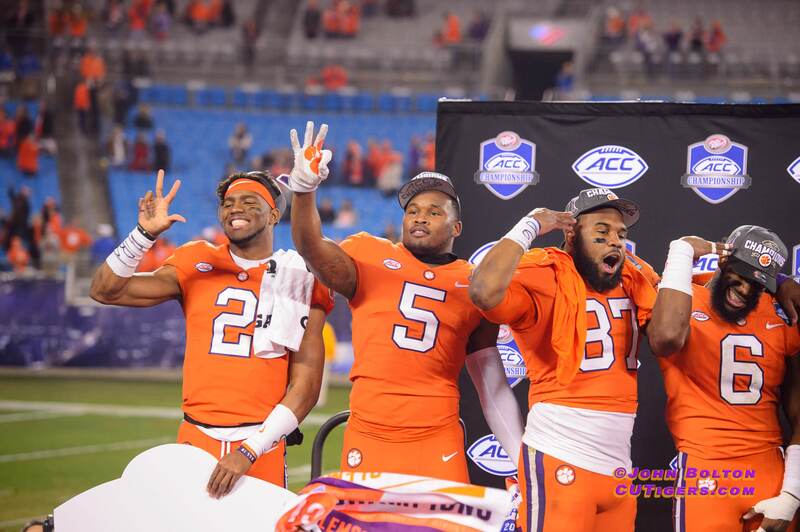 Clemson, S.C.—Dorian O’Daniel, Austin Bryant, Dexter Lawrence and Mitch Hyatt have all been named to midseason All-America teams released this week by various national outlets. 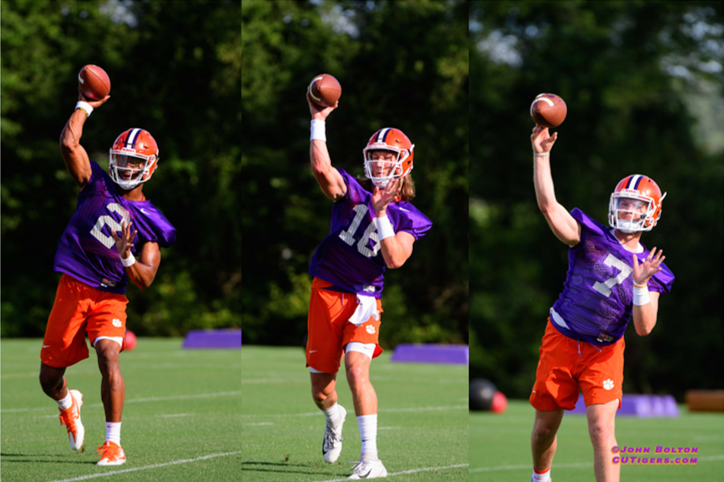 All four players are major reasons Clemson has a 6-1 record and No. 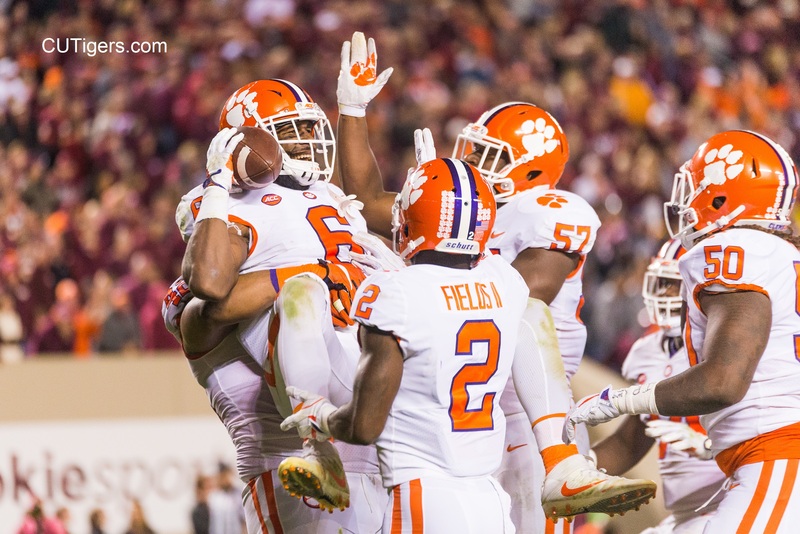 7 national ranking by the Associated Press poll this week. 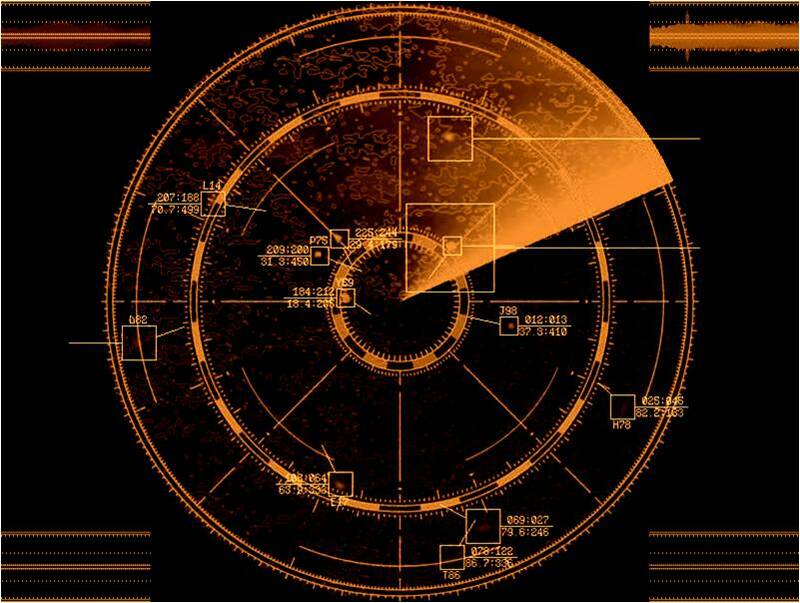 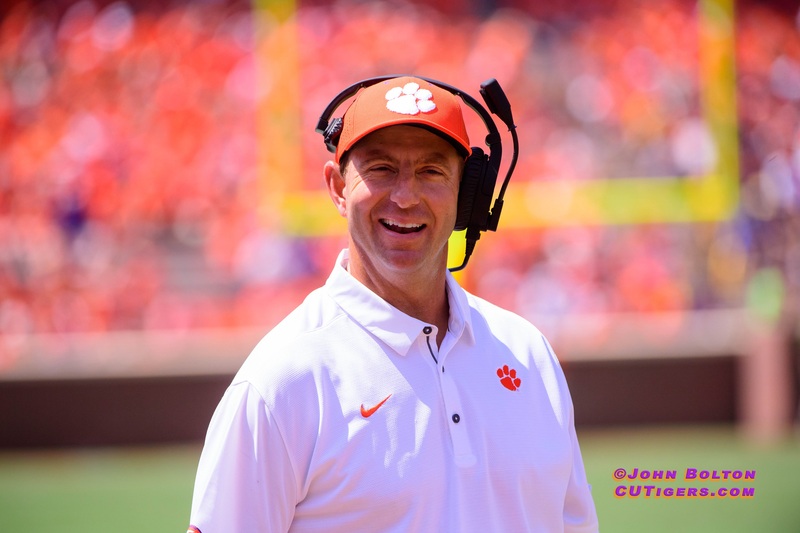 Welcome to another edition of What We Are Hearing! 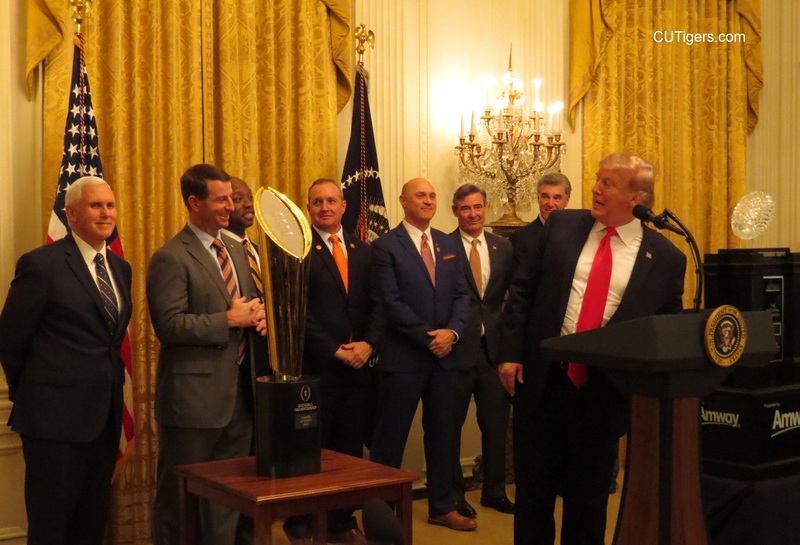 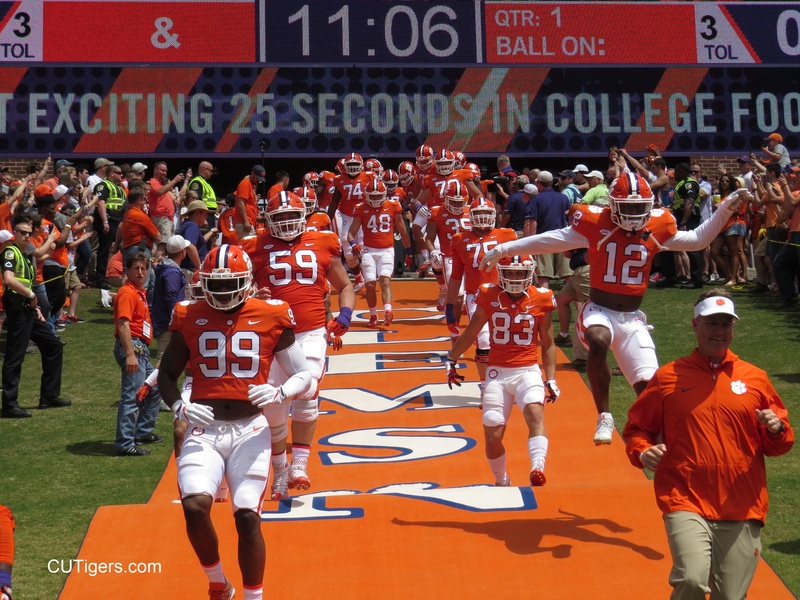 Click on the link below, and take a peek inside the Clemson game day experience through the lens of CUTigers.com Contributor Joy Suddeth, as she takes you from the tailgates and Tiger Walk to the game itself, revealing all the pageantry of Clemson Football! 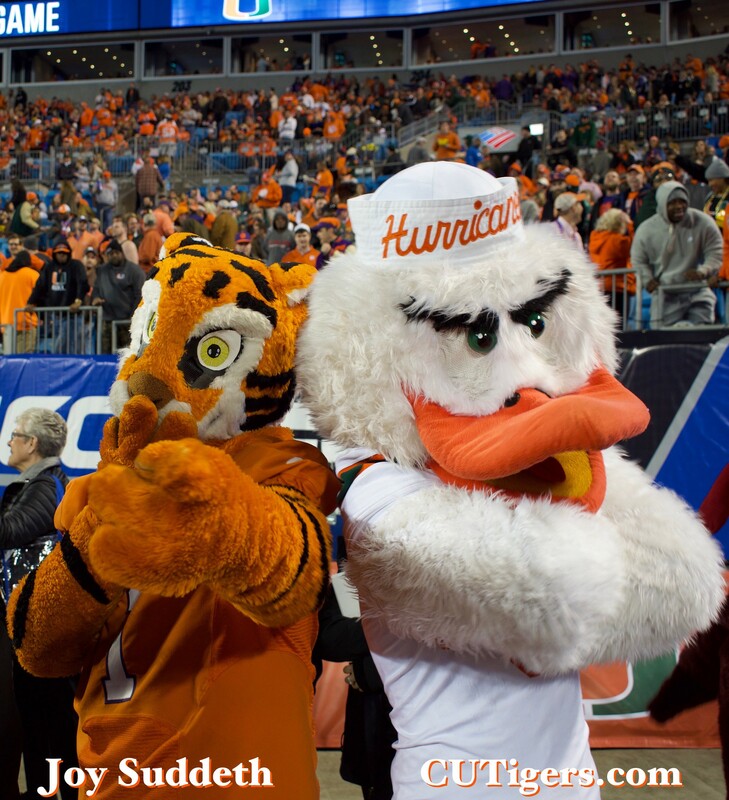 In the interest of economy, I’m going to include my grades for the Virginia Tech game here. 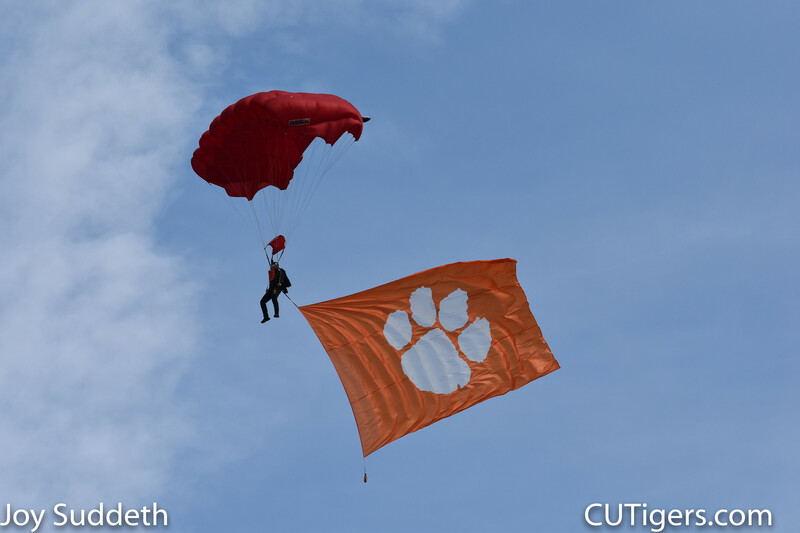 Before I dive into that, I just want to remind you that the #5 Men’s Soccer team hosts #9 Notre Dame in another top-10 ACC showdown 7:00 Friday night at Riggs! 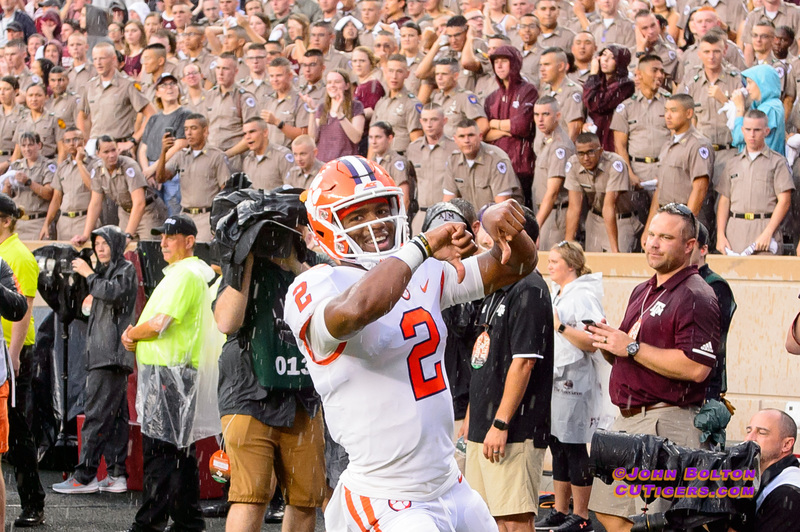 As the Tigers return to the friendly confines of Death Valley, victorious over previous week's foe Virginia Tech, expect a small contingent of recruits in this week for Wake Forest, as the Demon Deacons make their bi-annual return trip to Memorial Stadium. 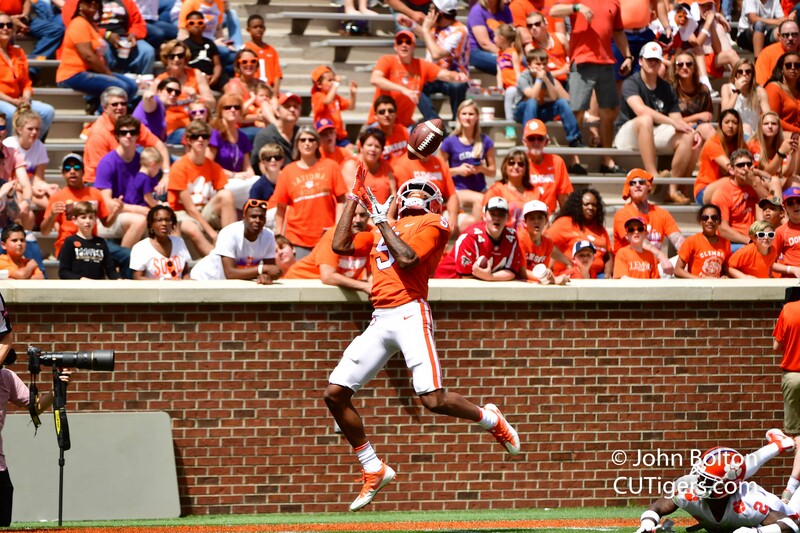 BLACKSBURG, VA. - Capped off by fourth quarter interceptions by Dorian O’Daniel and Austin Bryant, the No. 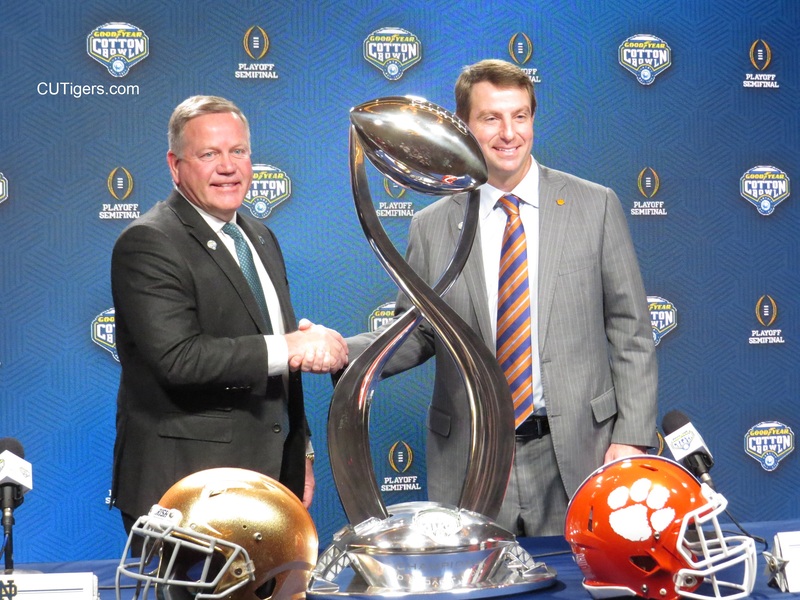 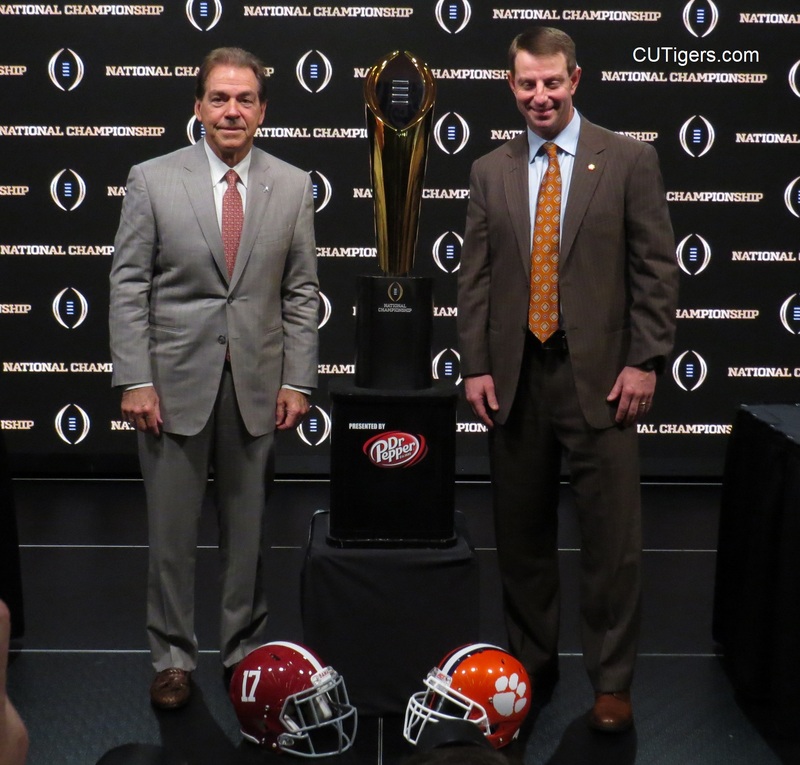 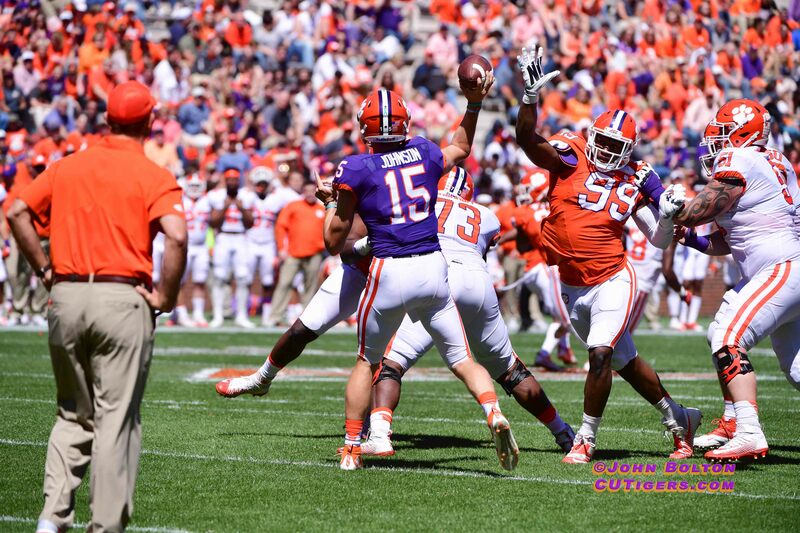 2 Clemson Tigers defeated the No. 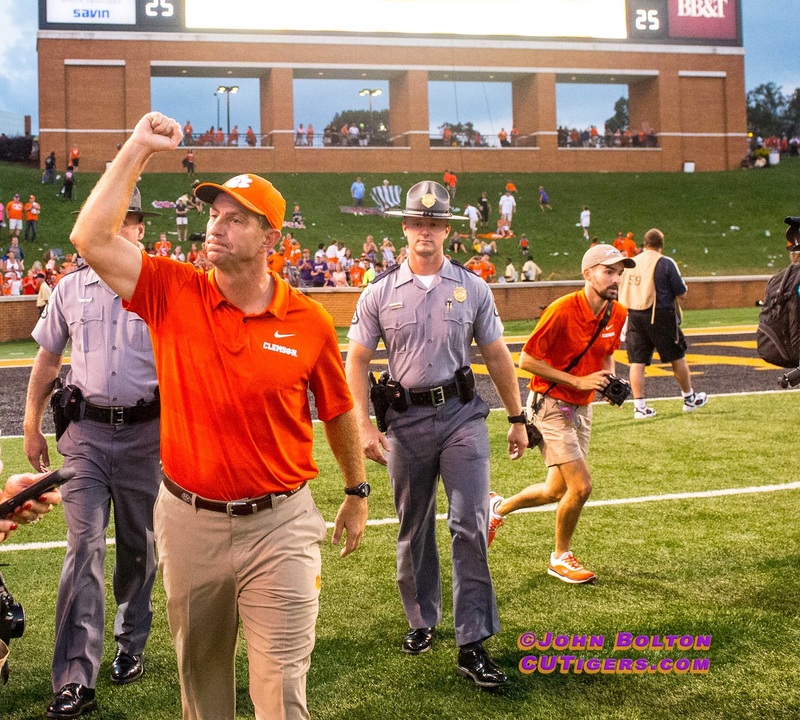 12 Virginia Tech Hokies 31-17 at Lane Stadium on Saturday night. 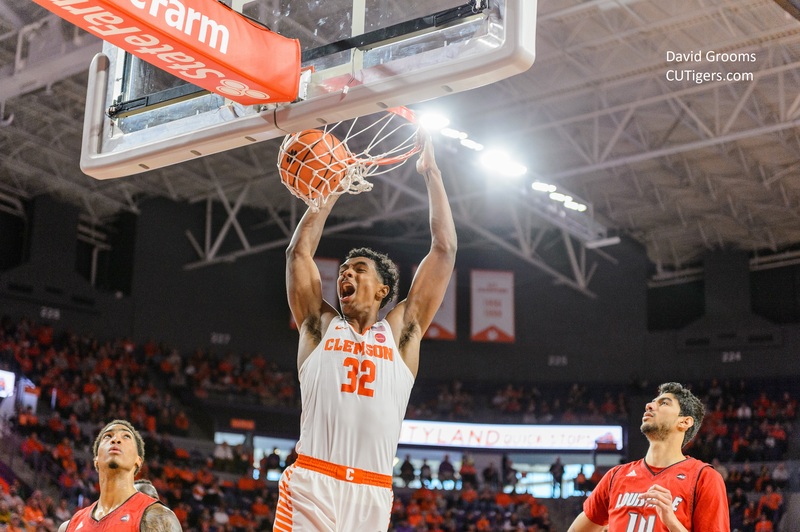 With the win, Clemson remained undefeated at 5-0 on the year and 3-0 in the ACC, while Virginia Tech dropped to 4-1 overall and 2-1 in conference play. 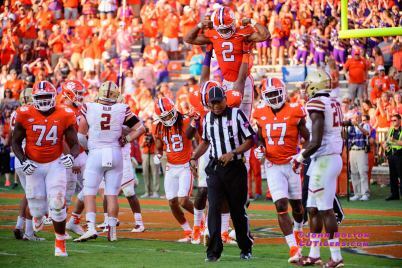 The Tigers are still ranked #2 in both polls this week, coming off a 34-7 win over Boston College that was tied after 3 quarters. 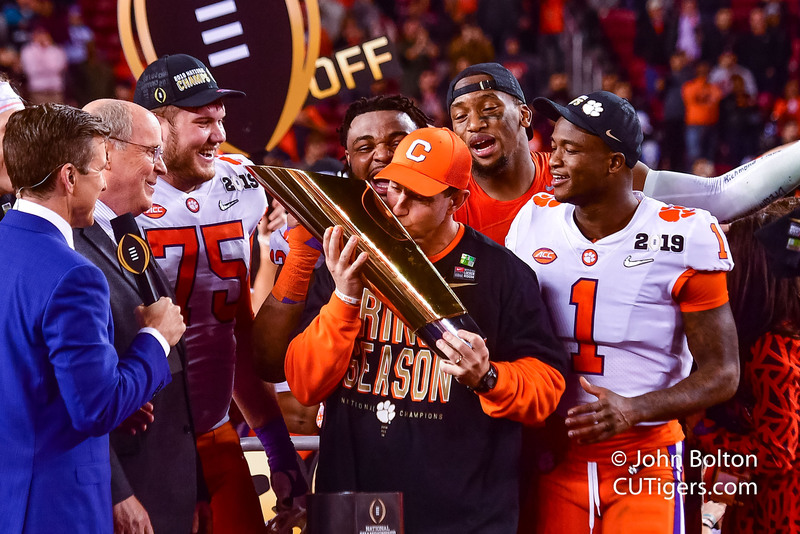 Many still feel the Defending National Champs have proven more than Alabama and deserve the #1 spot. 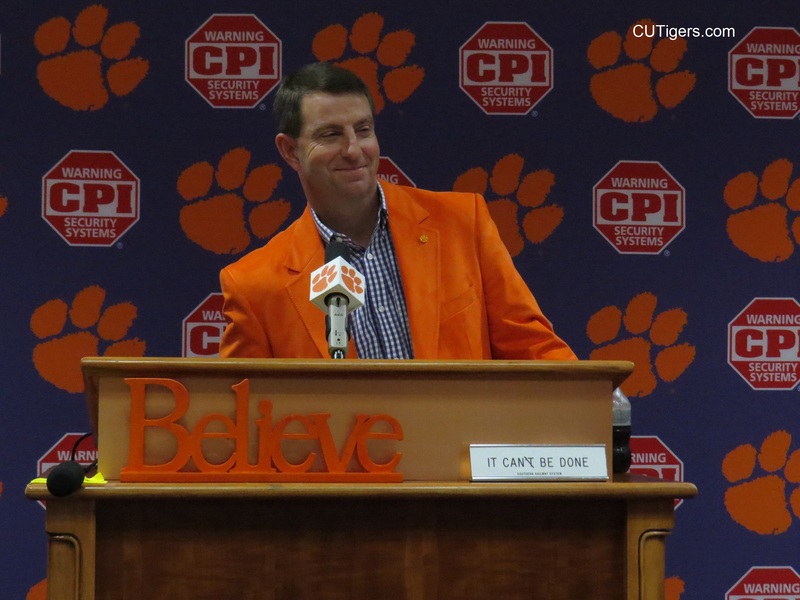 Perhaps if the Tigers can successfully navigate the last leg of their September gauntlet, the pollsters will finally bump Clemson up to #1. 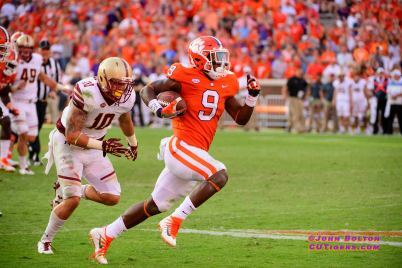 Clemson took on Boston College on a hot, late-September afternoon on Saturday in the confines of Death Valley, otherwise know as Memorial Stadium. 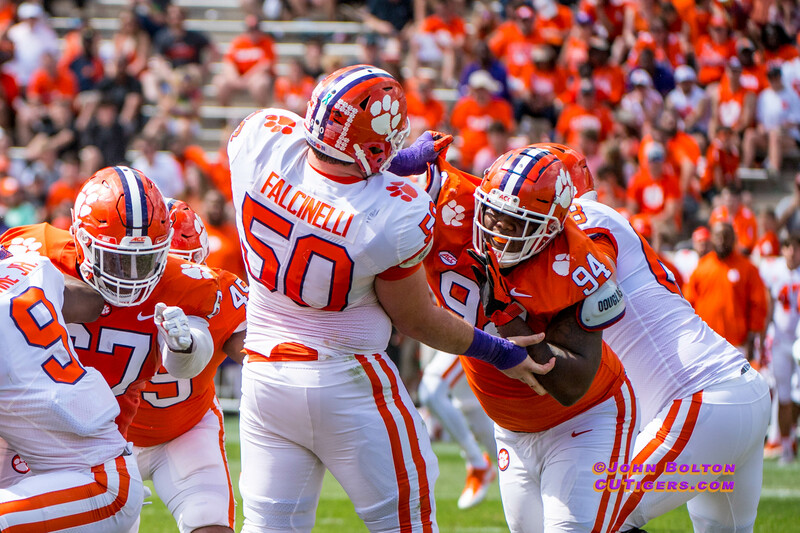 The Eagles and Tigers fought hard through 3 quarters of football to finally see the Tigers pull away in the fourth quarter on their way to a 34-7 win over the Eagles. 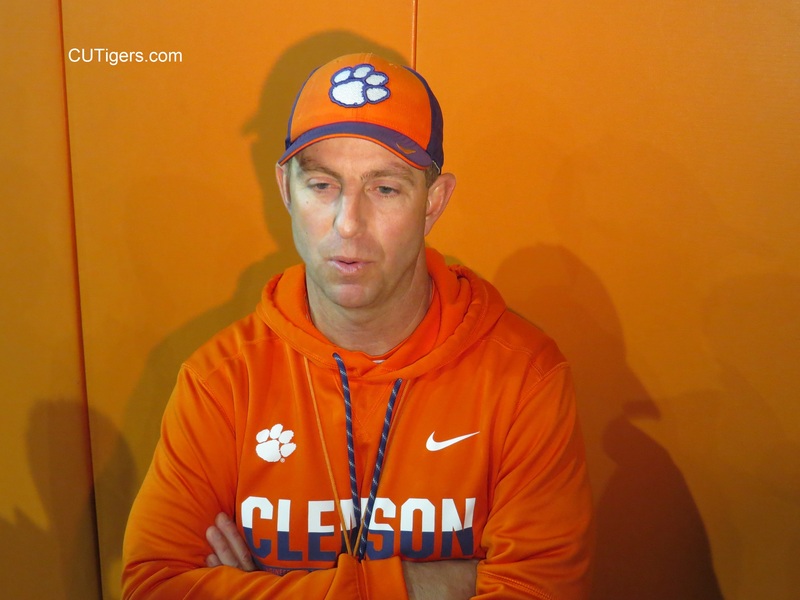 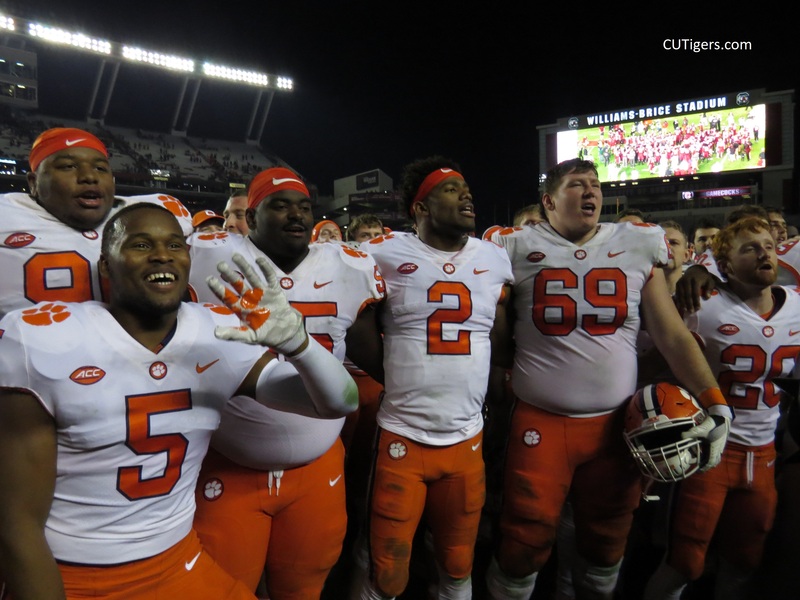 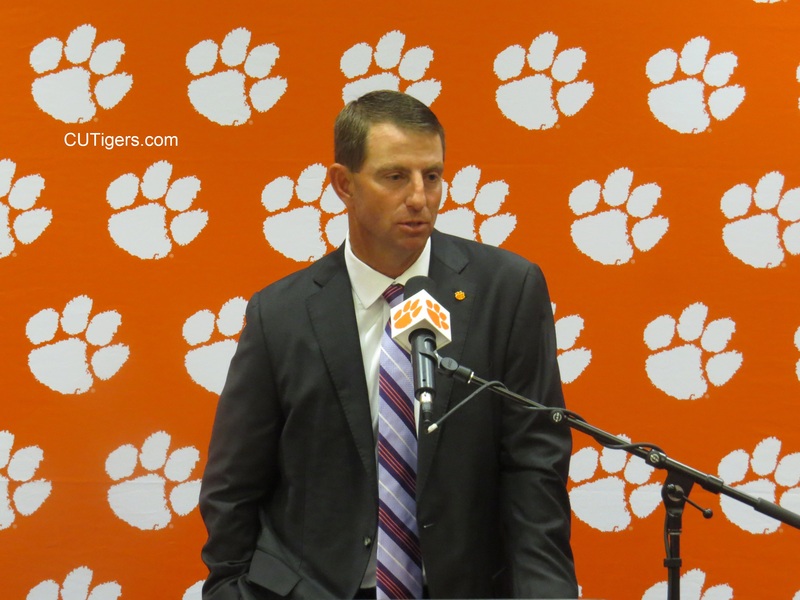 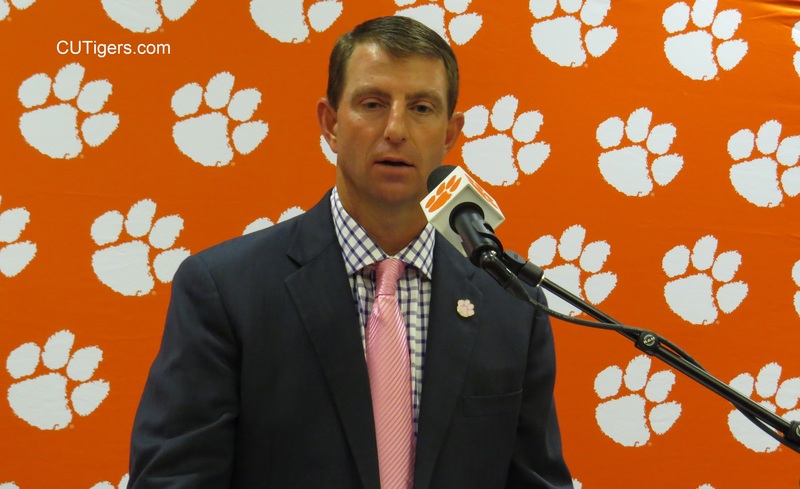 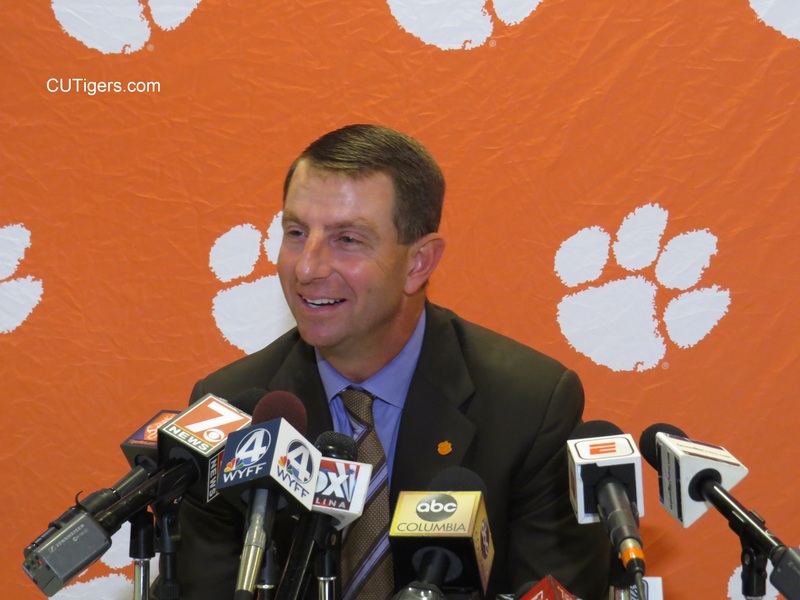 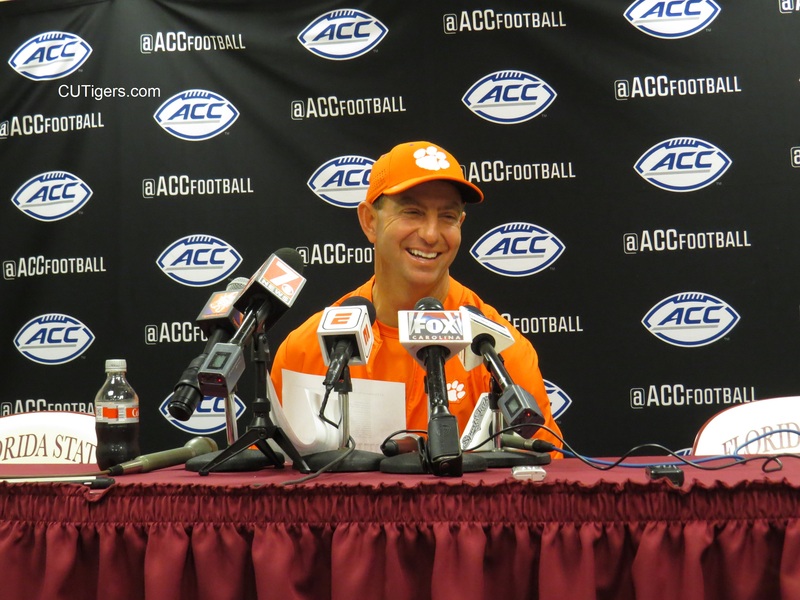 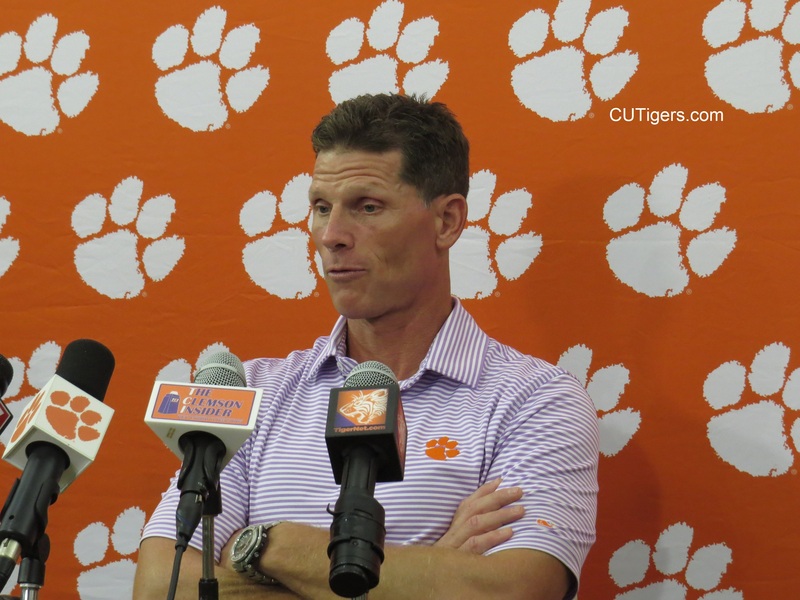 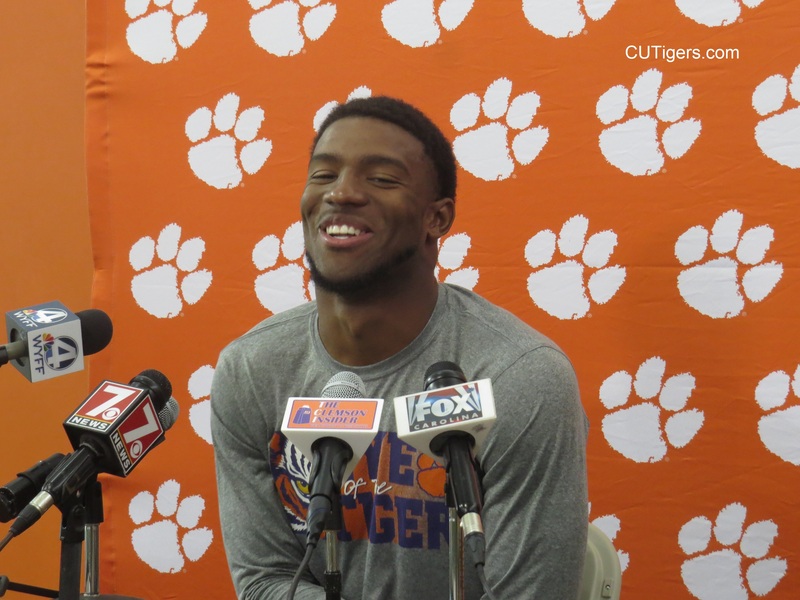 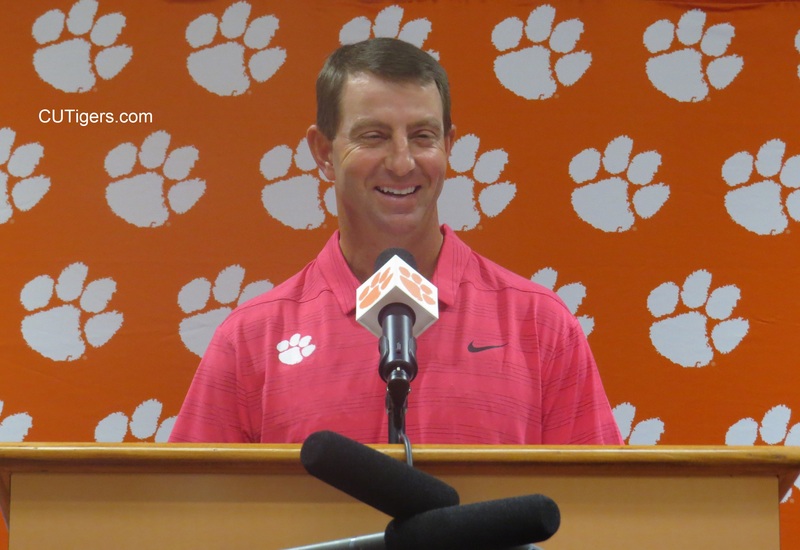 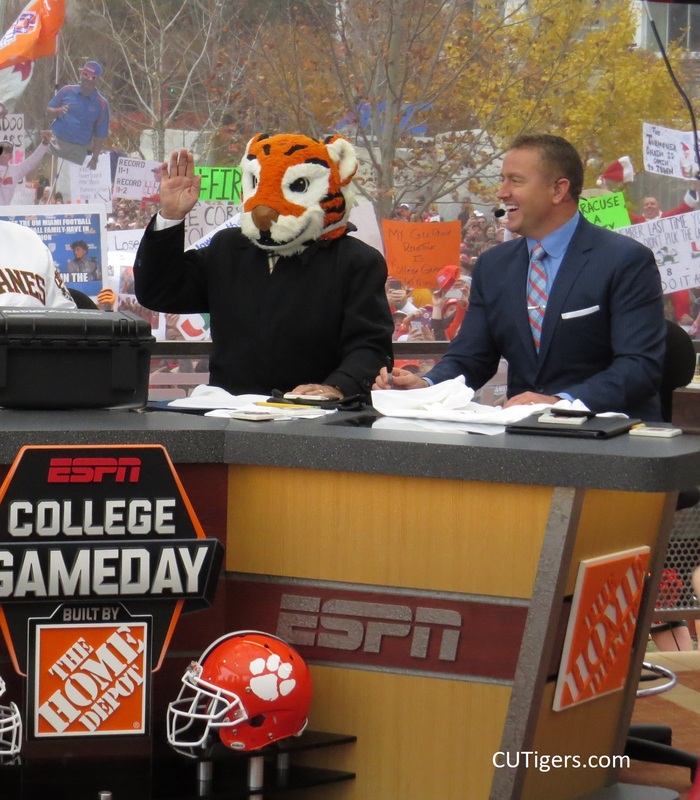 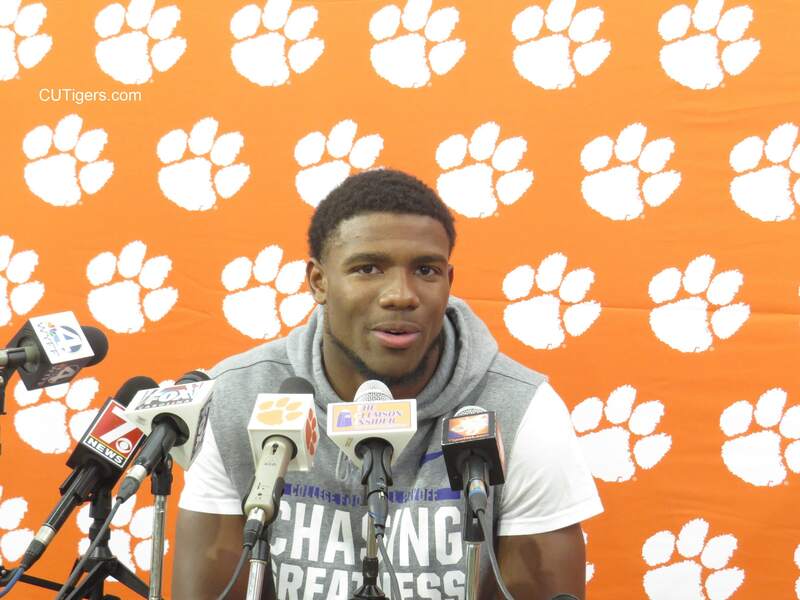 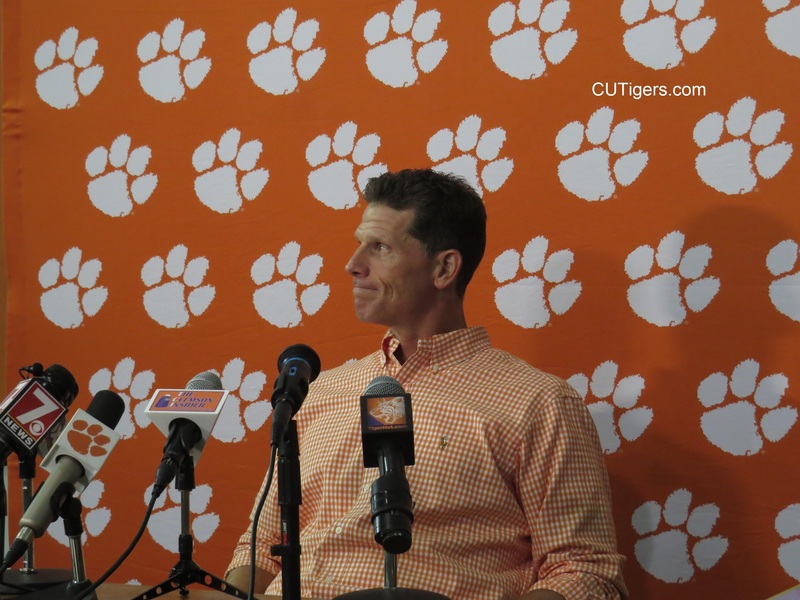 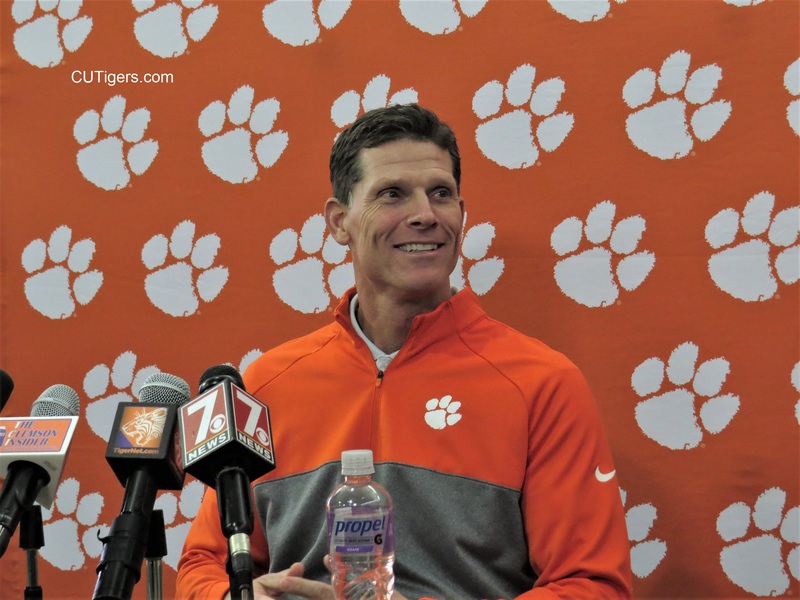 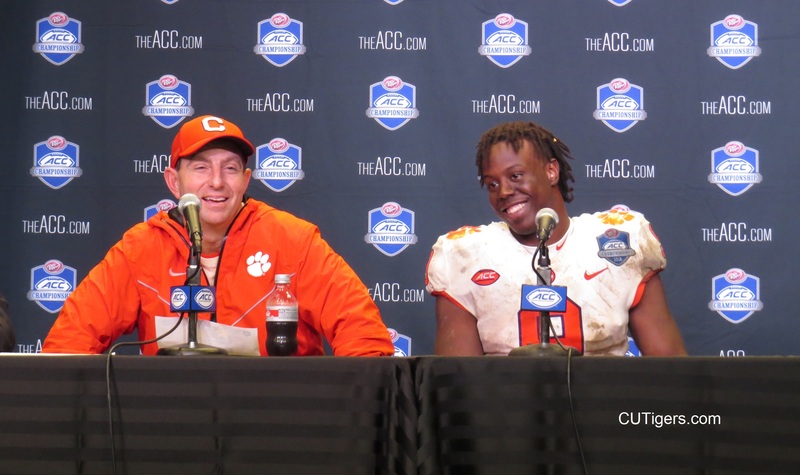 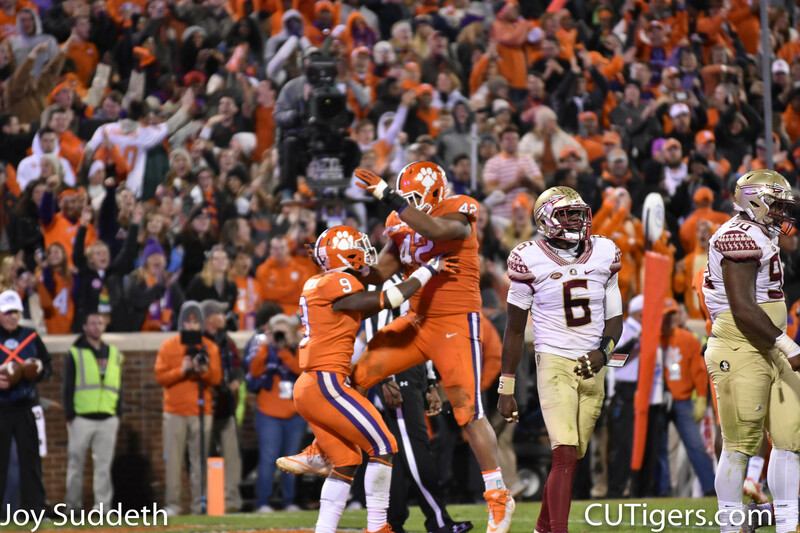 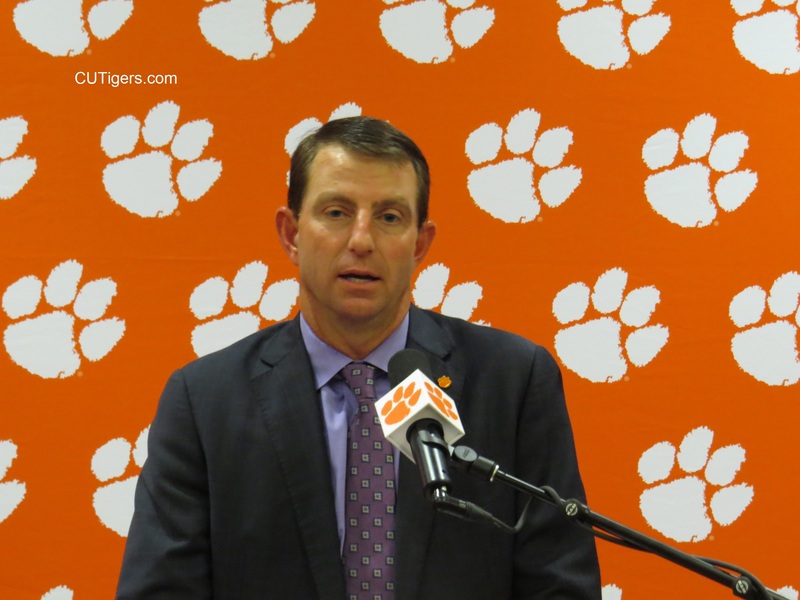 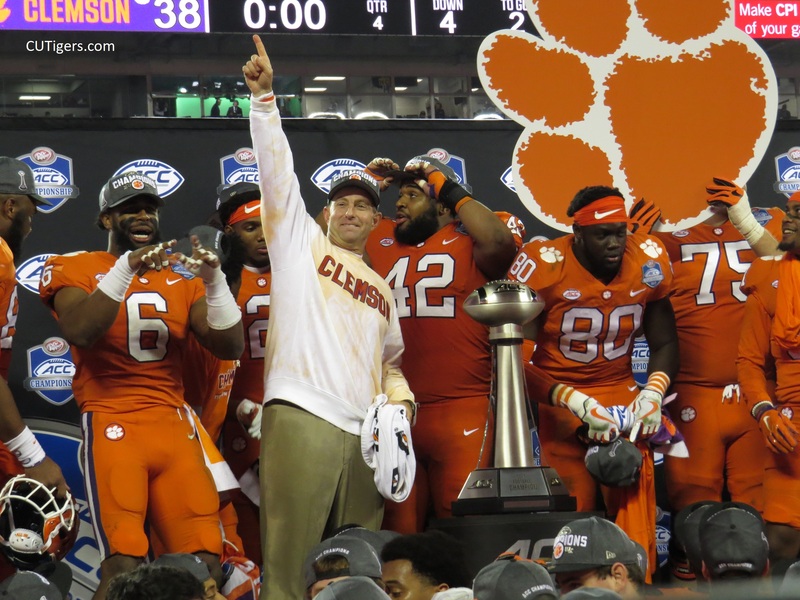 CLEMSON, S.C. – Four fourth-quarter touchdowns led the No. 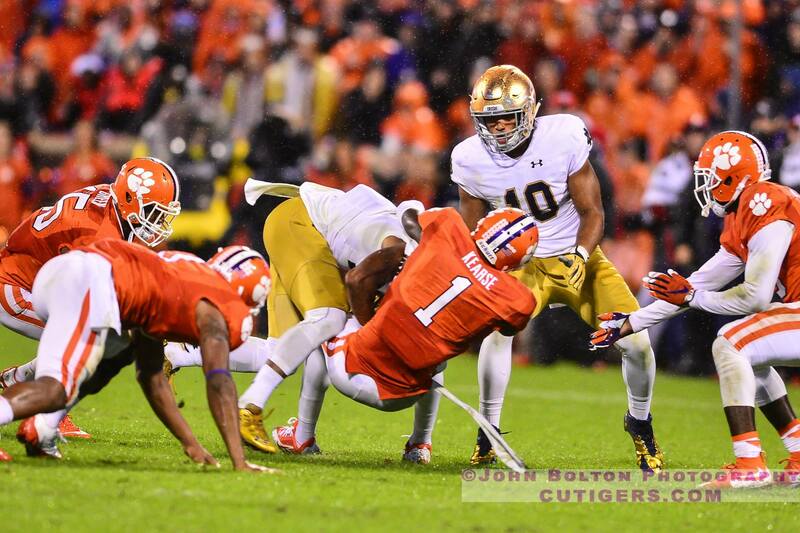 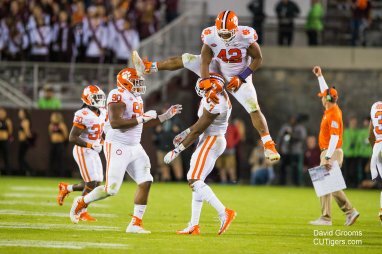 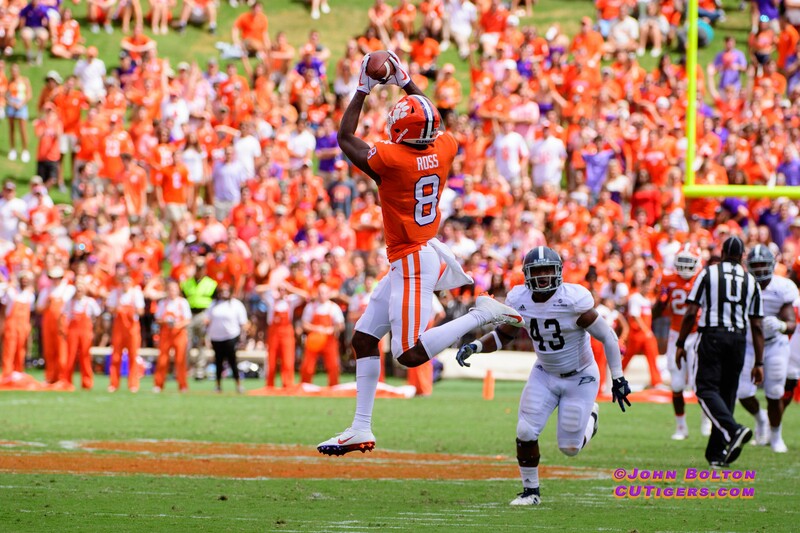 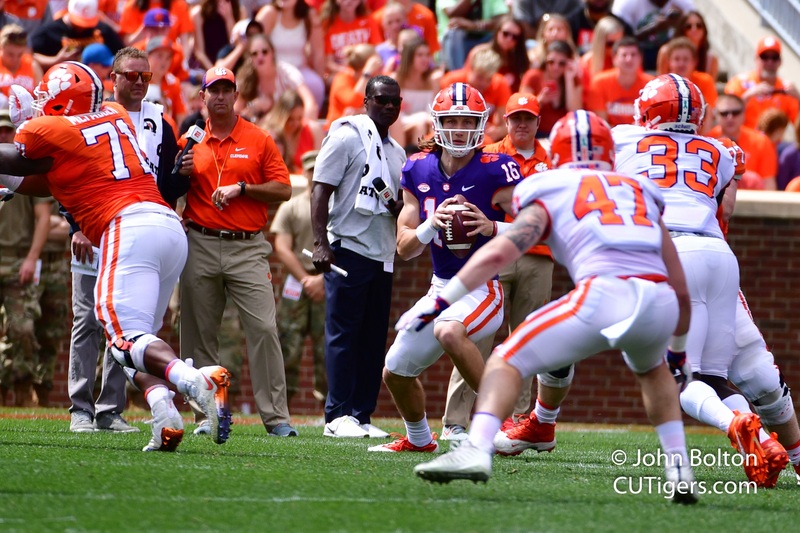 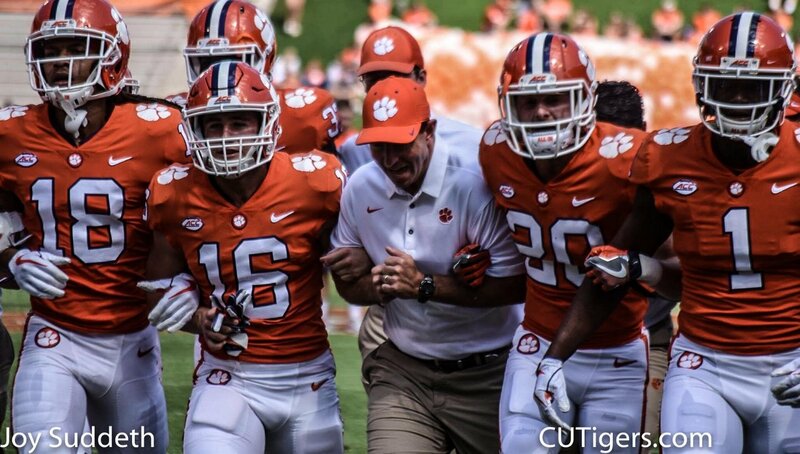 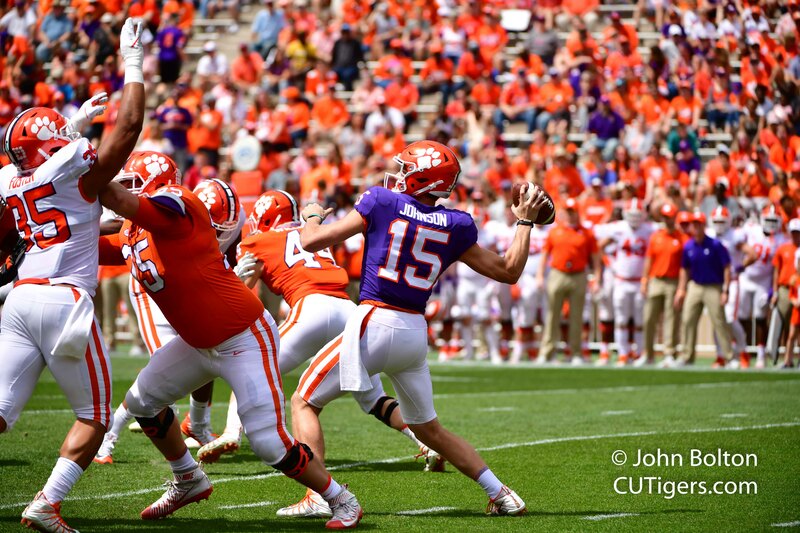 2 Clemson Tigers to a 34-7 win over the Boston College Eagles on Saturday afternoon at Death Valley. 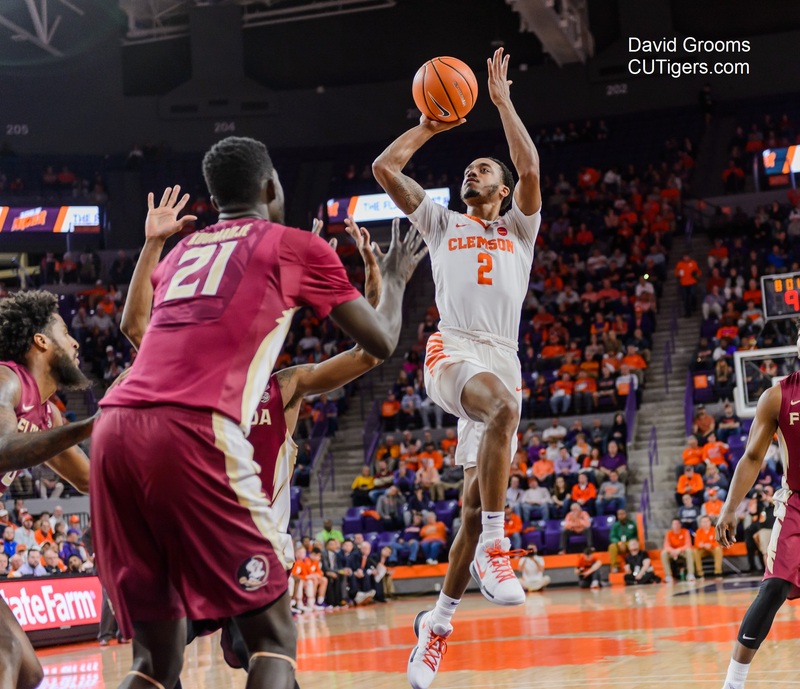 With the win, Clemson remained undefeated at 4-0 overall and 2-0 in the ACC, while Boston College dropped to 1-3 on the year and 0-2 in conference play. 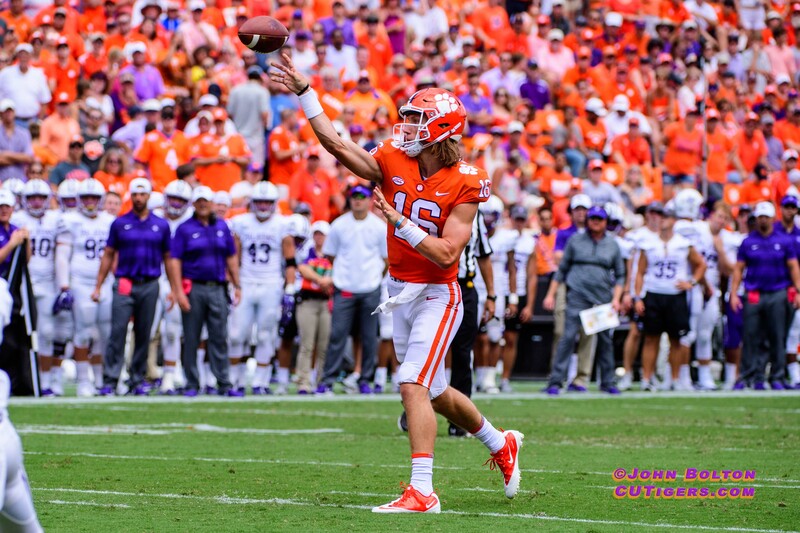 It was a slow start for the offense on Saturday, but the defense was phenomenal once again, and the offense finally exploded for 4 touchdowns in the 4th quarter, as the Tigers blew out divisional foe Boston College 34-7 and improved to 4-0 on the season. 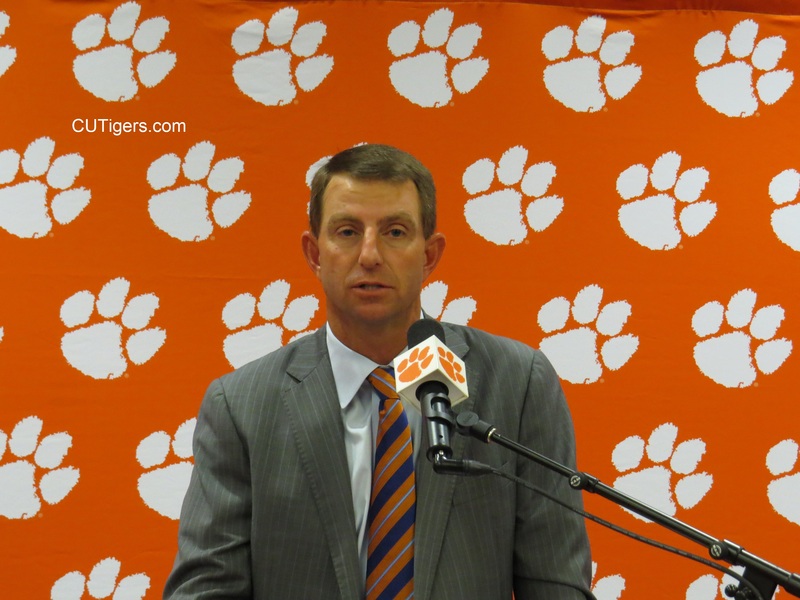 Here are my grades for the Tigers’ performance. 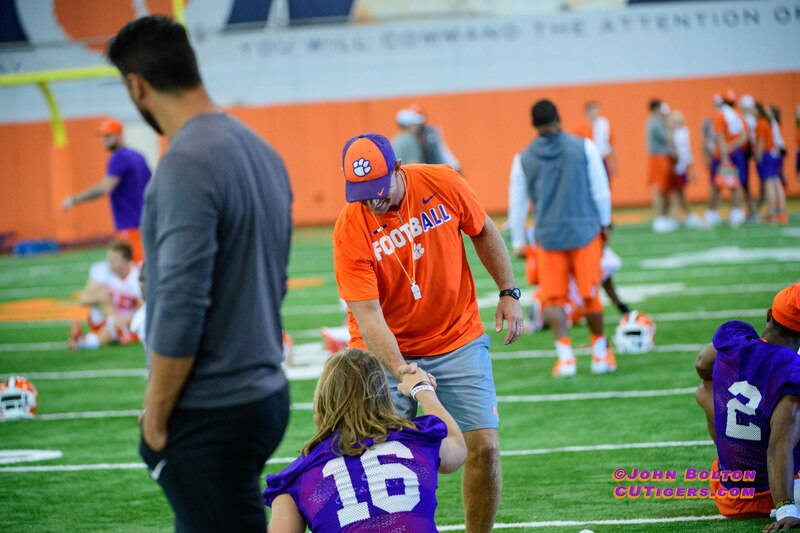 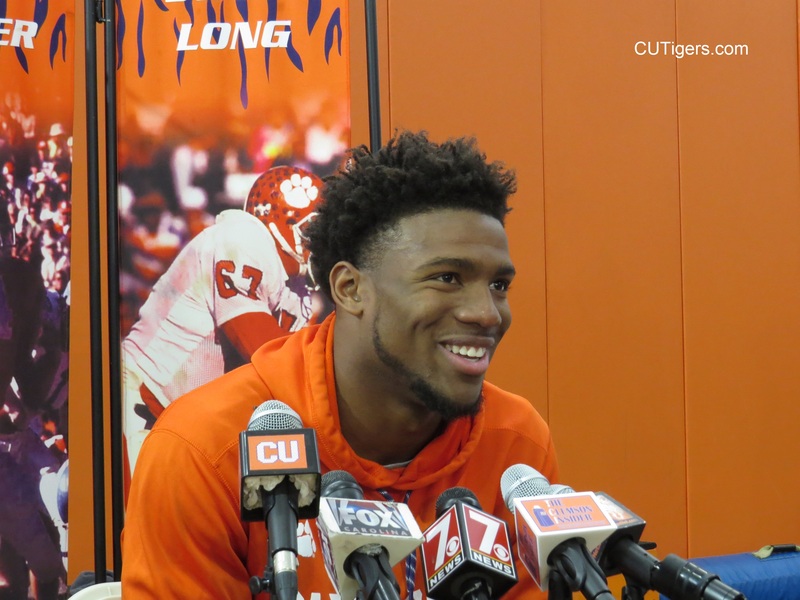 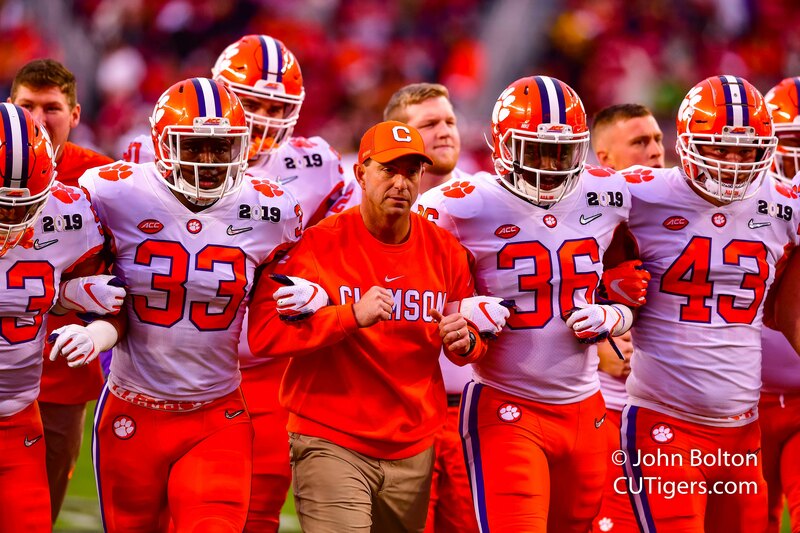 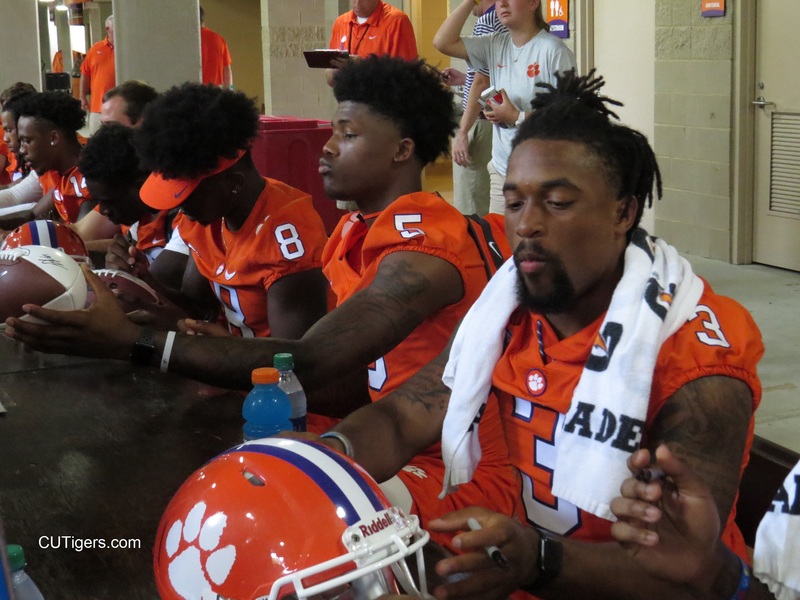 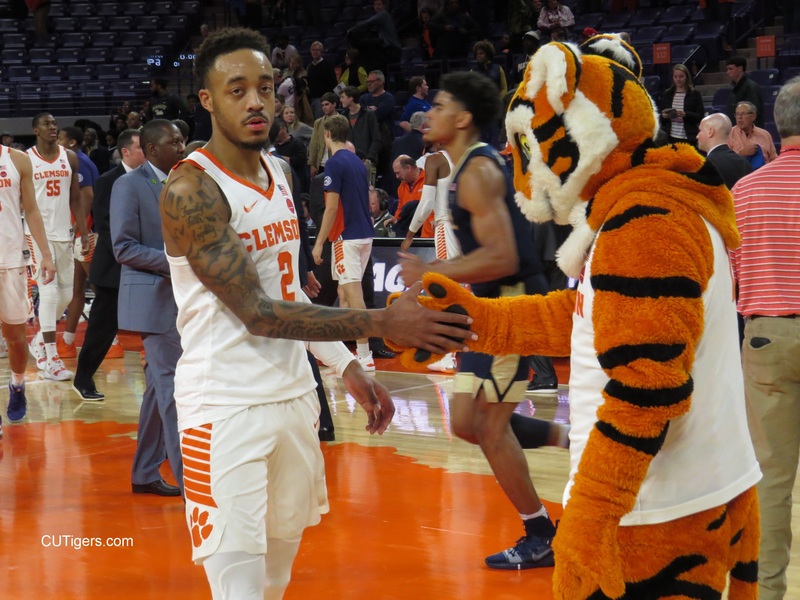 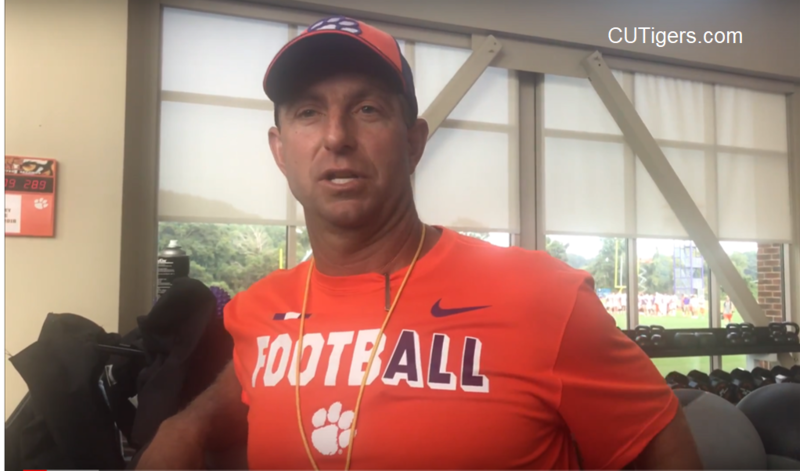 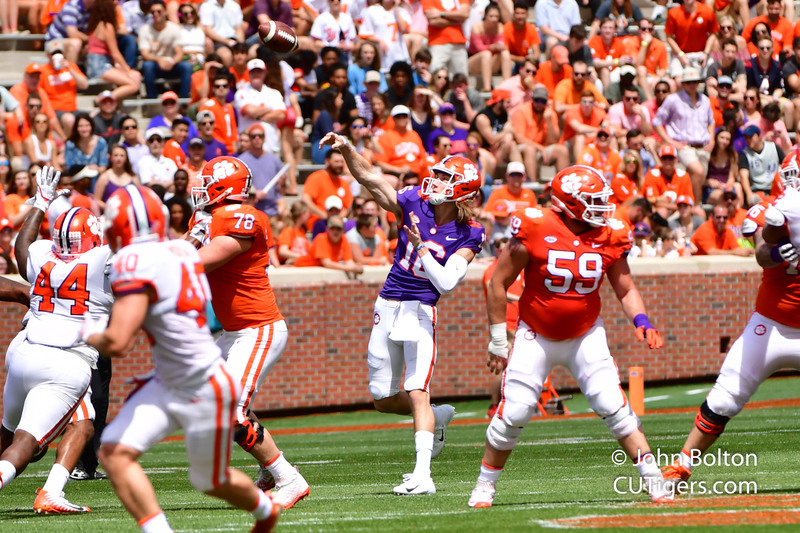 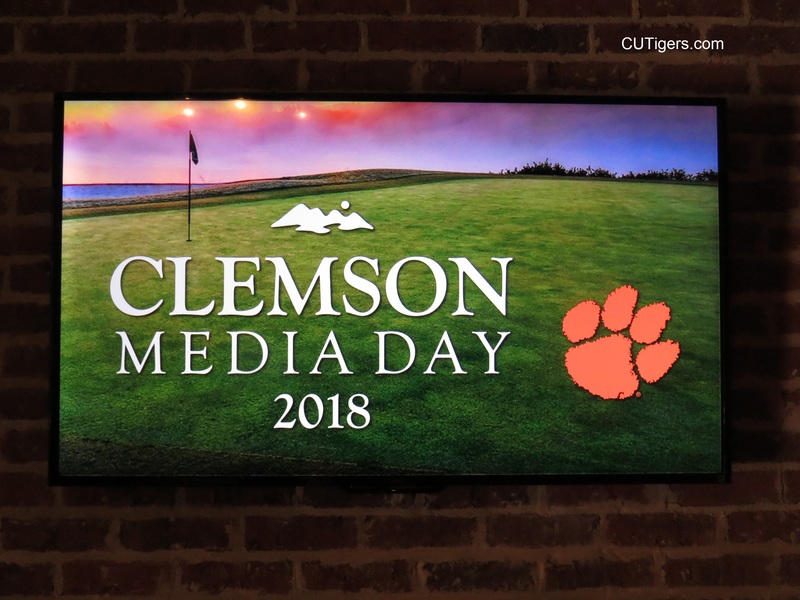 Take a look inside Clemson from the lens of CUTigers.com contributor Joy Suddeth, as she brings you game day in Clemson from a different perspective. 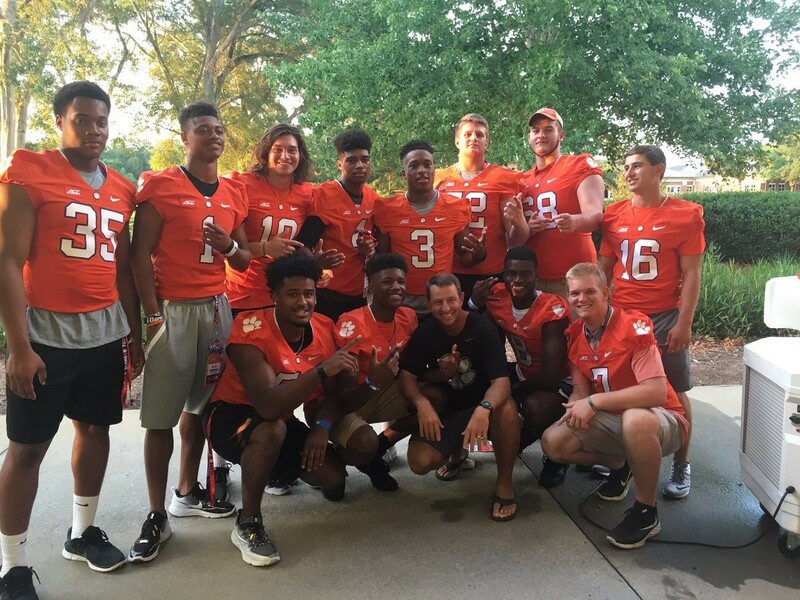 Click on the link below to get a taste of what it's like to be in Tiger Town when an ACC foe like BC comes calling!